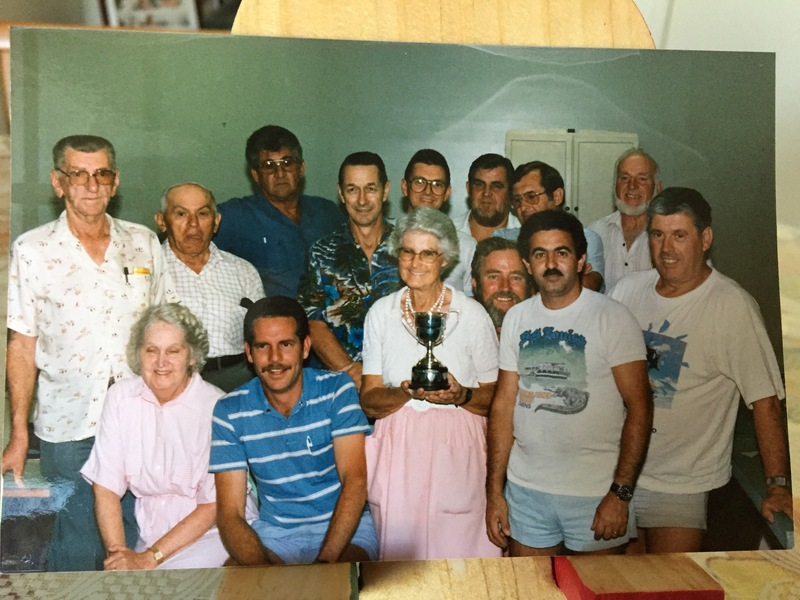 PAST NEWS : – City Of Brisbane Radio Society inc. 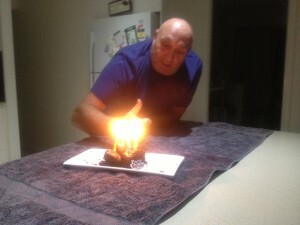 Thanks to everyone who participated…. interesting conditions. Some of the best condx I’ve seen to the south with Grant VK2MAX, but the scatter path to the north well below past 23-on-23 activation events, and no direct path to the north avail. 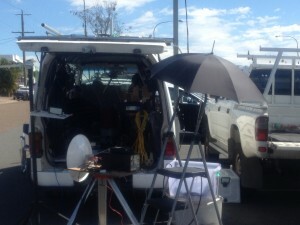 As for the format… certainly far more appealing to me than just working BNE stations. My only suggestion I would have is for those that have the ‘easier’ (read as less terra firma) paths to some of the more distant stations, is that they consider assisting others by sustaining contacts longer so a variety of scatter paths can be checked to see if there are definite alternative peaks available other than the direct paths. Also not listed where VK4JAM, Vk4NE and VK4MJF. Dateline 22/06/2015″Watch your ?? 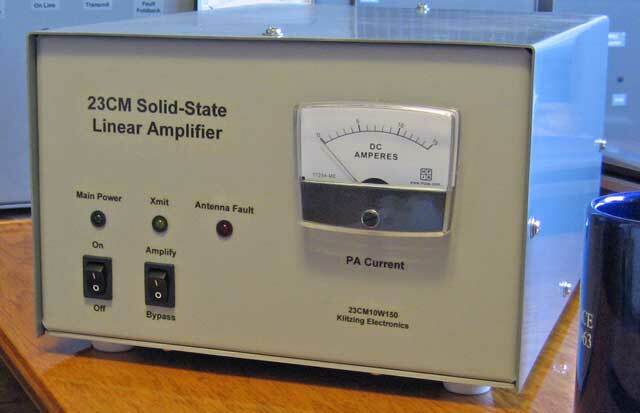 ?” Cro sent us a tip on power amplifiers. Dateline 9/06/2015 “Check Field Day Rules” Please read new rules on the next two Field Days. 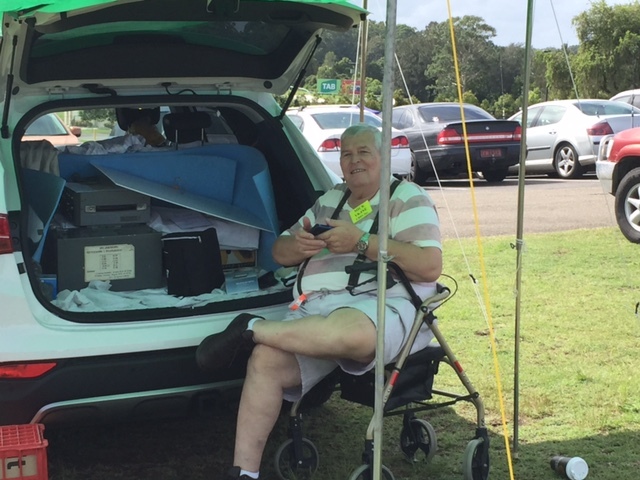 Dateline 8/06/2015 “New Contest Manger hits back” WIA Vhf/Uhf field day’s have been published. Winter 2015 – Saturday 20 and Sunday 21 June. Spring 2015 – Saturday 14 and Sunday 15 November. 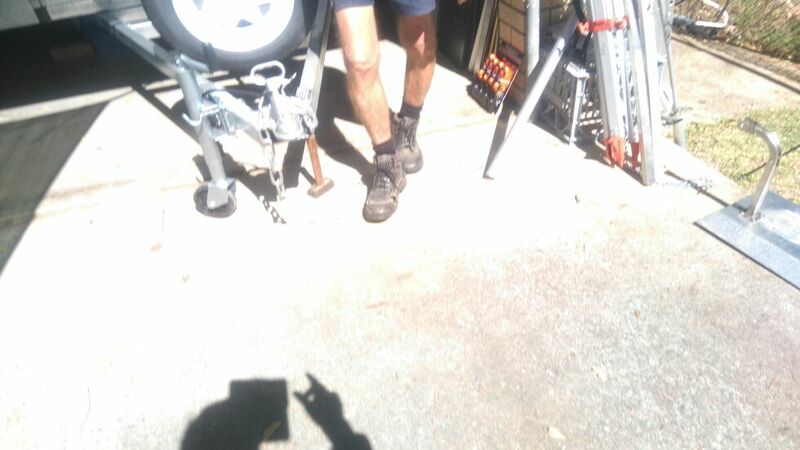 Dateline 5/06/2015 “CRO goes all new” The CRO has had a eye and hip job in the last 30 days, seems though some of the gear needs refurbishment. We hope the wick is still amplifying. 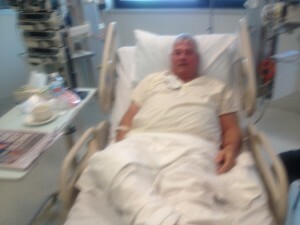 Get well soon from all of us @ the club. 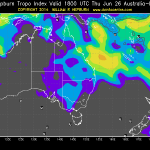 Dateline 3/06/2015 “Odd activity on 23cm” After the last 23 on 23 week end there has been a lot of 23cm traffic all round the state and into NSW. With luck all this new enthusiasm will continue and transfers to the Winter Field Day and beyond. 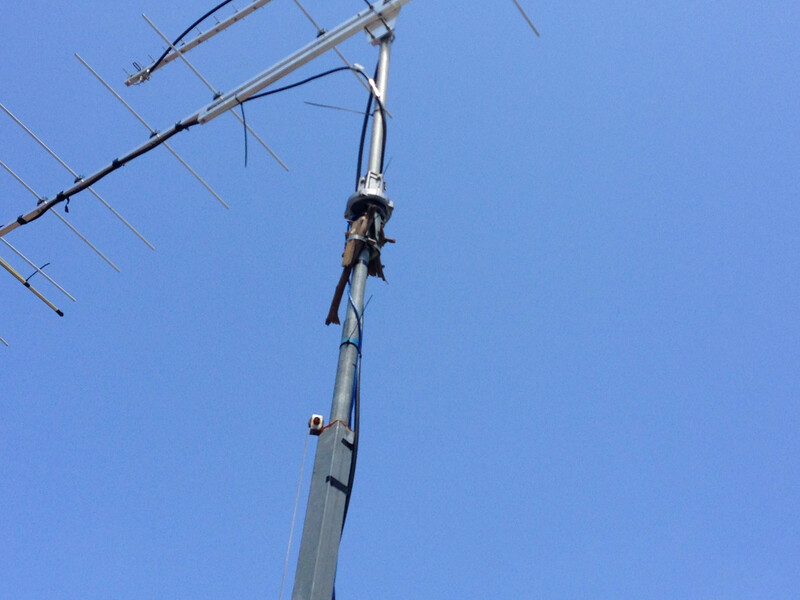 Dateline 16/05/2015 “Re-preaters are GO” The new Club 70cm is up and running, lots more power. 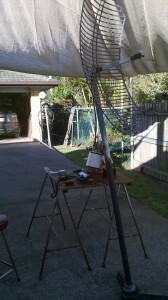 Although the 6 metre repeater is out for the same rebuild, Please be patient will be back up soon. 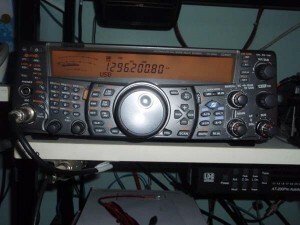 Dateline 2/05/2015″K3 goes LF” With the update to the KSYn3 with the KSYN3A it is believed that the radio will turn to the LF bands see more: Elecraft web site. 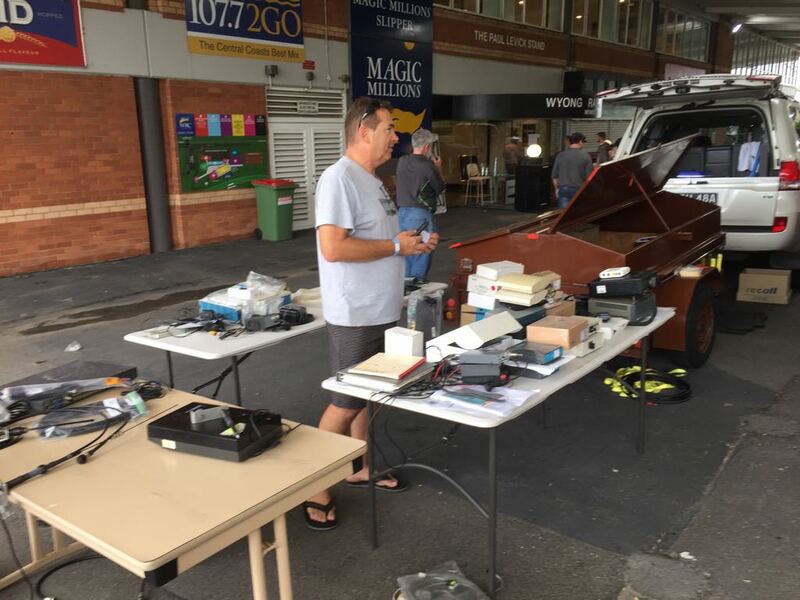 Dateline 11/04/2015 “More dough for the cofers” VK4 NE,CRO and MJF made a beeline to the redcliffe groups hamfest day on Saturday with a few club treasures and help fill the club bank account to fed our habit. Thanks guys for the effort. Dateline 30/03/2015″KSY lays down the tiles” KSY has begun new shack construction, see more under this menu Heres My shack . 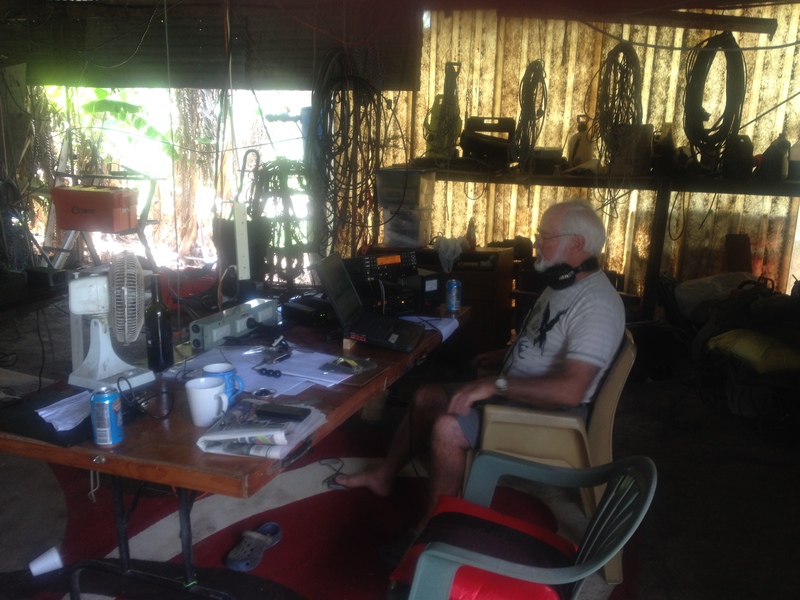 Date line 26/02/2015 “CRO goes ABC” Just to follow up on world radio day. Click to hear more. 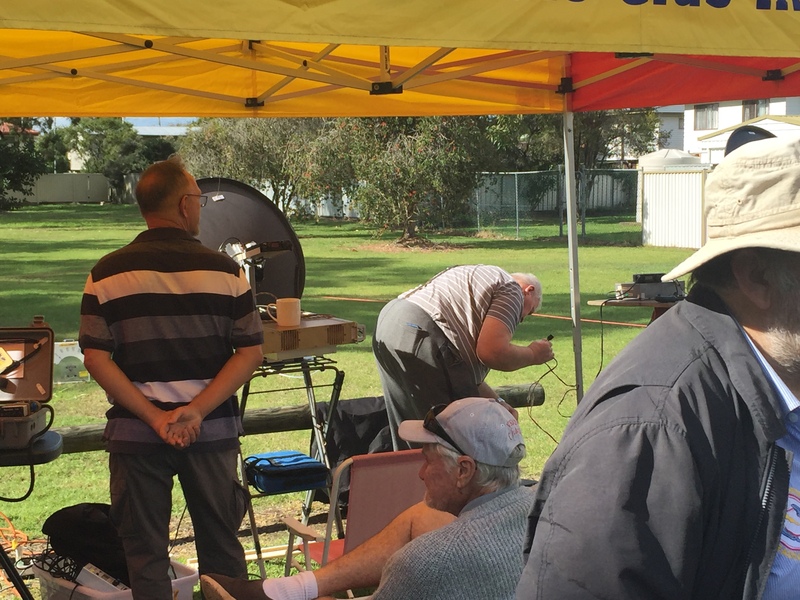 Date line 24/2/2015″Results are in” It seems the Summer field day results are in and the club did well from its beach vantage. 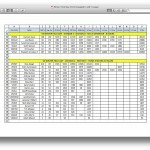 WIA has decided to continue to run its dual scoring system for the next few contests . Dateline 22/2/2015″Looks good for non Advanced Holders” WIA have suggested their updated band plan could be adopted as soon as Mid March 2015. 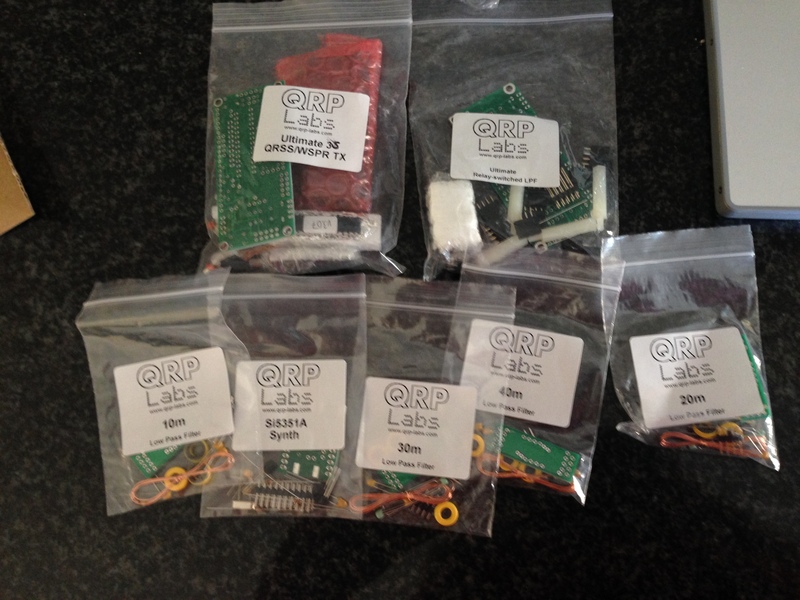 Dateline 15/02/2015″Ultimate 3 started ” For those who purchased the QRP radio, its off and running , the project that is. Soldering irons out and off we go, see progress in under projects. 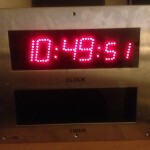 Dateline 12/02/2015 “612 4QR” An odd call sign to see printed here but, the cro and pi were visited by there reporter for World Radio Day. KEEP AN EAR ON 612 13/02 around 3:30 pm, for the thrilling report. 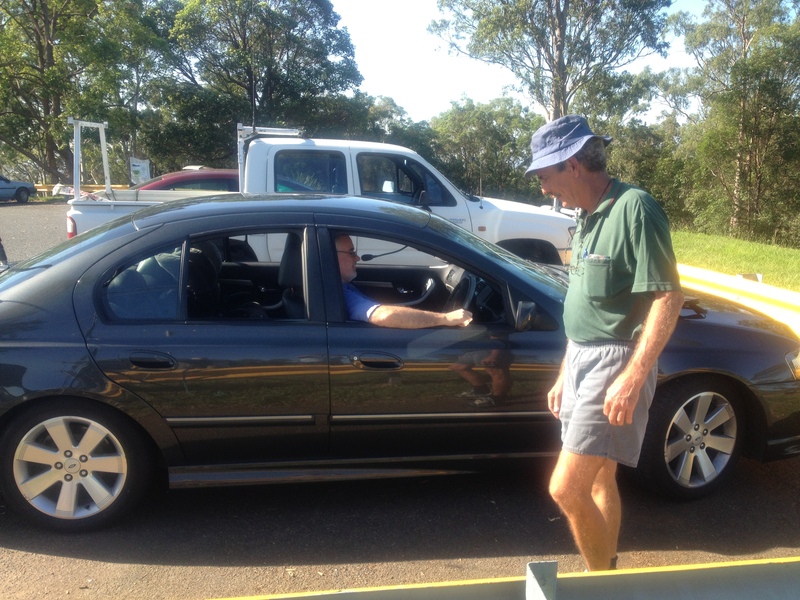 Dateline 11/02/2015″WIE heads for space” After the club annual general meeting (AGM) with which all positions were filled unopposed from last year thanks to all members concerned, please support them during the coming year in their endeavours. 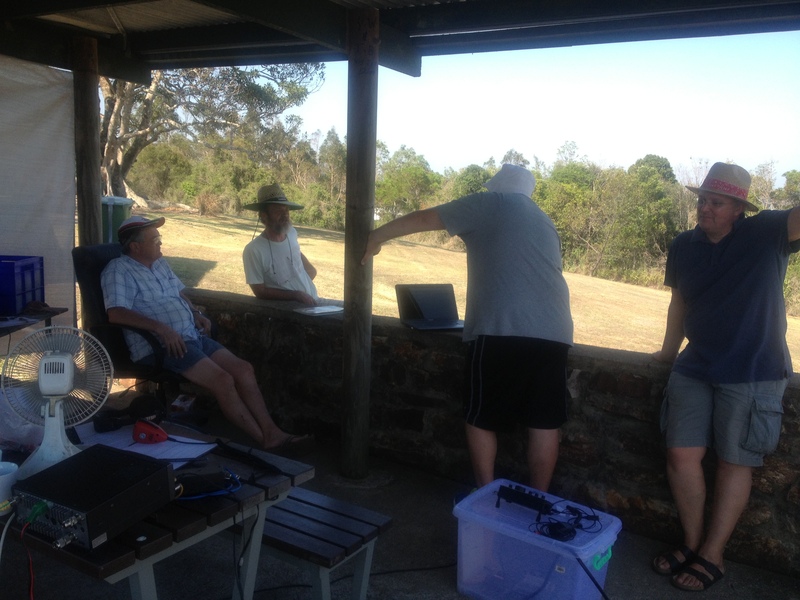 Also a representative from the Queensland University Lachlan, was giving a talk on there future plans to launch a 3 metre balloon with aprs tracking to the edge of space, the club has offered the club call sign to assist in the plan. 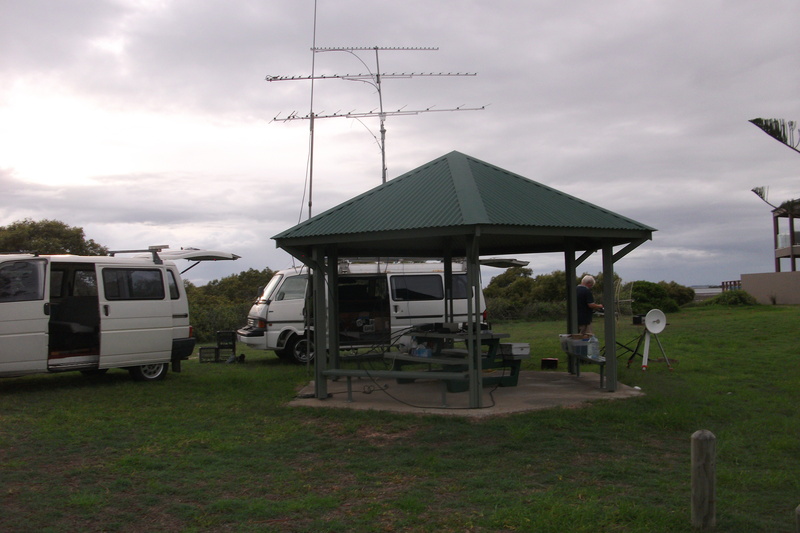 Dateline 20/01/2015 “Next VHF_UHF Field day date “ To be confirmed but it will be winter before it happens, don’t forget to book your seat. 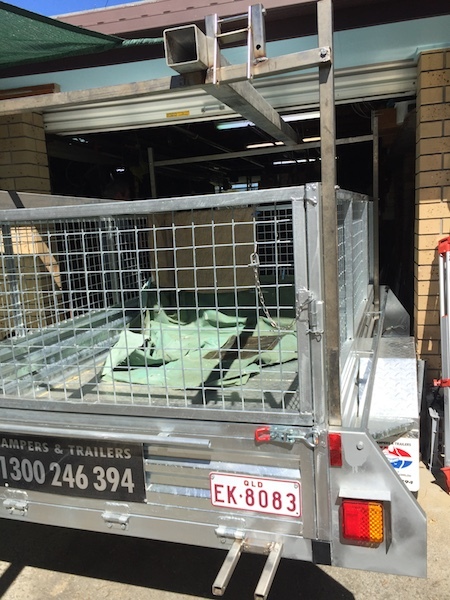 Dateline 19/01/2015″Another Project is up and running ” See club projects section for the goss. 70cm amplifiers on the boil some producing 350 watts with the minimum being 260 watts; not bad for $60.00 bucks, also see write up under the same menu. 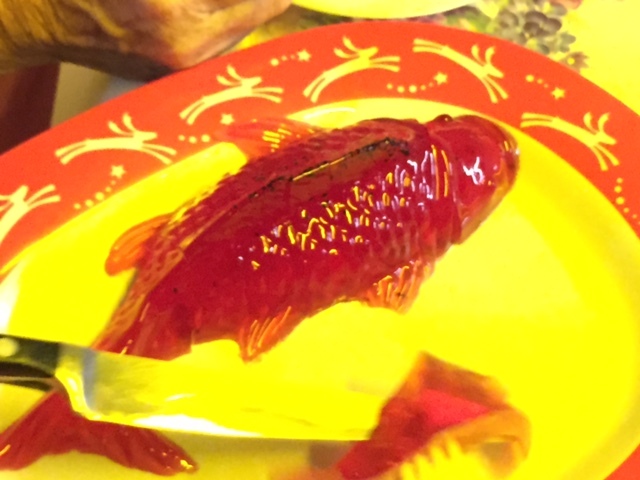 Dateline 14/01/2015″First Contact” 2015 started off with a January meeting at NE’s Rochdale abode. 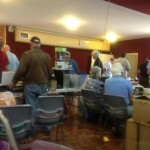 Lots of members turned up and the meeting opened around 8:00pm ,lots of gossip etc hindered the proceedings. 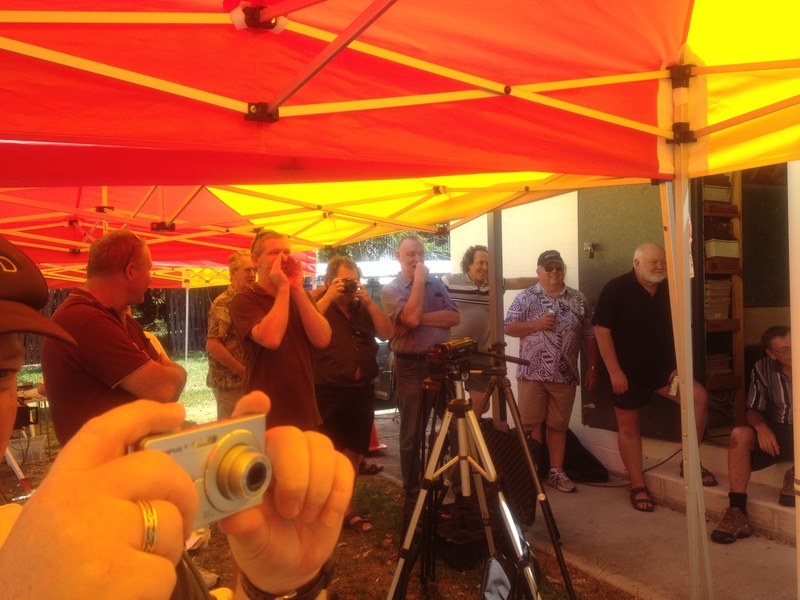 Out of all the hype is that the2015 AGM will be in February 2015 meeting at the MtGravatt TAF college . 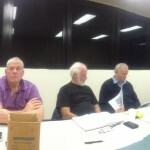 Many interesting topics were brought up, with the meeting closed at 9:30 pm. Dateline 14/01/2015″The Cro Reports”We set off at 330 am to Cleveland Pt. qg62pl and got set up by about 5.00 . 6m was slow until about 10am . 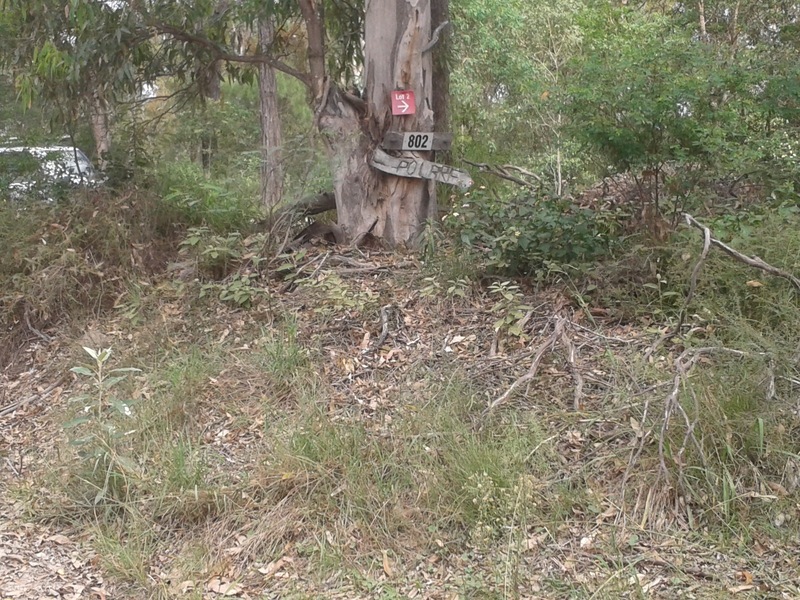 Dateline 9/01/2015″Site found for Field day” It’s no secret we will be @ QG62PL on Sunday 11th from 3.00 am to stumps. If you are planning to visit or help its a sea level approach , no mountain climbing. It’s just before Cleveland point opposite the Air Sea Rescue Head Quarters,”We’ ll be the ones with the biggest antenna’s, maybe see you there. Both Divisions are up on the site, being hours before the next Summer event. A quick look, and it seems VK4OE features well. Club results are as expected need to work, harder next time. 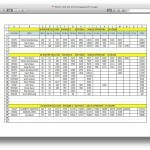 There is a summary written on the statistics of the last couple field days, with the true reflections of these events being reported. Good read. Dateline 3/01/2014 “2 Metres of String“ The southeast Queensland 2 metre antenna group, had its general meeting on MtGravatt Hill this morning. On show were 2 metre LFA ‘s 8 – 9 elements to do a duel with an 8 element pommy design currently taking pride and place in the club armoury . All antenna’s were supplied by VK4NE( Harvey Micks store) and erected by VK4cro, VK4so and VK4mjf. The test results will be published at a later date,but it appears the more fragile 9 element was the days victor. Summer Field Day VHF-UHF Field Day 2015 – 10/11th January (date confirmed need helpers, location @ a mountain to be advised, under the new Marquee etc.Looks like we are up and running for 2015! Dateline 24/12/2014 “Greeting From the Boss & Co “. 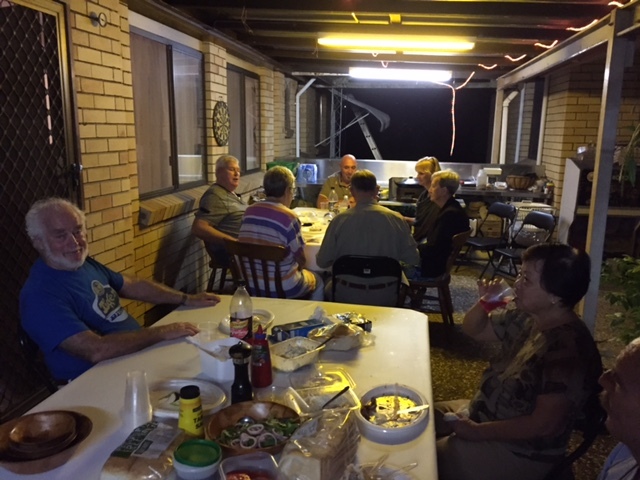 From the executive committee of the City of Brisbane Amateur Radio Society, we would all like to wish our past, present and future club members for the ongoing support and very best for Christmas 2014 with a prosperous New Year 2015. 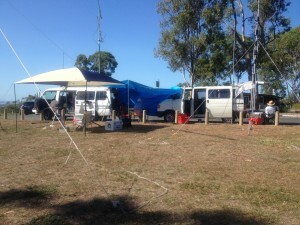 Dateline 22/12/2014 “Contact to the north” David and Co. (VK4ksy) have moved from Capalaba, to become a valuable contact from the north in River Heads Qld. 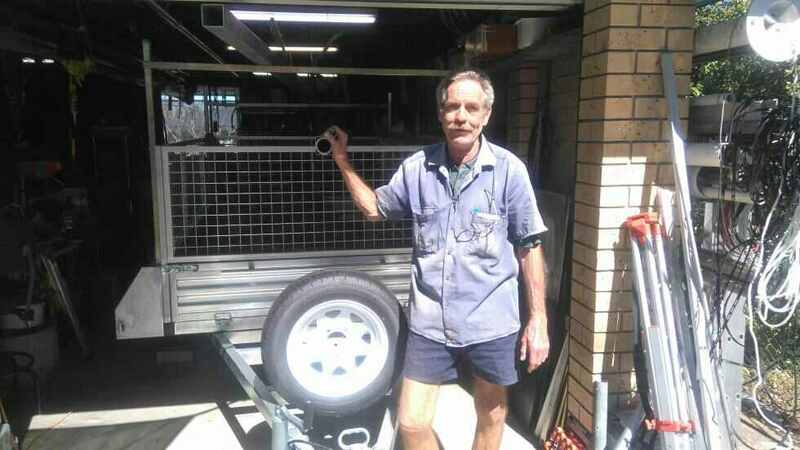 For those who have forgotten David, he has been of great help, and frequent a contester on field days with our club. We all caught up with them at the club Xmas bash last week. 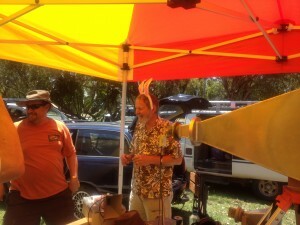 He tells us he’s looking forward to some antenna erections, in the new year. Also with the future field days from there new home. 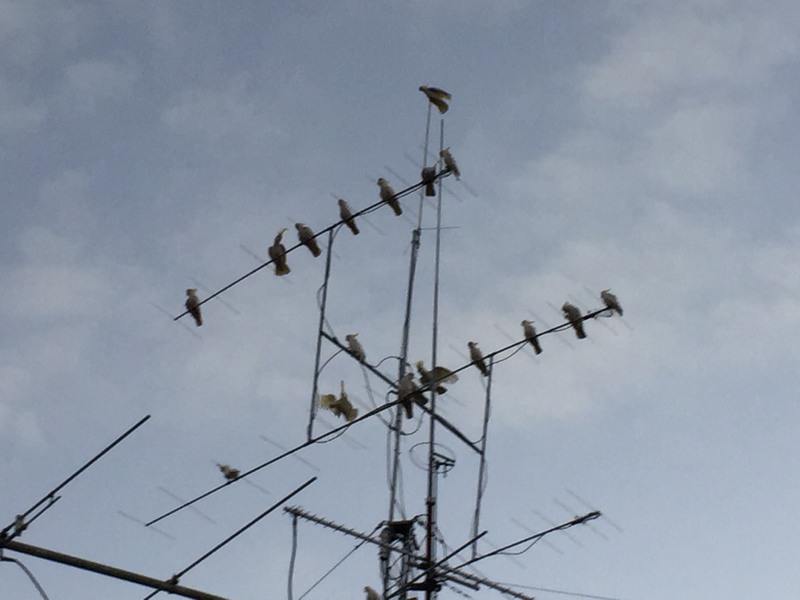 Dateline 21/12/2014 “Birdies on 6 metre !!!! “ We’ve all found the odd bird whilst looking for that hard to find beacon. 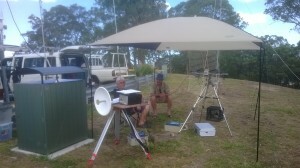 During a recent visit to VK4cro ‘s place, to assist with a 2 metre relay issue etc. 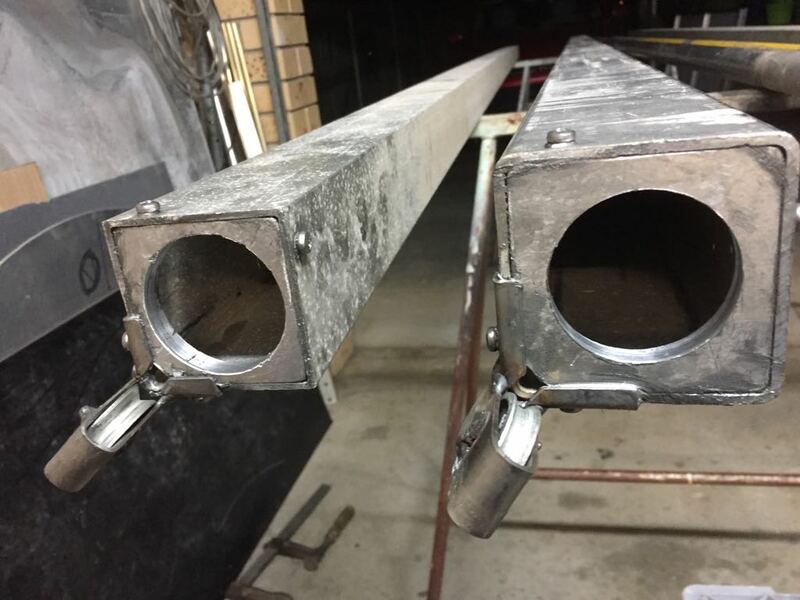 My eyes were directed to a mysterious object on his six metre beam, my immediate thought was some new 6 metre upgrade gizmo. 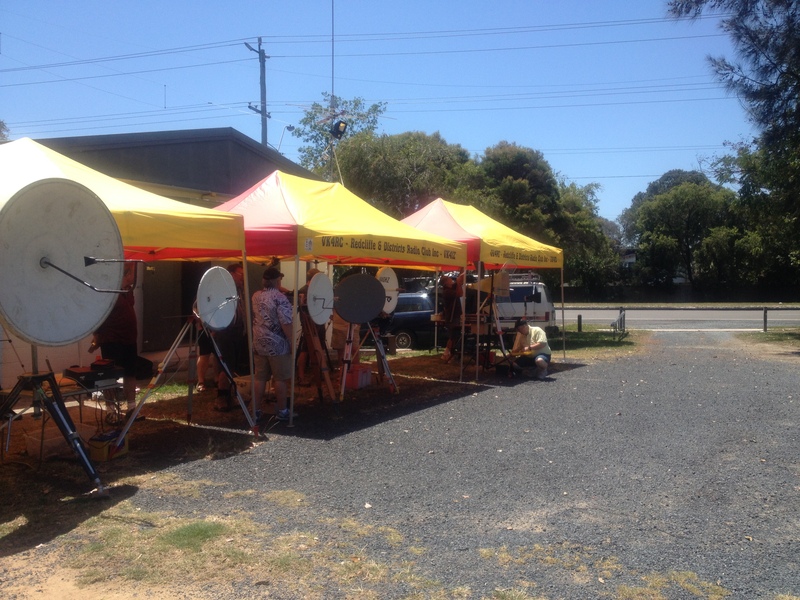 As you see in all these 6 metre guru’s shacks, some thingy; to improve the band. “No !”explains Ron, “It s a pee wee nest; I have just worked JA yesterday, didn’t seem to worry them or the contact”. Our thoughts go out to the parents and eggs, seems even technology has caught up with our feathered friends. Odd looking limb, Guys. Thought I’d seen it all. 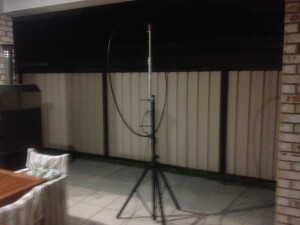 Dateline 20/12/2014″23 on 23 “ Tuesday 23rd December 2014, on 23cm (1296.100 mhz )@ 8.00pm EST with a likely hood of 2.4ghz contacts late on that nite @ around 9.00 EST. Look forward to hearing you there. 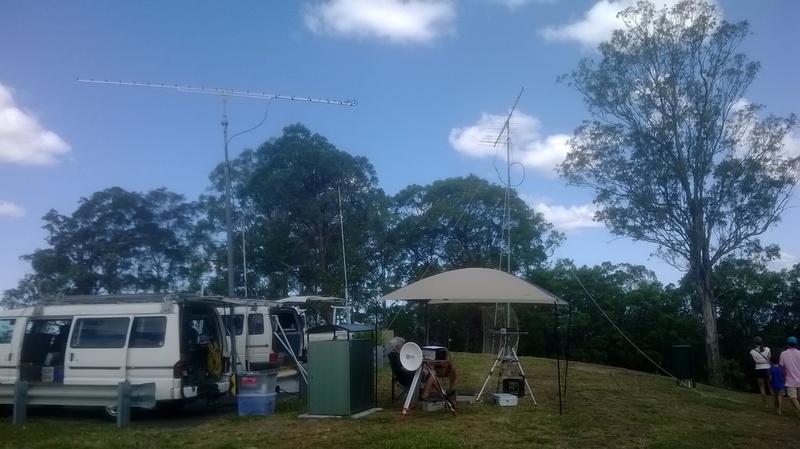 Dateline 17/12/2014″Fixed” It is advised that the club 6 metre repeater is on test mode for the rest of this week, and if all is well; will switch to full usage @ MONDAY NEXT WEEK. Thanks for your patients. Update the test ok and the repeater is fully functional. Dateline 16/12/2014 ” Seems the lights are out” Someone forgot to tell the meteor Scatter that they should be around the last few days. The predicted 2 metre Meteor Scatter, seem to show up late last week about ,Monday saw a small opening to VK7 etc. and that seem to be it for the time being. 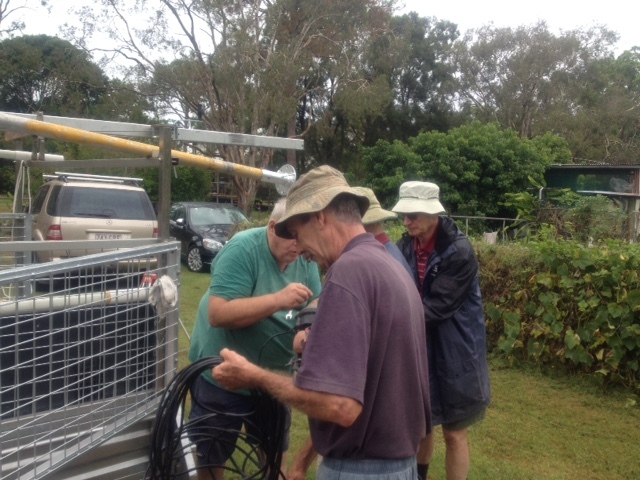 Dateline 7/12/2014 “6 Metres out” We would like to advise that the Club 6(six) metre repeater is being updated and serviced , we are sorry for any inconvenience. Dateline 5/12/2014“Raffles cancelled” February 2015 meeting will be the next chance to win the big prize,(be there) you maybe the lucky winner??? Dateline 4/12/2014″Anyone for seconds” Thursday 4th @ 5:00 pm and on; CRO’s place Xmas seconds (better than Jaycar recycle ), be there we will. Ron is boasting lobster, crabs and champers (more likely snags and soda water) anyway “alls welcome’, he said. 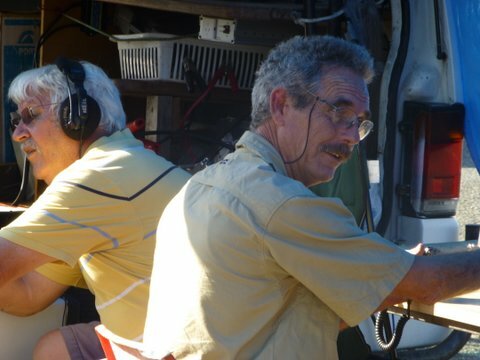 Dateline 3/12/2014 “New Contest Manager” VK4zrh Roger Harrison has taken up the post of Vhf-Uhf Field day Contest Manager. 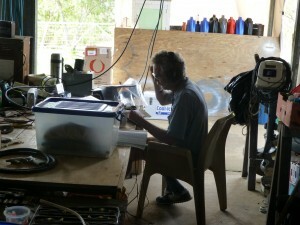 Roger seems to be a little more interested, with blogs being posted on the vklogger. 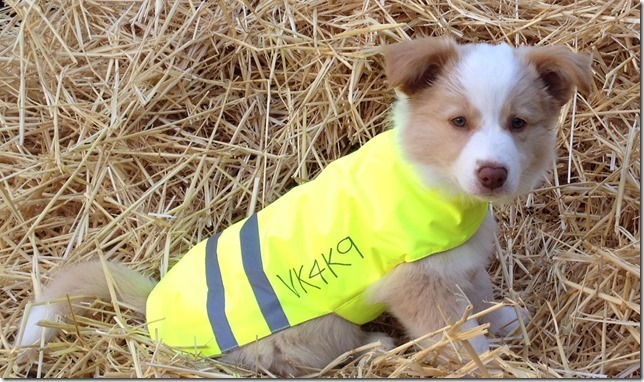 Hopefully he will spark a few more VK2’s up; as well as others for the coming Field days. Keep up the good work Roger. 2009 Group good turn out. 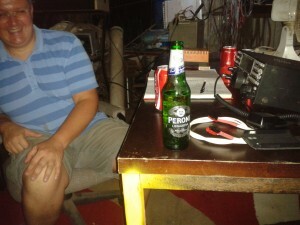 Xmas Party time @ the CRO’s place midday Saturday 29th, see you there. Dateline 25/11/2014″Scores are IN” We await the prize. 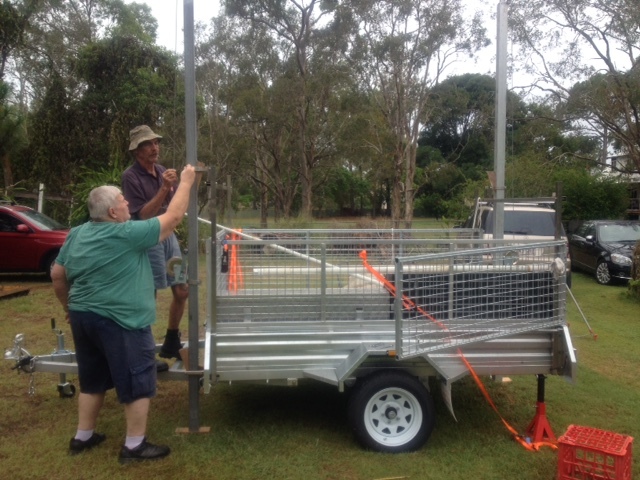 Dateline 24/11/2014 “Koala’s climb our towers” It’s a mystery but after erecting the club field day towers@ Mt Gravatt hill, a few odd bits had been positioned in the rigging and of course; no one could offer any explanation. So we guess something hand placed them in the position for the start of a nest or want ever.. Anyway it all went to plan and we were on our way; for the 8 hour stint. Amazingly even with the club sign out the public still ask what we were doing, bless their little cotton socks.It seems the popularity of the contest is dropping off, with very little contacts made over the duration. We were ask to hold a parking position for the night shift VK4OE, who arrived in time for us to grab a few contacts before we packed the station away until the next contest in January 2015(TB Confimed)..Thanks to all who helped and worked the station with a special thanks to Margo VK4mjf XYL for her help with the forgotten bit left behind by him that morning. Dateline 8/11/2014″Banana Pi” You have a fruit shop of names so the latest Raspberry Pi is out called a Banana Pi and its like the rest of fair competition, which type suits you. 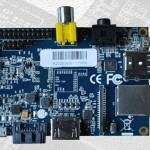 As the name implies, the Banana Pi is a clone of the Raspberry Pi. Just like its predecessor it has 2 USB ports, 26 GPIO pins and draws a tiny amount of power. However, with Dual Core 1GHz A20 CPU, 1GB Ram, Gigabit Ethernet, Infrared receiver and SATA adapter, it packs a powerful punch. The Banana Pi is open source and backwards compatible with the Raspberry Pi, your only limitation will be your imagination! 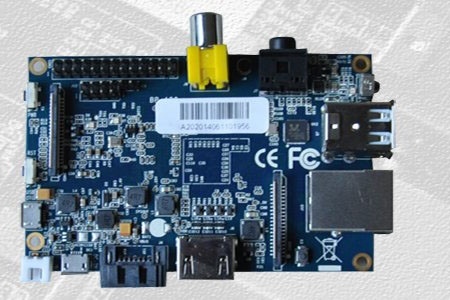 The Banana Pi was developed to address the commonly encountered limitations of the Raspberry Pi, while retaining the value and flexibility of the original product. 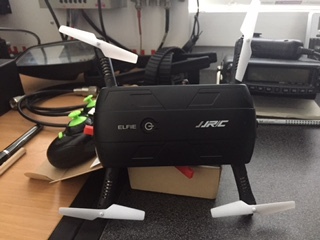 As you would expect, it has 2 USB2.0 ports, 26 GPIO pins, 5v micro USB power In, 3.5mm audio jack, HDMI, Composite and LVDS (RGB) video out, a 1080p capable GPU and a CSI camera connector. 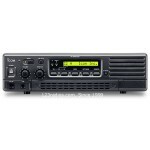 However, it also includes an Gigabit Ethernet Port, an IR Receiver, SATA Data and Power connectors, an onboard Microphone, Power and Reset buttons, and USB OTG connector. It can run Android, Debian, Ubuntu, Raspbian or Scratch. 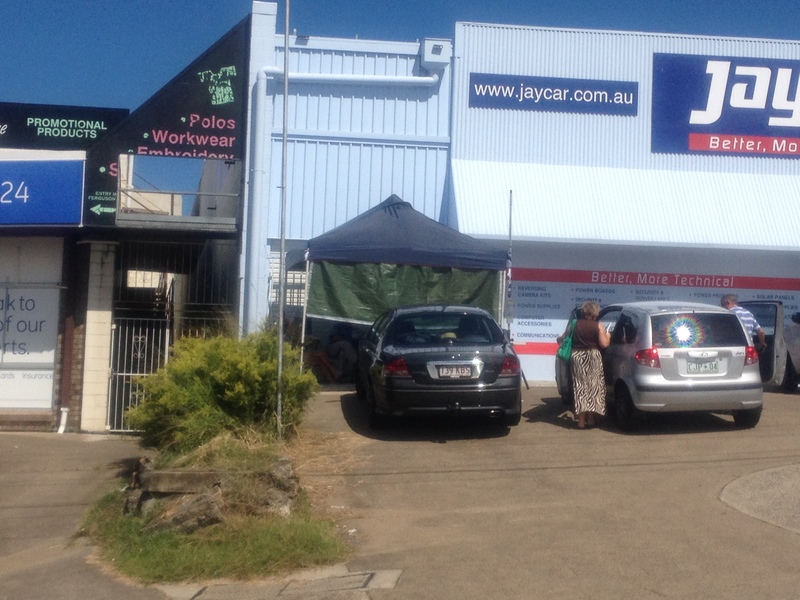 AusPi Technologies is Australian owned and operated. 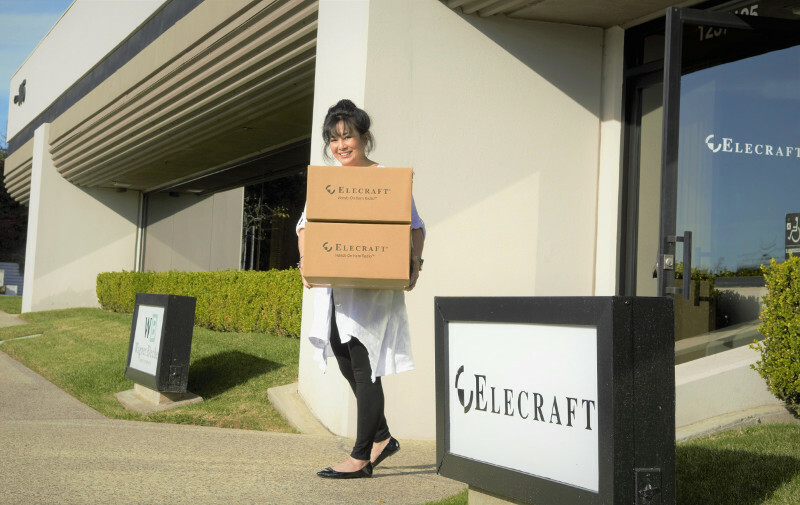 We express-post all orders over $100, and keep stock in our warehouse in Australia. GST is included in our prices, we accept credit card, bank transfer, government purchase order and bitcoin. 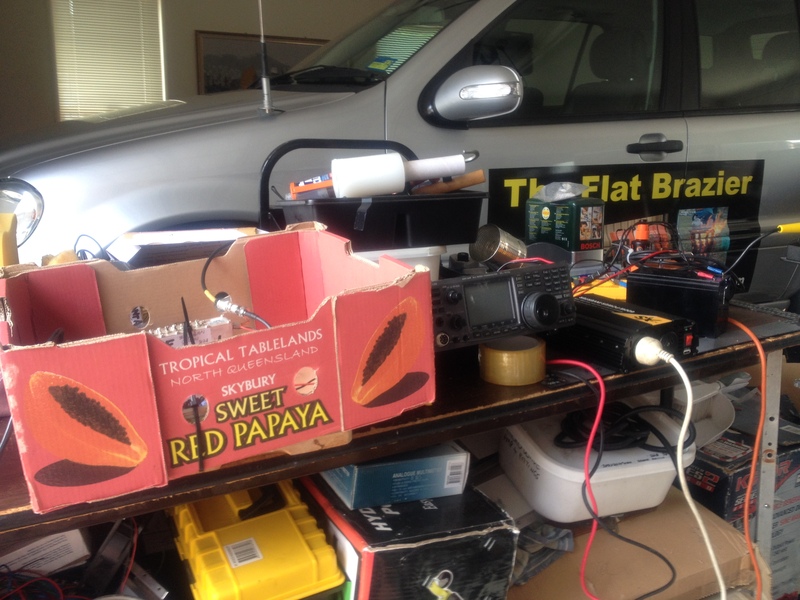 Dateline 5/11/2014 “Flex gives the big ones a boot” Some months back Dubus gave some interesting satistics on some of the normally used radios, one was the flex SDR suggesting the concept was a little lacking. So if you have a read the latest Sherwood Engineering stats, it appears the new Flex 6700 has just topped the charts. 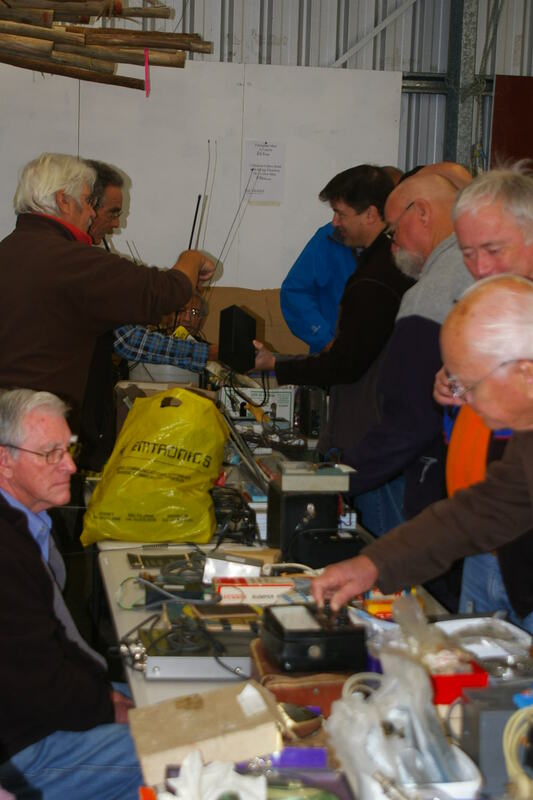 Dateline 2/11/2014 ” Club 70cm bargin” The club has been future enough to purchase a used but almost new IC-FR-4000 repeater. 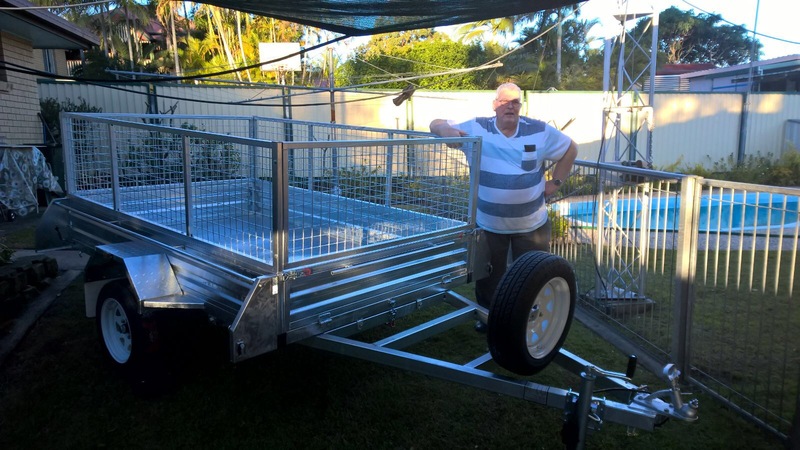 “It was so low priced;” said Mick VK4ne; “I couldn’t say no.” Nice buy Mick. 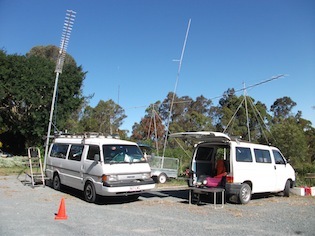 Dateline 24/10/2014 “V8’s keep Hams away” Gold Coast Hamfest numbers were down this year, lots of comments suggesting V8 Supercar traffic, odd we saw very little traffic in the area to impede our travelling. 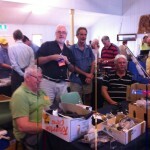 Maybe the answer is to many clubs having hamfest and too close to each other,not enough time between. Anyway the coffers had a top up, thats the main thing . Dateline 17/9/2014 “VK3HZ boasts IC9100 fix” According to to-days logger VK3HZ has a 10 mhz reference fix for the IC9100. We will keep you updated on all information. 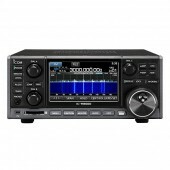 (It is advised that he has other GPS locking systems for many other popular radios.) Furher Updated 20/10/2014. David has produced the boards and they are up and ready for sale, at the Link below. 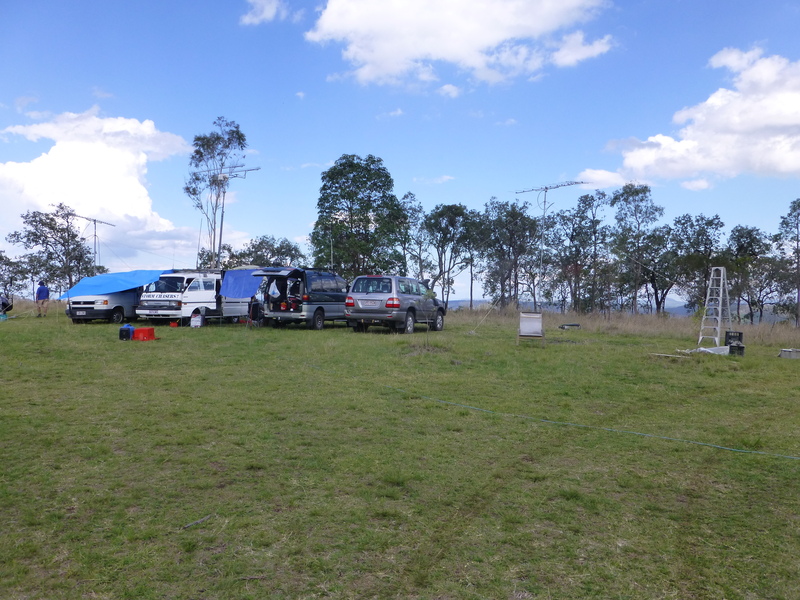 Dateline 19/10/2014″ No new hill” With the club meeting over on Tesday last, we have decided if no other site is proposed we will make our way to the Mt Gravatt hill again the next field day on November 22/23rd 2014. Remembering the next meeting is Coming soon. 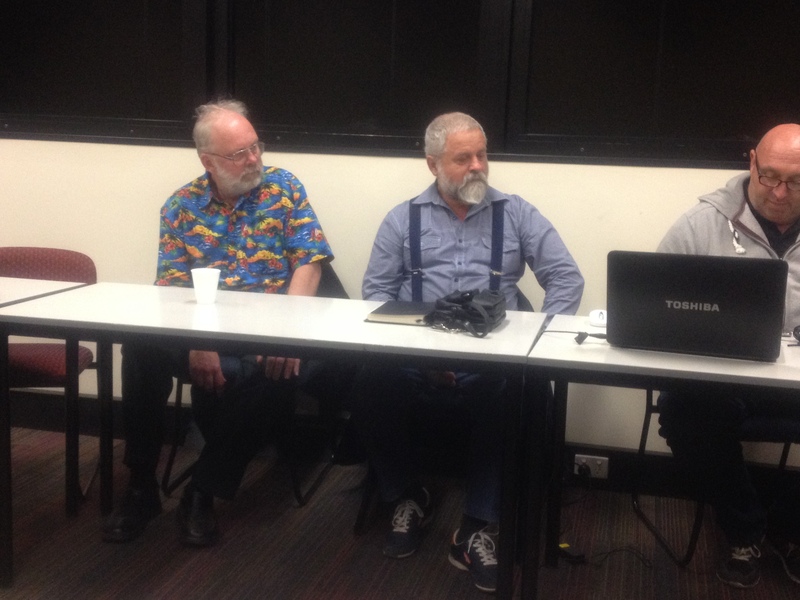 A room has been arranged for your organisation ‘City of Brisbane Radio Society Inc’ to hold their meetings at our Mt Gravatt Campus every 2nd Tuesday of the month from 7:00pm to 9:00pm in our, B Block, Level 3, Room 3.16. We’ll all there will you ? 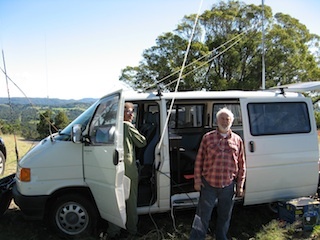 Dateline 25/09/2014 “70cm is up” Thanks to Alister VK4MV the 70cm repeater is up and running , running very well. Dateline 24/09/2014″ Wet String to VK2″ After several hours last nite VK4NE and VK2MAX made contact on 1296.230 JT65C, this morning. Dateline 23/09/2014 “23 on 23 Roll up” Another successful 23 cm hook up around south east queensland this evening. Lots of JT65C action with a decoded by VK2MAX /VK4NE complete. 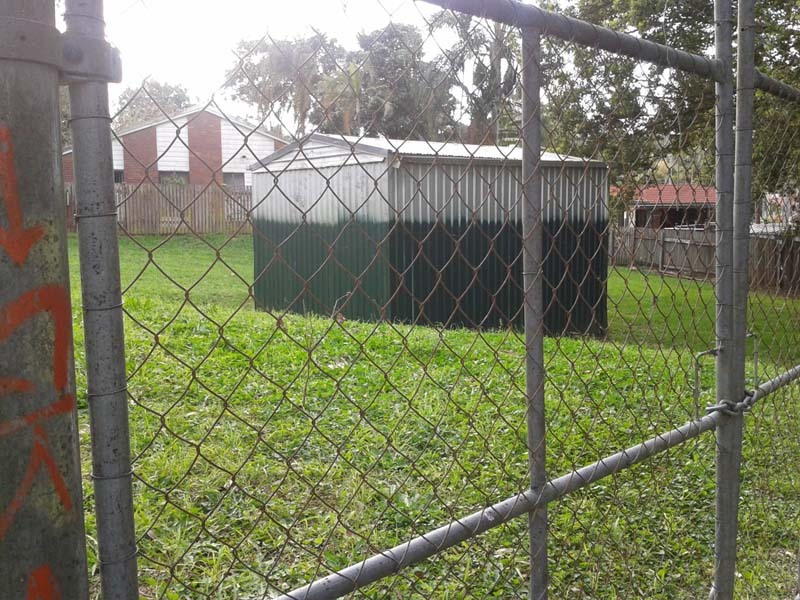 Dateline 21/09/2014 “Bad Block Byron Bay” Height not enough at the Byron Bay site. 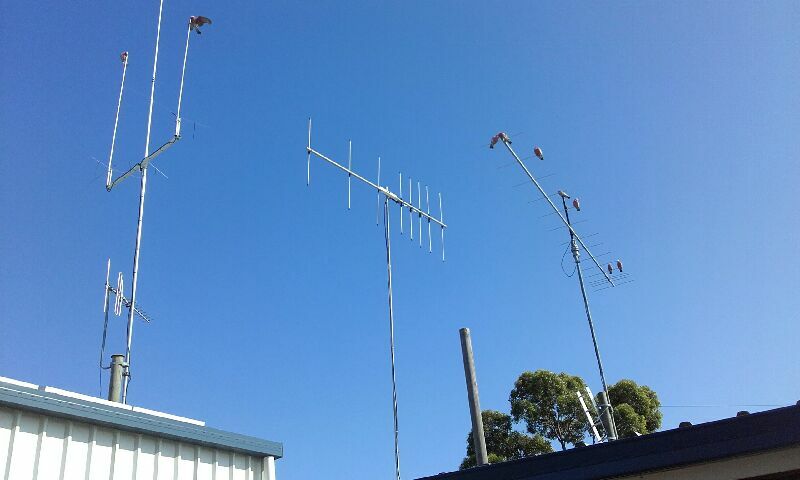 Dateline 20/09/2014 “Club of air” Its advised that the club 70cm and 6metre repeaters are being serviced and modified as per the club annual service agreement. Dateline 17/9/2014 “VK3HZ boasts IC9100 fix” According to to-days logger VK3HZ has a 10 mhz reference fix for the IC9100, awaiting boards (no mention of pricing as yet). We will keep you updated on all information. (It is advised that he has other GPS locking systems for many other popular radios.) Updated 18/09/2014 David has produced the installation documentation at the Link below. 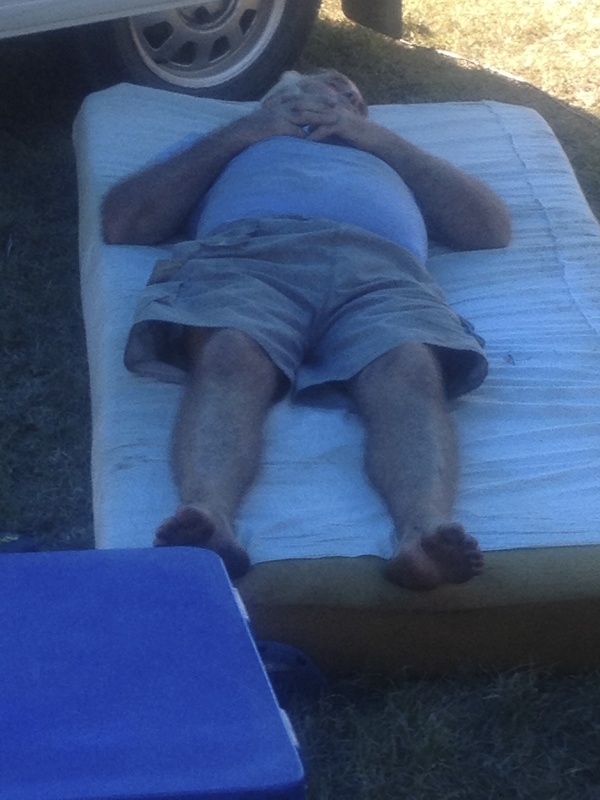 Dateline 13/9/2014 “Rattling all the way home” More money in coffers from Sunfest @ Woombye, was again worth the trip. 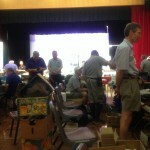 Lots of sales and plenty of new and old freinds to talk the hobby too. Thanks to all who helped, including our intrepid Photographer for the day Mrs GC. Dateline 10/9/2014 “Chester may be knocked out” Chester the club field day mascots position maybe under threat with a mysterious email being past to all members, cute is ok but has it the “ooumph”. Long live Chester. Dateline 6/09/2014 ” Powerful New Rules”. Some of the WIA proposals. 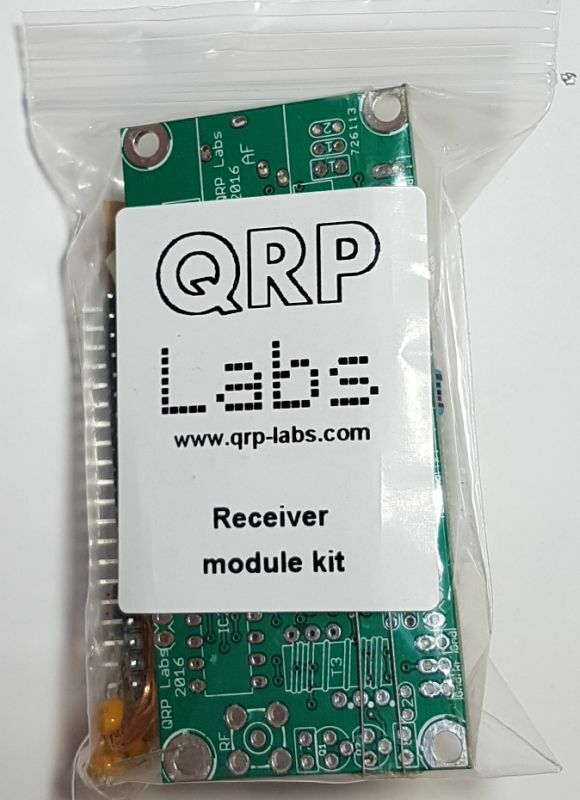 4.2 Foundation Licence: The current permitted power of 10 W pX for the Foundation licence is experienced to be at a distinct disadvantage in today’s urban RF noise environment on the HF and VHF bands – locally and globally – and in mobile applications on the bands above 30 MHz. 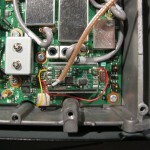 The WIA suggests 25 W pX would better address this issue under Australian conditions. 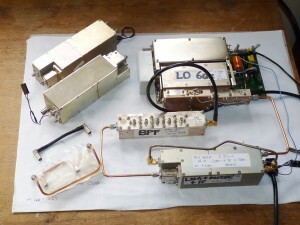 (i) Many commercial transceivers currently available (HF and VHF-UHF) afford operation at the suggested 25 W pX, more so than those that conform to the current permitted power of 10 W.
(ii) On the VHF and UHF bands, the “tyranny of distance” and scattered population centres dominate the ability of Foundation licensees to operate, particularly for mobile operations. 4.3 Standard Licence: The WIA notes that the permitted power of 100 W pX for Standard licensees was a carryover from the former Novice licence. 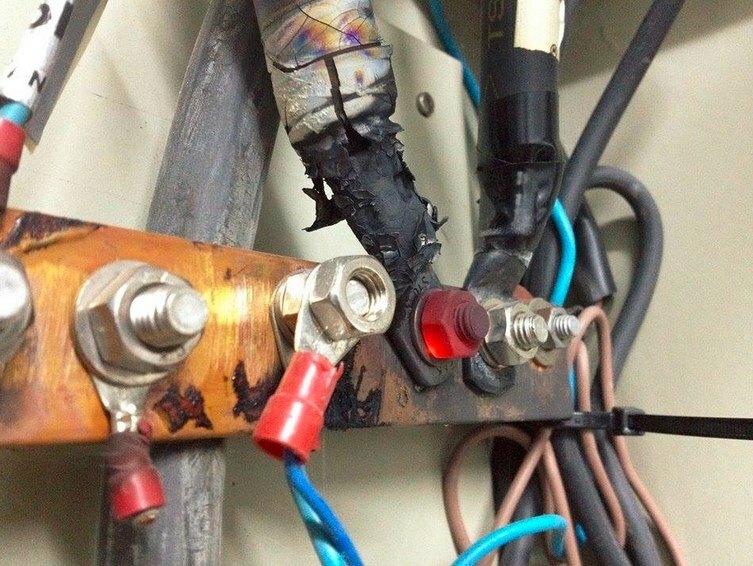 The WIA suggests that a permitted power of 200 W pX would be a sensible, pragmatic provision for the Standard licence, going forward. 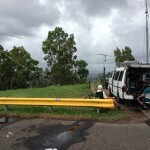 (i) The permitted power suggested affords Standard licensees the opportunity to explore RF technologies and on-air operations at this power level, in context with the urban RF noise environment on the HF and VHF bands now being experienced. 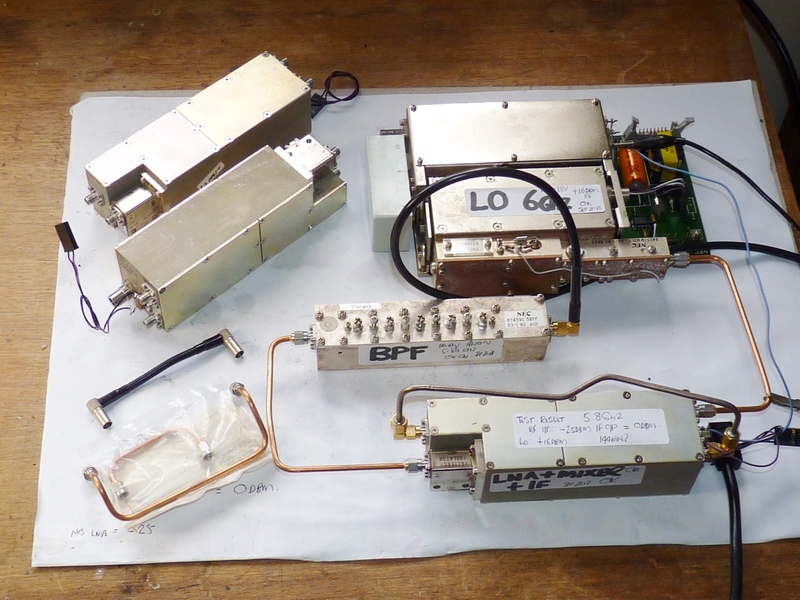 (ii) Many commercial transceivers currently available, and others produced over the last decade, provide output power at this level, manufactured to suit amateurs in the Japanese and North American markets, in particular. 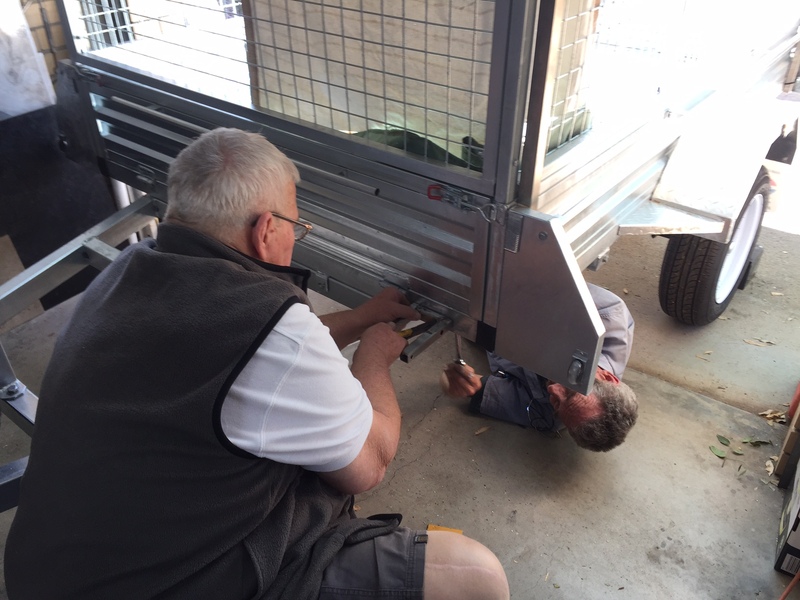 4.4 Advanced licensees: The WIA seeks a permitted power of 1000 W pX without necessitating a separate permit, which is supported by improved awareness of EME requirements (now incorporated in the licence examination syllabuses) and visibility in the LCD, as per 1.2 above. Dateline Same Day “look some extra bandwidth” Standard calls not left out. Also lots of extras for the foundation call. 2.2 Standard Licence: The Standard licence’s permitted bands are quite restricted when viewed in the context of like or similar intermediate level licence’s in other countries, as evidenced in Tab B. The WIA wishes to discuss the possibility of increasing the number of permitted bands for Standard licensees between 1.8MHz and 28MHz, and particularly access to 50-52 MHz. (i) The WIA notes that the Australian Standard licence’s progenitor in the UK has considerably more band access across the spectrum, which has not occasioned notable complaints or issues. Likewise, Argentina, Canada, Japan, the UK and the USA also provide wide access to bands across the spectrum. 2.5 Consideration of Amateur access to a band at 70 MHz (4m), preferably congruent with, or overlapping, allocations in other countries (eg. Region 1). 2.6 Consideration of Amateur access to a band at, or within, 918-926 MHz (33cm), preferably congruent with, or overlapping, allocations in other countries (eg. Region 2). 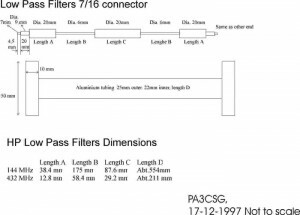 2.7 Retention of access at 2300 MHz (2300-2300.15 MHz), as per the WIA’s submission to the 2.3 GHz band review in 2013. 2.8 Retention of access in the 3300-3600 MHz band. The WIA is developing a submission to the ACMA’s review of the 3.5 GHz band. 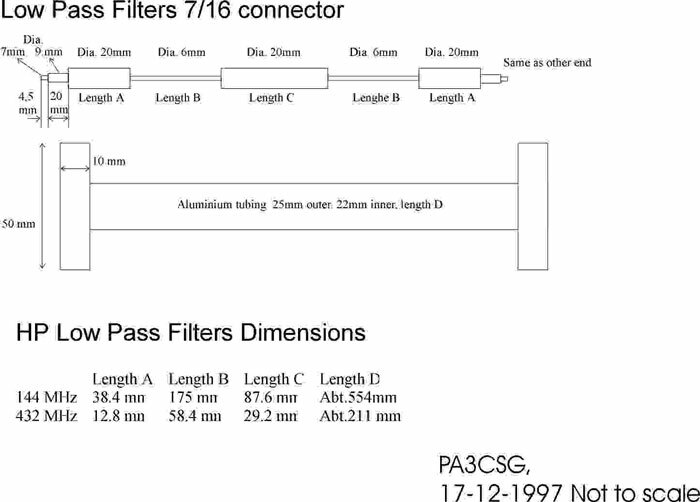 2.9 Retention of primary access in 77.5 – 78 GHz, coincident with global ITU allocations. Dateline 5/09/2014 “Nice Mod” Have a look here if your looking for some ideas. Dateline 3/09/2014 “More changes” Thanks to Darren(VK4DJB) has posted an interesting snippet. On 1 September 2014, the WIA lodged its submission to the review into the Australian spectrum policy and management framework. The Department states the review is necessary to “modernise spectrum policy to reflect changes in technology, markets and consumer preferences that have occurred over the last decade and to better deal with increasing demand for spectrum from all sectors”. Dateline 2/09/2014 “Elecraft KX3 Hit” A must have if your a KX3 owner, 200 kHz bandwidth. 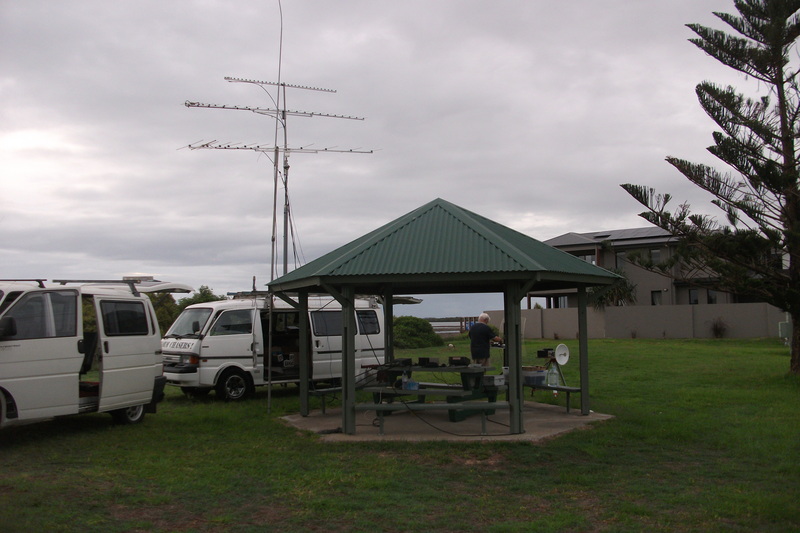 Dateline 1/09/2014 “Spring is on us” Please keep the 22/23rd November free “Spring VHF/UHF Field day Venue” will be discussed on the next club meeting of the 2nd Tuesday of September 2014. 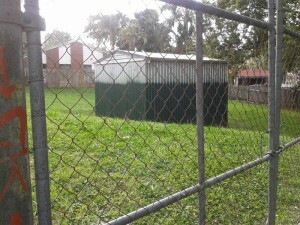 (One site has been proposed is Byron Bay a revisited site going back a few years were the club one the contest out rite. Dateline 24/08/2014 “???????? 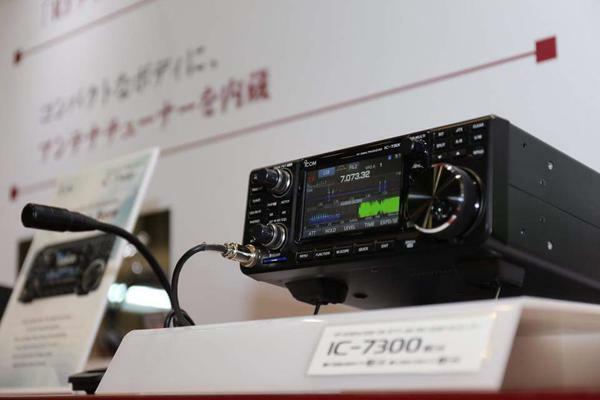 ?” Toyko Ham Fair is in full swing; showing all it wares, oddly the Big two manufactures are displaying a few new rigs. 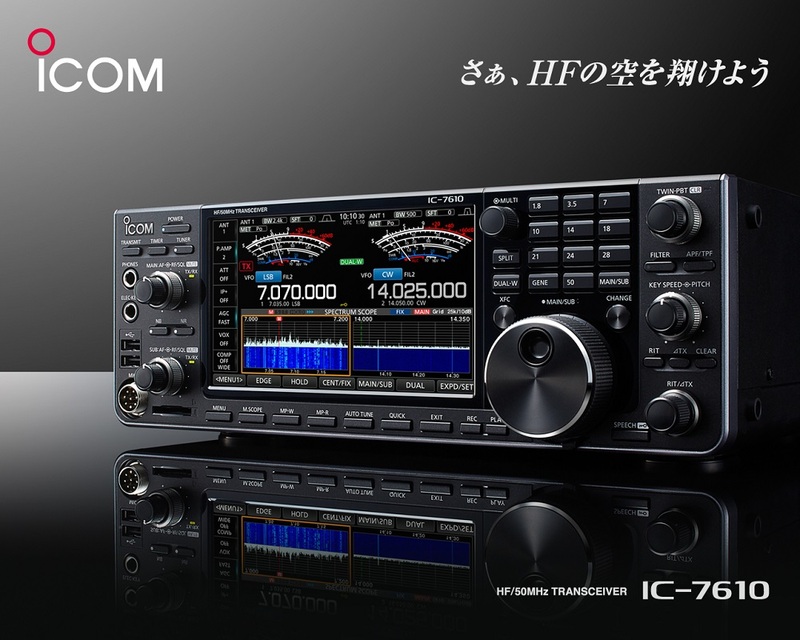 Yaesu FT991 HF/6m vhf uhf (FT897 with a pretty screen boring) and Icom IC8750 HF/6m thing, that seems to be a new expensive high end thing(maybe replacing Ic7800, also it has been muted that a limited number production run ). Shame was looking for a few new concept and less of the norm, customers are iPhone savvy, expecting inovation and bling, their repective R&D sections must be asleep if they think they can offer the same old tripe year on year. No wonder the hobby is losing the younger interest. The foundation Licence was a great start to the trip back here in AU, takes a little more to keep em coming, FT817 is really getting harder to read as the years fly by so the 991 may helf the sight challenged. 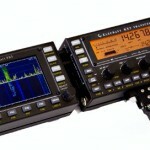 Dateline 18/08/2014 “KX3 Software Lifts the benchmark” Elecraft have finally released the KX3 2 metre module also with its release, a new software update to offer the transverter offset as being one item in the updates package. 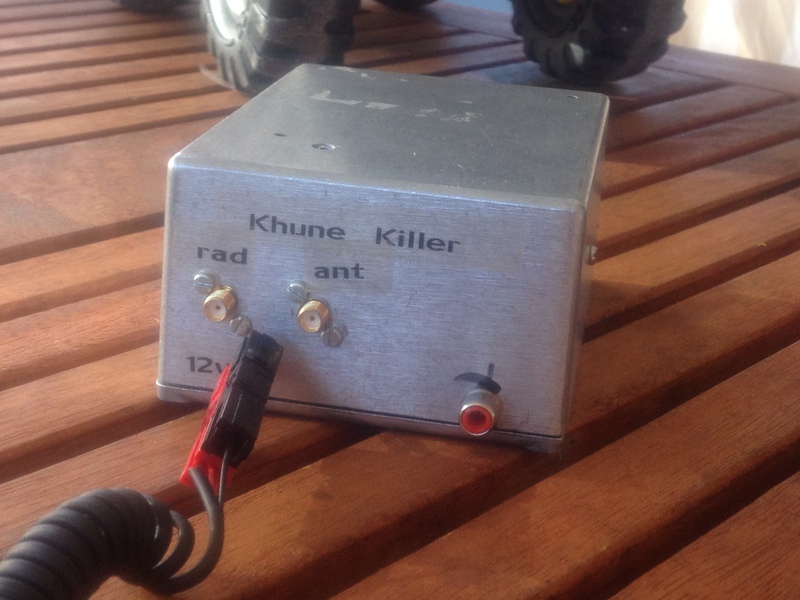 This has been a useful tool in the K3 for some years with ability to add transverters either using 28-50 mhz, or 2 metre IF. 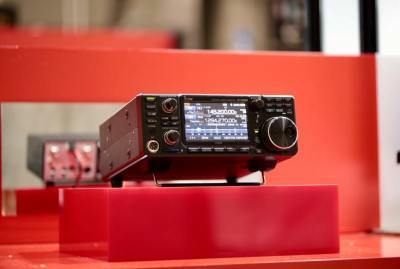 Great to see this as this allows the KX3 to operate with a 2 metre IF and with its superior receiving ability makes it a must have radio. 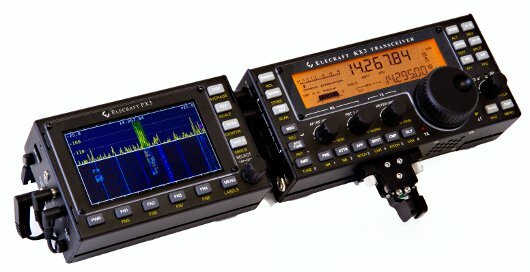 VK4mjf reports the KX3 has these abilities after testing the new software, he said ” great to see, this will make a great improvment to the operation of my transverters and along with KX3 easy adjustable 0-10 watts output power and visible frequency readout makes the KX3 HF – SHF(Microwave) portable, a winner for Field day”. 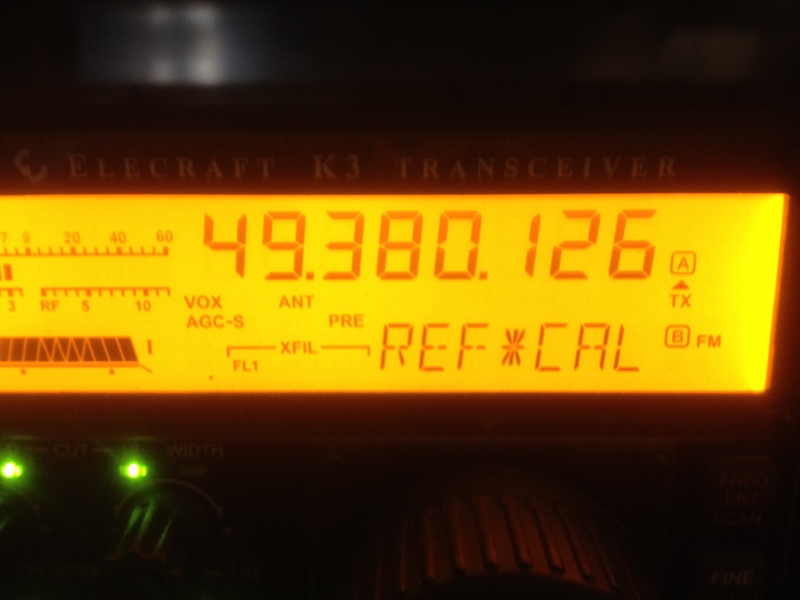 Dateline 14/08/2014 “K3 a winner” As all 10mhz references have been tried, VK4MJF has to report the only one out of the batch is HIS on his K3. Will keep you up to date on this subject and others and if you here him, remember his K3 is on frequency. thats close to it ! 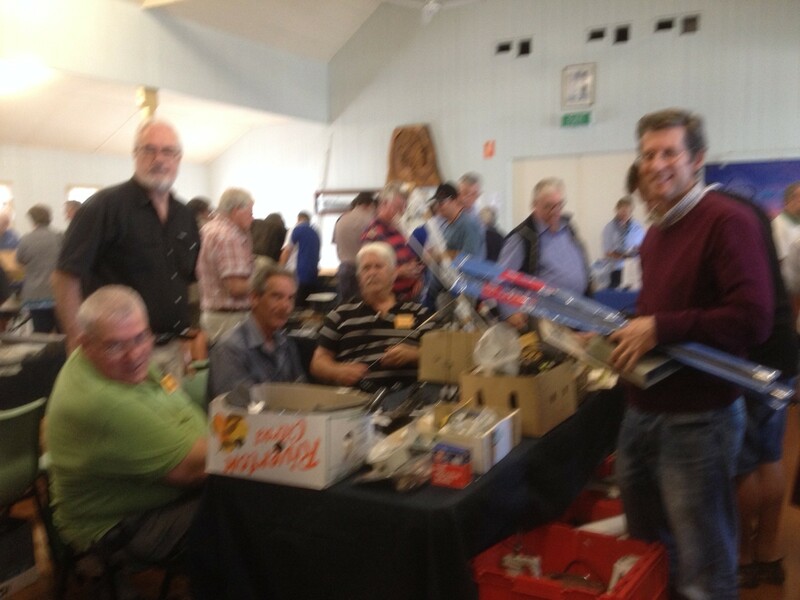 Dateline 13/08/2014 “Meeting a success” This months meeting was in full swing and we had a couple of visitors a Philip vk5srp and Mike Halasz. 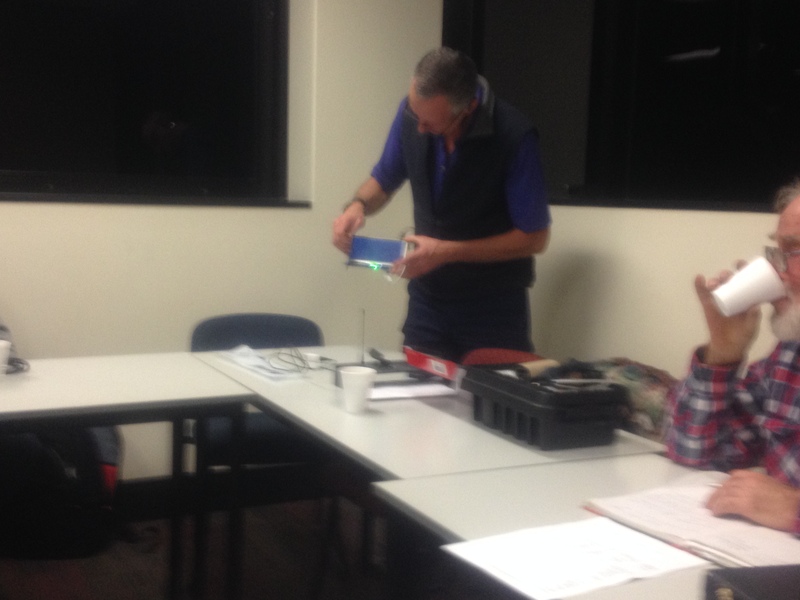 Simon VK4TSC gave a talk on a spectrum analyser made from a TV dongle and a raspberry pi, nice thing (is in kit form) . Simon will pass on an item on the project, so keep watching. 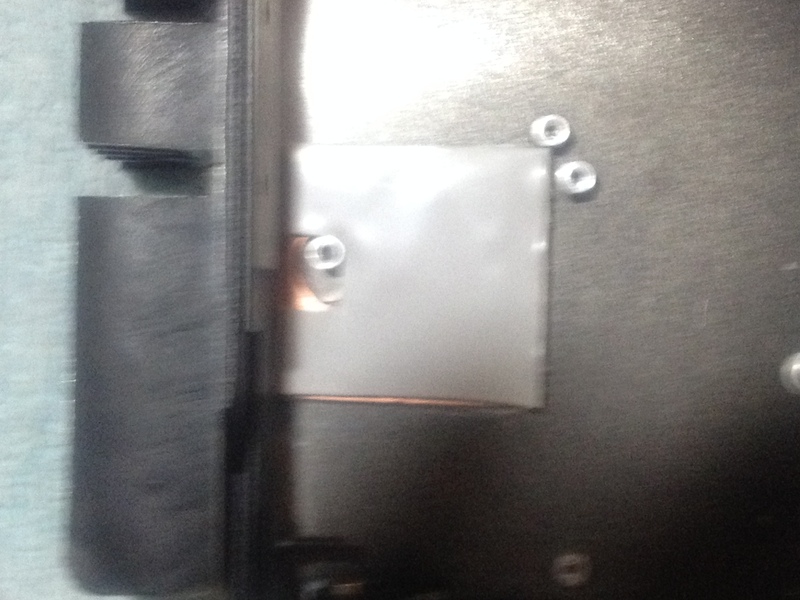 One thing that can up was a sat phine sleeve for the iPhone so read on. The meeting closed over time and all lifted with a head full of new dreams. The Thuraya Telecommunications Company on Thursday launched a new edition of the Thuraya SatSleeve, the world’s first and only satellite adaptor for the iPhone. The new release not only allows users to make phone calls and to send SMS messages via Thuraya’s satellite network, it also enables them to access emails, as well as all social media and instant messaging apps such as Facebook, LinkedIn, Twitter and WhatsApp, among others. Thuraya SatSleeve users can now post news updates, chat via messaging apps with their contacts as well as send and receive email from the most remote locations in satellite mode. The device can be used across Thuraya’s extensive satellite network, with coverage in over 140 countries. Thuraya SatSleeve enables users to enjoy ubiquitous coverage even in the most remote environments that are not served or are under-served by existing terrestrial networks. 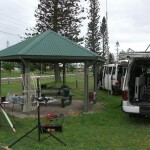 The device also serves as an important mobile communications device, in addition to being a security backup for users that are operating in remote locations and in areas where natural or man-made disasters can render terrestrial communications unavailable. SatSleeve customers include corporate users, enterprises from all industries, explorers, mountaineers, extreme sports participants and other outdoor enthusiasts. The SatSleeve can be used across the Thuraya network either with a Thuraya SIM card or with a standard GSM SIM card available from 356 worldwide GSM operators in more than 160 countries. More info and a video @ this site. Dateline 12/08/2014 “BBS Passes” For all that new Brian VK4BBS. 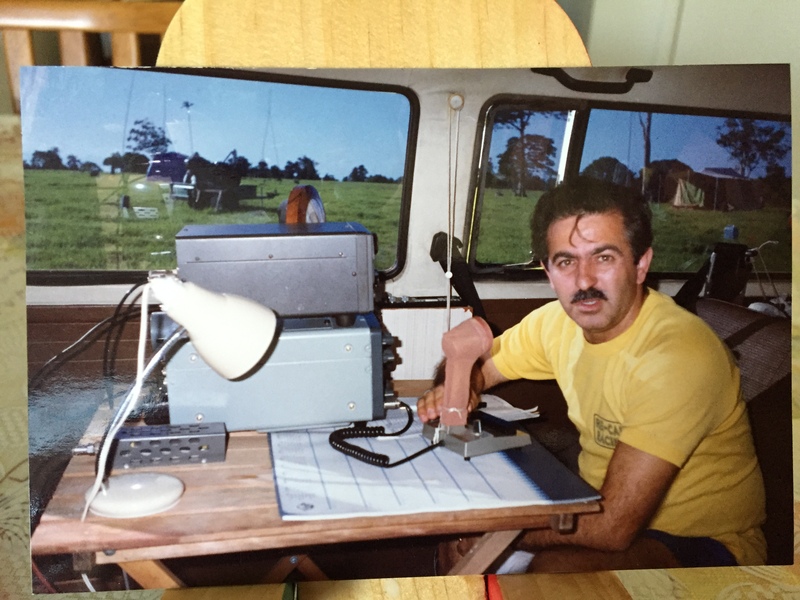 Brian Beamish VK4BBS, previously VK4NDE and VK4AHD, passed away Thursday 7th August 2014.Brian was an early RTTY & packet BBS operator and continued for many years, and was active on satellites, APRS, HF and VHF until several years ago when his heath deteriorated and his voice became somewhat feeble. 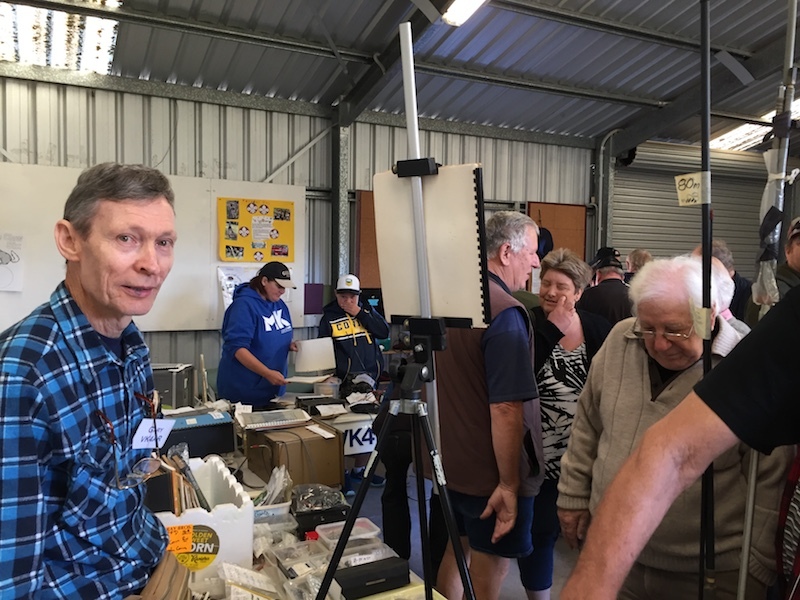 Many older amateurs will remember him as the man behind CW Electronics back in the 1980s and as the primary Brisbane outlet of Icom, Yaesu and Kenwood gear and amateur accessories in SE Qld at the time. All of us would like send our Condolences to his wife Maureen and children Stephen, Cathy, Christopher and Susan, plus a number of grandchildren. The funeral service will be held at the Sunnybank District Baptist Church, 127 Nemies Road, Runcorn on Thursday 14th at 2PM. Amateurs who knew Brian are urged to attend. 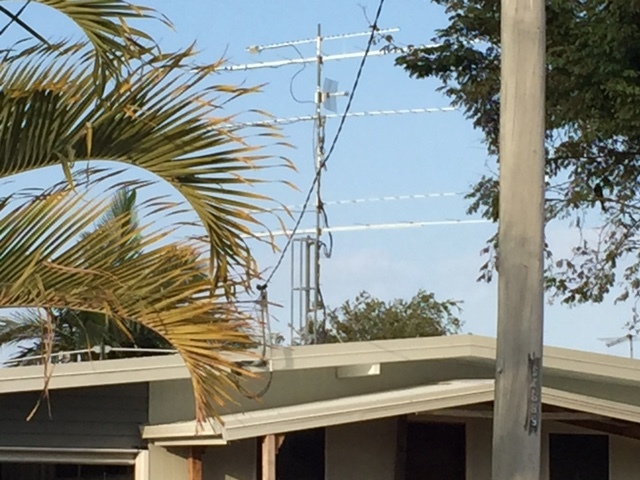 New to the local repeaters and noticed that during the day, there’s frequent noise/interferences on the various 2/70cm repeaters around town. Are these so called city RF pollution? I note that some of them have a voice in the background. Where are they all from? 2M is so much quieter but LITTLE ACTIVITIES. Maybe the club maybe interested in these as for the 2 metre supirous stuff. Dateline 4/08/2014 “Interesting observation” We would like to introduce Radi Beamaed the webs new reporter. Radi has been watching the activity on digital modes. So far reports, there has been more activity or interest shown over the last few weeks on these modes than ever before, maybe as winter means less longer distant contacts on SSB etc. This must mean it is the winter sports eqiverlent of the hobby. We would like to welcome Radi on board and look forward to some of the in-depth items that has made Radi famous for, so if you are contacted in the future please assist,(we also look forward to meeting Radi at a future club meeting). 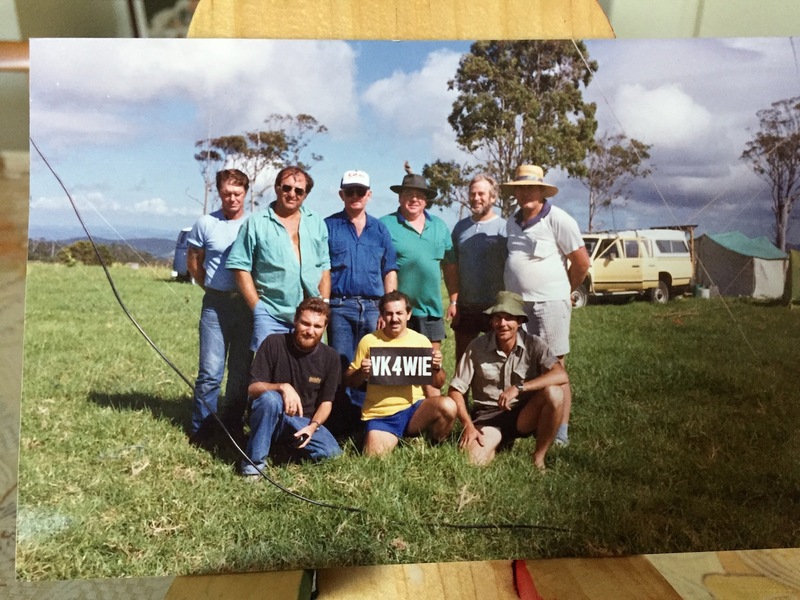 Dateline 1/08/2014 “10 mhz” As reported back in early May 2014, Thanks to VK4CRO for the starting interest VK4 NE and MJF for the effort they all put in to the project. 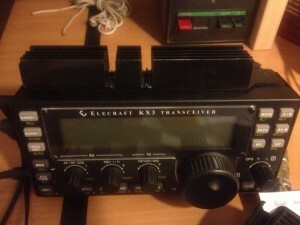 VK4NE has finished the last club 10 mhz reference of just before going into hospital for cosmetic surgery. So far the ones in operation are VK4 NE MJF all just sitting on their benches with there little red light on saying nothing but apparently keep the frequency true. 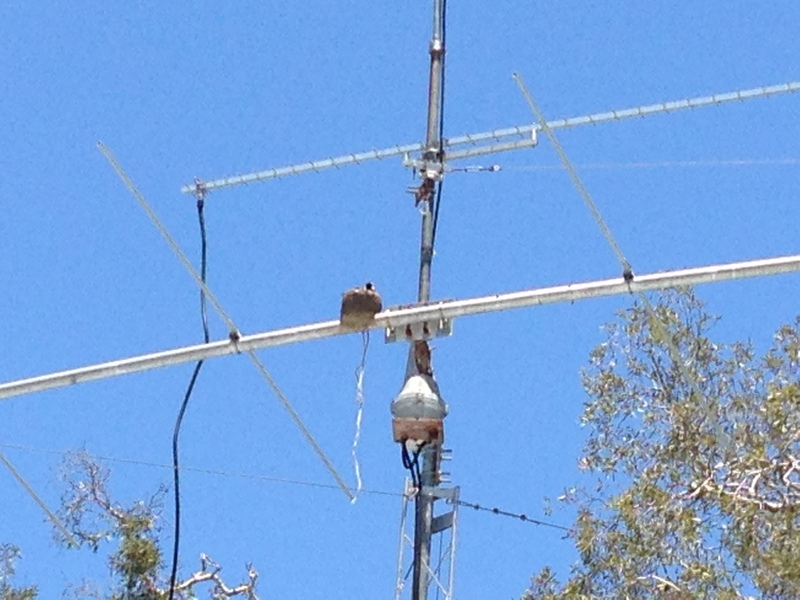 Of course it only takes one other Ham to say the magic words “are u on frequency” and the whole thing falls apart. Its a hobby and it s all fun ! 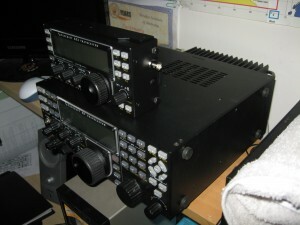 Also the club 10mhz reference also is ready for the next field day. 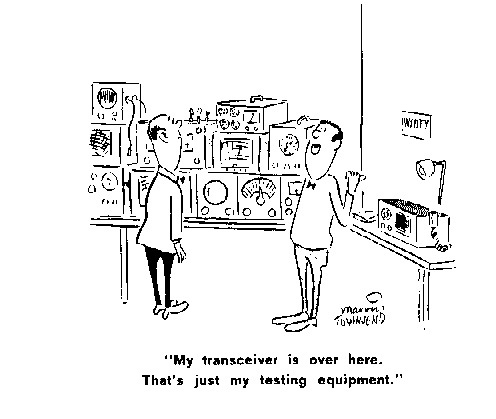 Dateline 26/07/2014 “New menu listing” we have posted a new menu listing on the test equipment requirements in your shack, a good read see if you measure up. 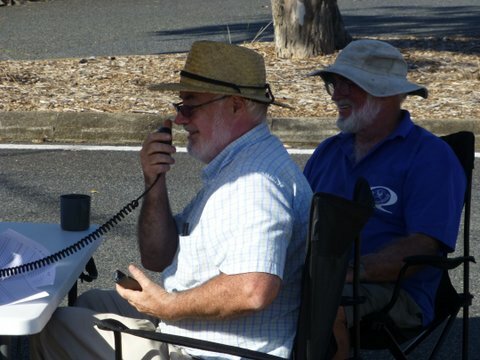 Dateline 23/07/2014″Icom Offer D-Star” Icom Australia are offering assistance to some clubs to get D Star up and running will post more as it arrives. Dateline 22/07/2014 “results in” We have the first list of results with the VK4 highlighted , the official results will be posted on the WIA site for further scutony. 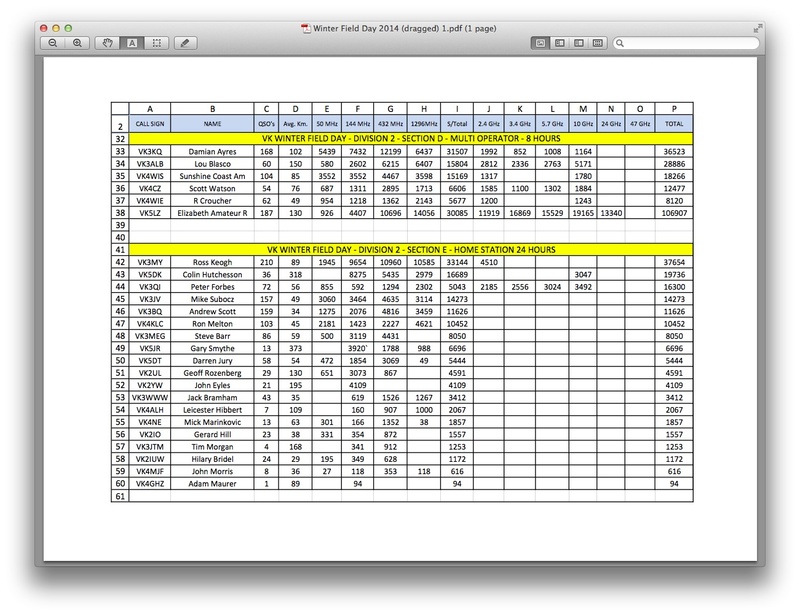 Div 2 results posted! The Winter Field Day results for Division 2 have been completed & forwarded to the WIA, the winners, plus 2nd & 3rd places in each section are as follows Single Operator 24hrs 1st VK5TE 24361 pts 2nd VK5KBJ 20899 pts & 3rd VK4OE 14936 pts Single Operator 8hrs 1st VK5NE 33737pts 2nd VK5TE 18191 pts & 3rd VK5KBJ 15036 pts Multi-Operators 24hrs 1St VK5LZ 117213 pts 2nd VK5KQ 83740 pts & 3rd VK3ALB 59680 pts Multi-operators 8hrs 1st VK3KQ 36523 pts 2nd VK3ALB 28886 pts & 3rd VK4WIS 18266 pts Home Station 24hrs 1st VK3MY 37654 pts 2nd VK5DK 19736 pts & 3rd VK3QI 16300 pts Rover Station 24hrs 1st VK5KK 49461 pts 2nd VK5ZT 32445 pts & 3rd VK3QM 11096 pts Top “F” Call Station VK5FSKS 9520 pts. Was in the 8hr Single Operator section. 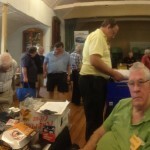 Dateline 20/07/2014 “Club cash boost, to the coffers” Thanks to all that helped with the stand and thoughts how bought the valueable merchandise from that stand; at the Cabolture Radio Hamfest venue. Some of us are looking forward to the next Fest @ Wombye later this year. 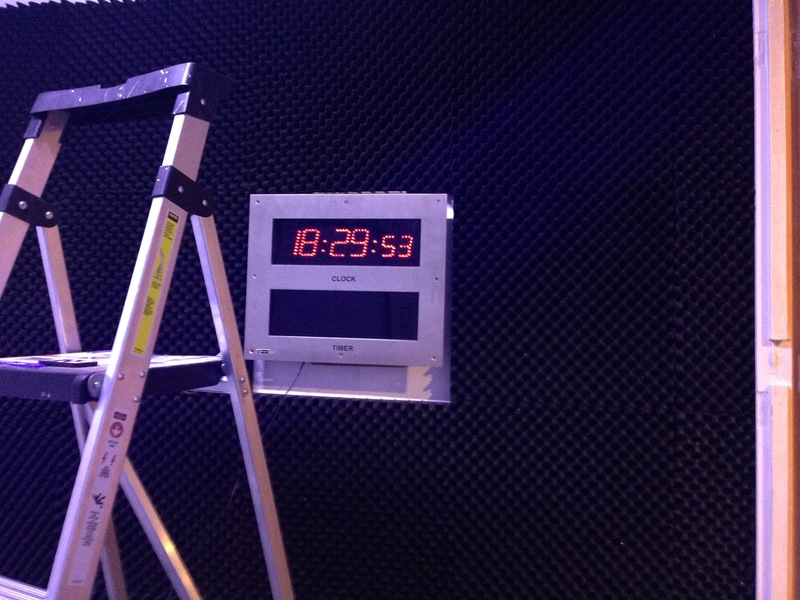 PS all the clocks have been sold. Dateline 20/07/2014 ” WIA a Gov dept.” Or are the staff themselves been forgetful, the recent Field day results were published for Div I. Of course thoses Div II results were not listed. These results had to be sent to a different manager (for what reason is not clear, although written in the rules,) were not passed on to the DIV II MANAGER, until they were requested). Now being that, the Div II results will be delayed. So those who are interested in comparing the results a small delay at no fault of the Division II manager. It is also noted that the contest manager has retired, thanks to John Martin for his efforts. As yet no new replacement Manager has been appointed, lets hope new the new manager has the HOBBY in mind , which we would all like to see happen. is anyone interested in these bands, game enough in putting their hand up. 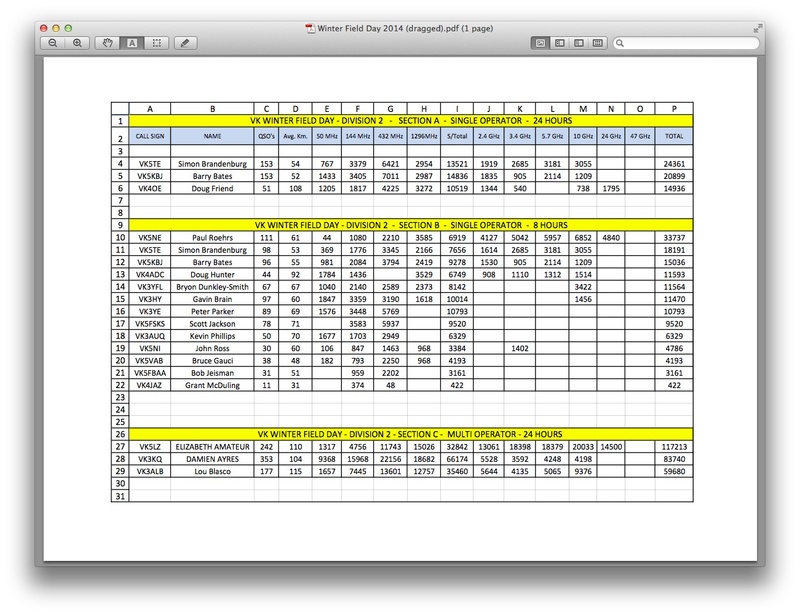 Dateline 8/07/2014 “Club Typist botches results.” Vk5DK (Colin winter field day contest manager Div.2), about our results of our recent effort. 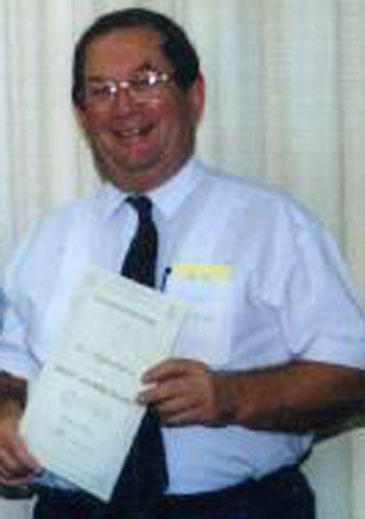 He reported that a contact VK4TGL had a gridsquare of QC62 possibly placing him in the indian ocean, so he was interested to hear if the log was correct in this instance .VK4MJF searched the records to find that the typist had made the error and the correct grid square was re entered for the rests and re forwarded to Colin. I believe the typo was just a one off which is taken up by the software program VK4MJF said, and all contacts were logged as per the first input the results have change from 16000 to 10000 points and all is well. “I m also hoping they will be not be to harsh on the Typist “, said VK4MJF Looking forward to the final results. Dateline 6/07/2014 “WIA NEWS” A big read. 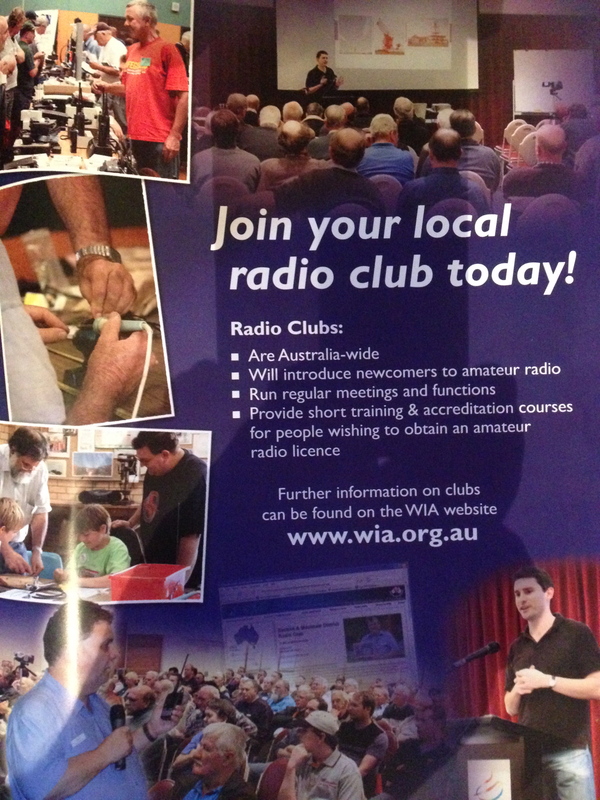 http://www.wia.org.au/members/broadcast/wianews/display.php?file_id=wianews-2014-07-06 Dateline 4/07/2014 “Whats up know” Good morning all ACMA have advised that the Amateur Radio Licence fee has been increased to $74.00. The fee increase is indexed. And rises by about $1 every year or so. Variation to licence fee remains at $49.00. 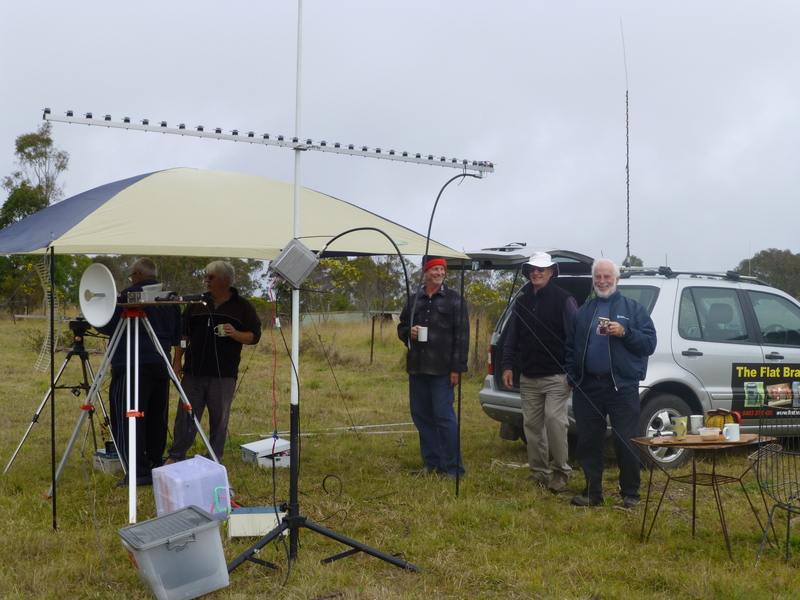 Dateline 2/07/2014 ” Awaitng next award “ Vhf-Uhf Winter Field scores are in, we have posted the normal grid square results(690 points) plus the new Distance based results(16900 points). Only time will tell on what result is achieved both as a normal scoing group and the suggested believed to be more balance results on trail by the Contect Manager JM (not mjf)of the WIA. 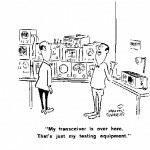 Dateline 31/07/2014 “WIA to teach us about EMR” Could be fun the WIA is going to hold education class on EMR which means using high powered amplifiers and alike.. check it out here. 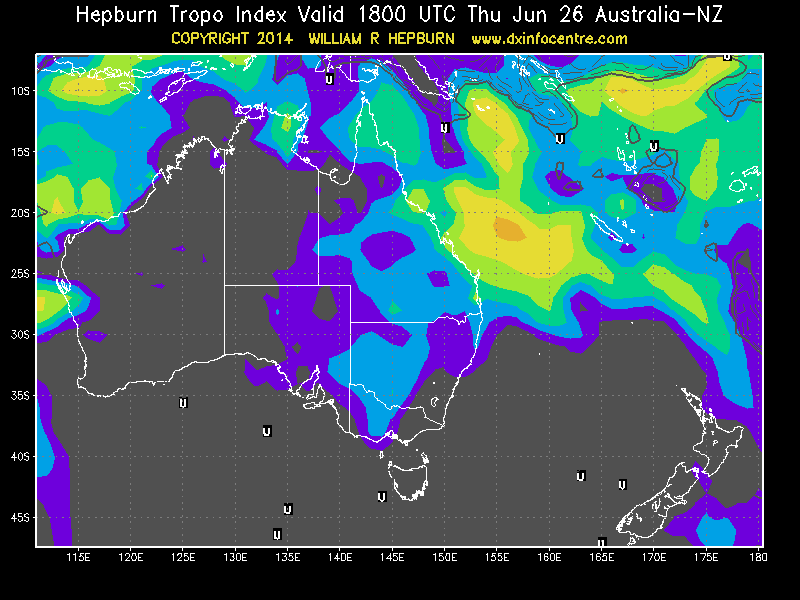 http://www.wia.org.au/newsevents/hotissues/current/index.php Dateline 26/06/2014 “Wspring gone mad out west” Inland Troppo has and is in abudance the last few mornings with contacts to northern NSW VK2 and Adelaide VK5. Dateline 10/06/2014 “Its a mistery” Some one is going to give us a lesson on “oscilloscope”at tonites meeting see you there. Dateline 7/06/2014 ” Are you there ” Next Club Meeting has come around, don t forget the place and its Tuesday nite 10th June 2014. Free tickets for the luck door prize, Peter has promised so said some one or something I heard was this month and if GC’ s still away extra bonus tickets will be given out on the chook raffle. Dateline 4/06/2014 “Whats that on the moon ?” Several years back a couple of blokes walked on the moon, just for fun. Some club members have been trying to bounce signals of the moon over the last few days (maybe into the foot prints), some scorch markss are most likely visable with a good telescope on a clear nite. VK4 NE, CRO, MIL,MJF have all had a go with some success and just as much fun. I’ m sure the B/ S will flow at the next meeting. See u there. Dateline 3/06/2014 “New OS8 coming, FREE” All you Mac owners will be interested in the new operating systems for the mac family (Due in the US Fall). 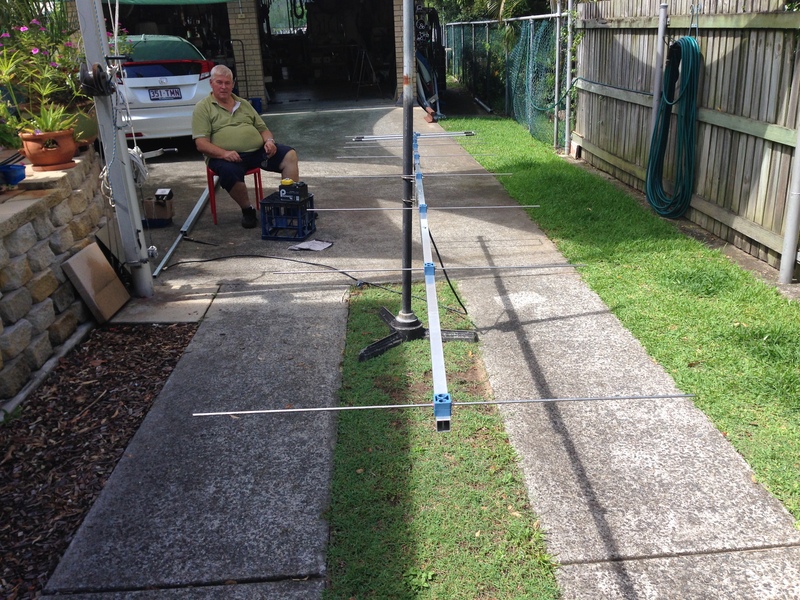 Dateline 2/06/2014 ” Mick finds filters” VK4NE found a site on 2/70cm High Power Low Pass filters. 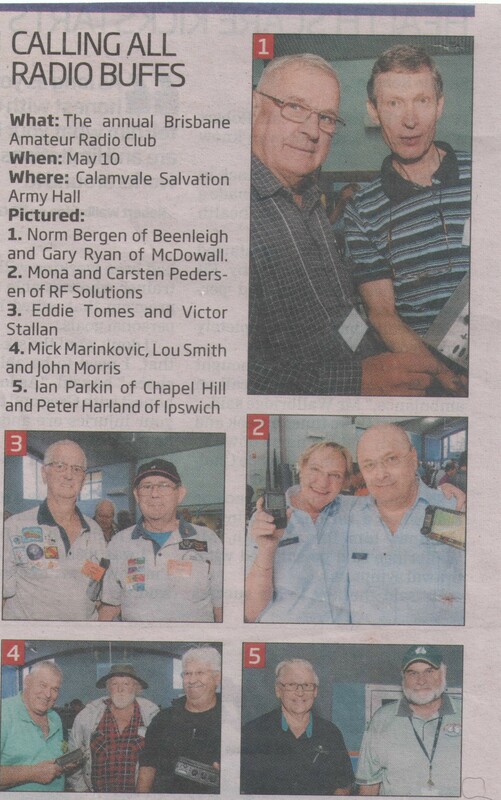 Dateline 31/05/2014 “DJB Drops em in” VK4DJB offered this news clipping from the Southern Star newspaper who told a few happy snaps at the BARC Fest. Dateline 27/05/2014 “(New Ipad)” Will be due for release on the shop floors for sale, in the next few weeks. HD (High Definition) is its claim for the new version. 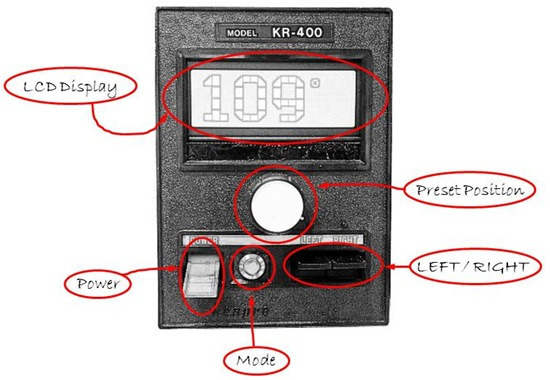 This could help all thoughs older eyes to use the software side of the hobby, like VK Logger etc used on the iPhone. Dateline 23/05/2014 “The drift is over” More on this later will compile an article on the fixing of the drift in the KX3 on digital mode. But for now the drift is over. 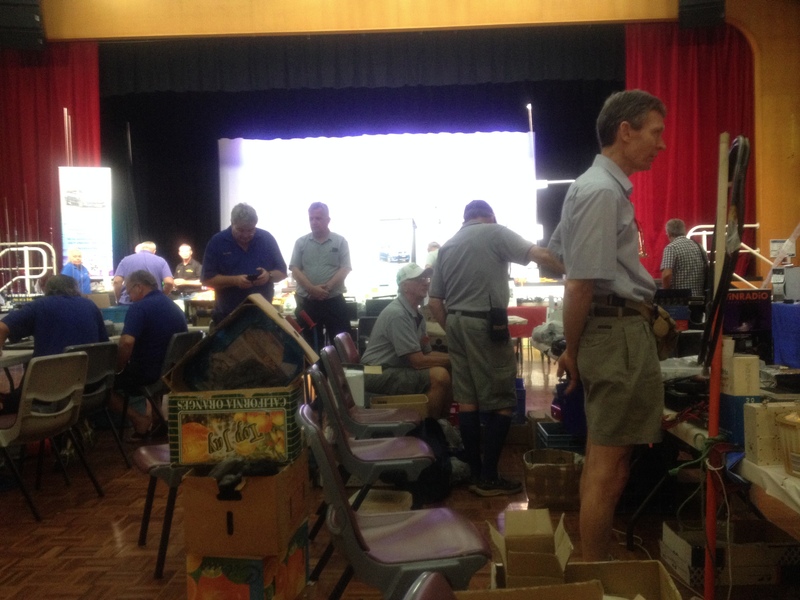 Dateline 12/05/2014 “Money to the confers” New B A R C …….Very nice venue, seems it may be a bit far south for the northern hams and displayers. 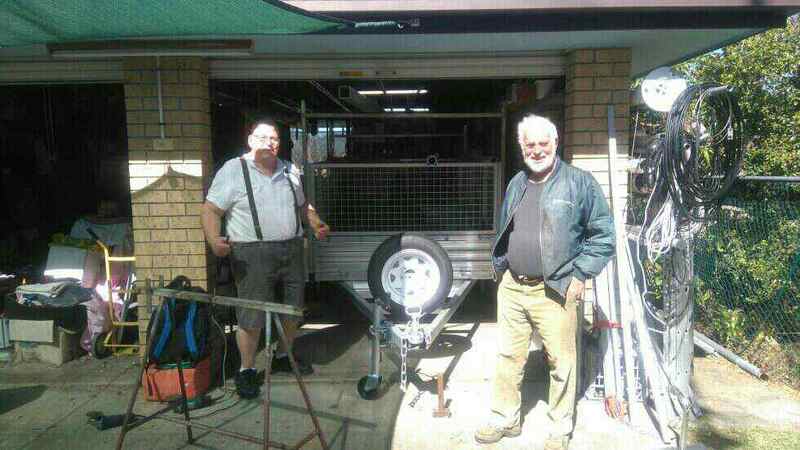 Thanks to all that helped and assisted, the club has a new rotator for our efforts and a couple of bucks to the bank. 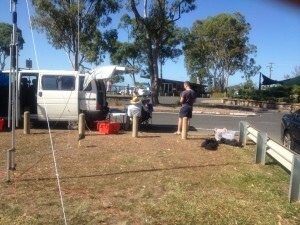 For some of us there was an unscheduled gathering in the carpark with many subjects found and discussed. 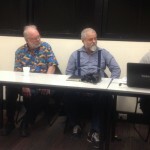 I m sure there will be stories at the May meeting, see you there. 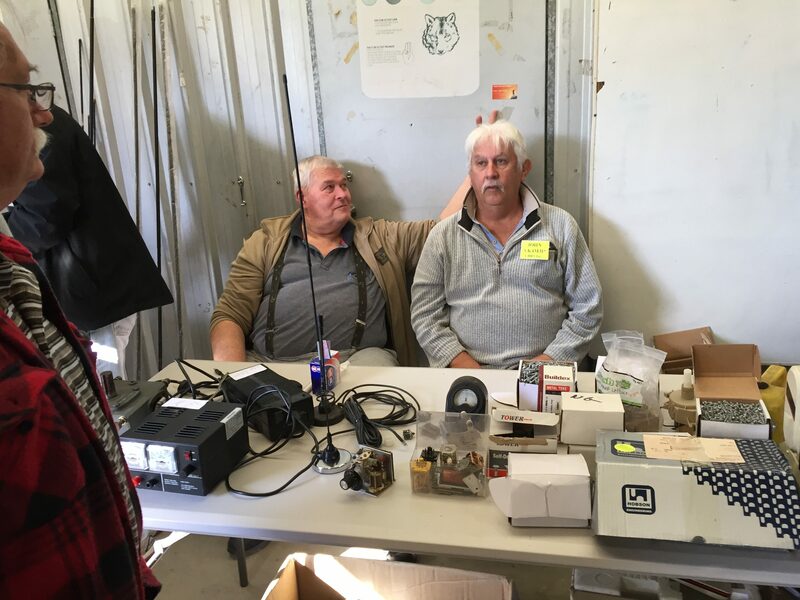 Dateline 11/05/2014″ 10 mhz ref” Some of the club members who are venturing into 10 mhz referencing as reported last week , they are still procrastinating. 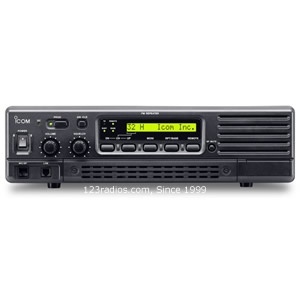 Those of us with K3 s are well in advanced with hardware and software coming. 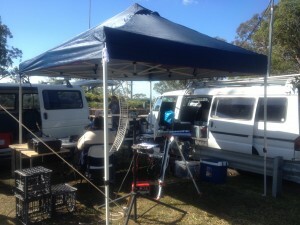 We will be kitting out the club radios as well for the higher bands. Dateline 2/05/2014 “VHF/UHF WIA ?” All of these are shortened for some other long words. 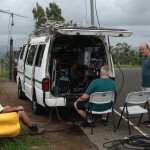 WIA has new rules for the VHF/UHF Field day. These are Distance base and Grid square scoring, very easy to find either in this months AR Magazine or the WIA web site. Dateline 1/05/2014 “BARC” B .A. R. C FEST see you there club has a table with lots of goodies bring the $$$$$ Venue is:- Corner Beaudesert Road and Kameruka Street Calamvale. 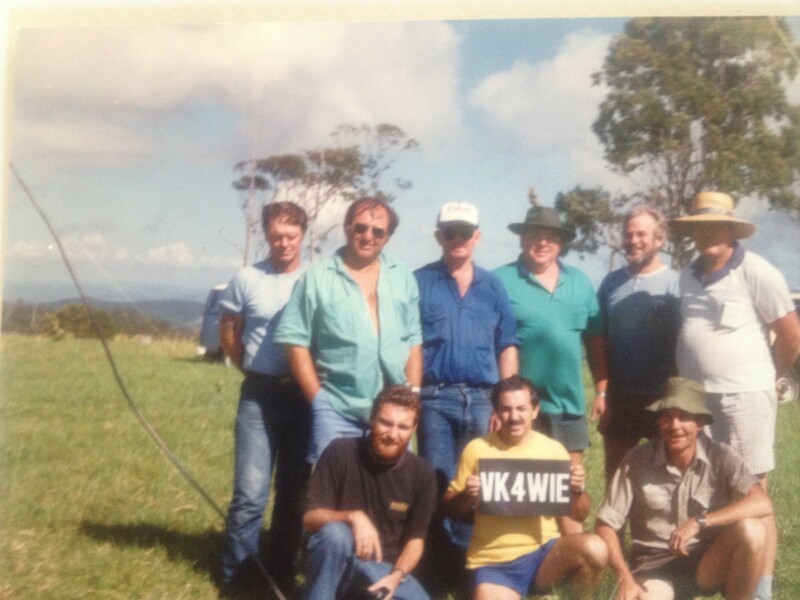 Dateline 28/04/2014 ” Great effort team” Its official ;VK4WIE has 1st place , ( first place) in the John Moyle . Great stuff boys bragging rights here for the next meeting. http://www.wia.org.au/members/contests/johnmoyle/documents/JMFDC%20Results%202014.pdf Look here for the results. We need you as another contact a new club member, a contact on a field day, or just some one to share easter with. HAPPY EASTER to all. 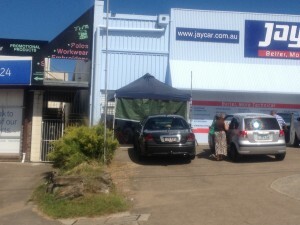 Dateline 13/04/2014 ” Jaycar almost a desert” We spent a good day at underwood and the customers were impressed with the turn out. VK4CRO is happy with the prospect of some new candidates for licence assessments and Peter VK4PI was happy with the effort we all contributed to the day. 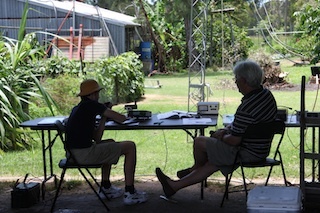 Although there are more Guests on a field day, the number of inquires and comments were just as important. 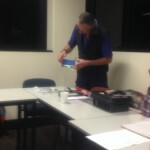 Peter asked to thank all involved and is looking forward to the next club meeting. The club and members will set up HF- 10ghz radio and digital gear. See yah there. Dateline 31/03/2014 “Old President goes in for nip&tuck.” VK4NE has gone under the surgeons knife to straighten out his back problems at the Mater. With the club responiblities lifted from his shoulders and a lenghty recovery period to look forward too. All in the club wish him well. Dateline 26/03/2014 “Results are in.” The results are in for the john Moyle contest and we patently await the placings. The results reflect that the contest is geared to 6 metres as the number of contacts to the score per band seem higher. Dateline 20/03/2014 “Club is up to date” We are pleased to advise the event calander is running correctly, So watch the thing and you will know when things are happening. 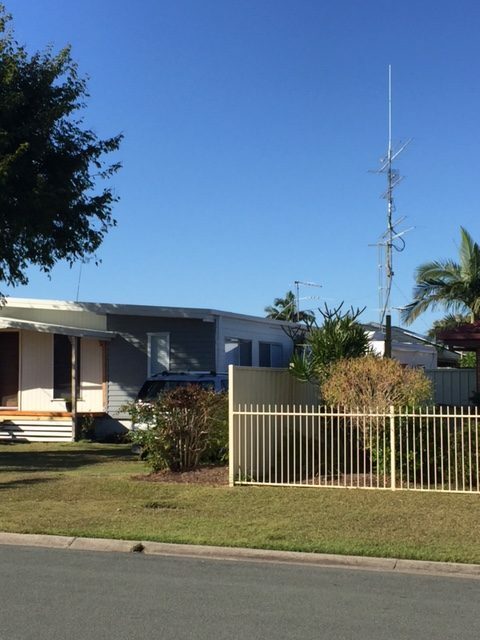 Dateline 19/03/2014 “Eyeballed “ Several club members sat around the CRO’S back verandah today to eyeball VK2FWB and his wife. Dateline 16/03/2014 “The away team on MtGravatt” We set up at MtGravatt Hill from 10am and we were ready for our 6 hour John Moyle contest effort. The team role were; VK4NEF,CRO,IAA GC AND MJF, we ran HF 6m 2m 70cm 1296cm 2.4ghz 10ghz standard format with assistance for VK4NE. We seemed to be doing better in the microwave area as per some extra practice, anyway we filled at least half a sheet per band with contacts on all bands JA, ZR s VK2s etc, is all logged and we just have to sent in the forms and await our fate. 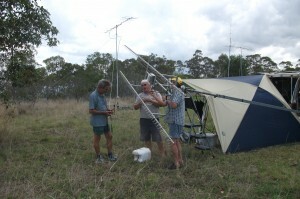 Col VK4MIL was on MtWolvi with the Gympie club all handing out great points on the higher bands, thanks guys. Less visitors this time, MJF parked his van so the sign was hard to read, so it was a bit all hands to the job and less keeping the public informed. We finished our 6 hours and pack the gear in about and hour and we were all home by 7.30pm, thanks to all how joined in and to Eric for the lean quizean. 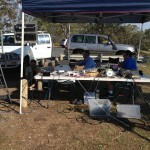 We look forward to the next field day ( or camp out), the new low priced club genie worked a treat, good purchasing guys. 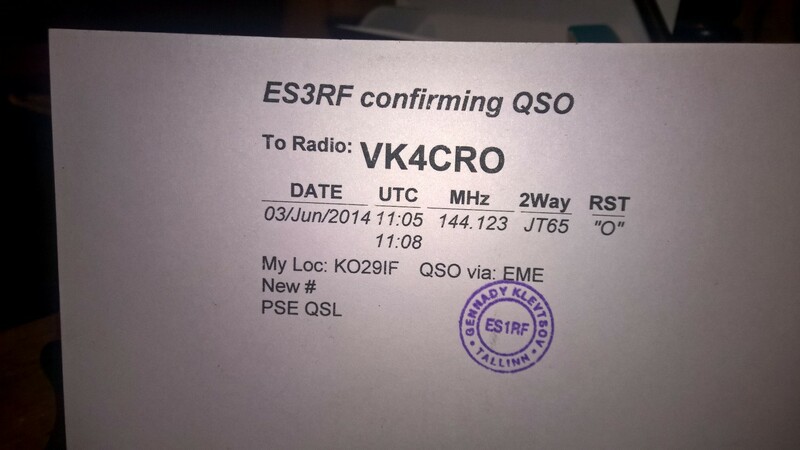 Dateline 14/03/2014 “Further silence on 6 metres” Just an up date on the beacon in VK3. 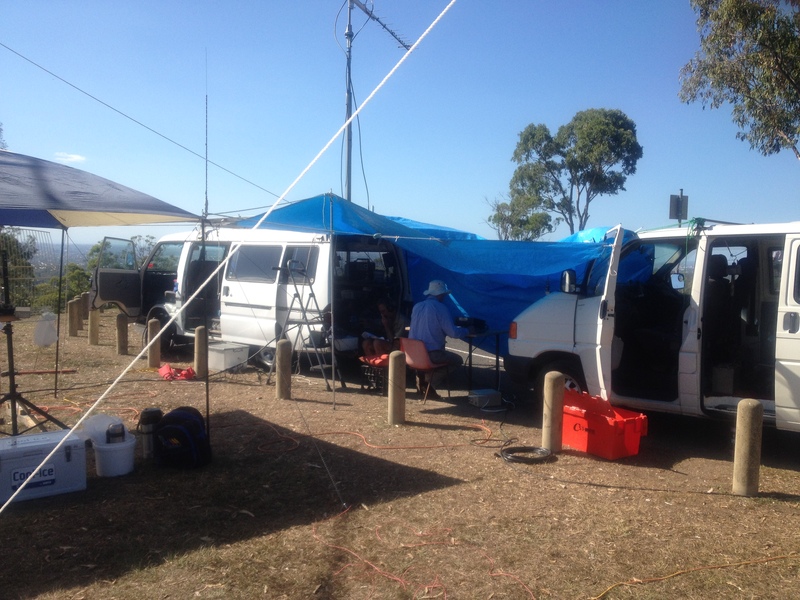 NOW VK3RMV is dedicated WSPR BEACON TS680S GPS TIME SYNC REMOTE SITE 5 watts to 50 watts Also we have a top crew goning to do the John Moyle field day at MtGravatt, see you there. 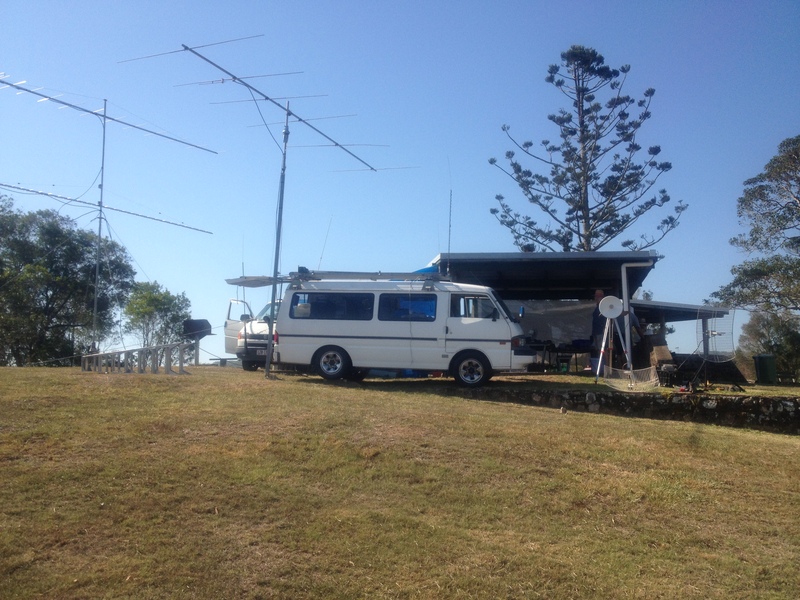 Dateline 13/03/2014 “Col s wish WSPR Beacon” The silence has been broken,Col VK4MIL will have a new beacon to listen out on 6 metres in VK3. 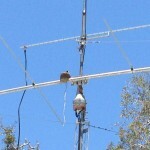 VK3RMV is up and running on wspr 6 metres so there will be lot of reports on the wspr logger. 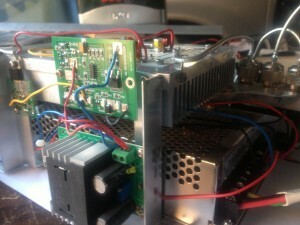 Col is looking to get a 2 metre beacon running for wspr in the very near future. 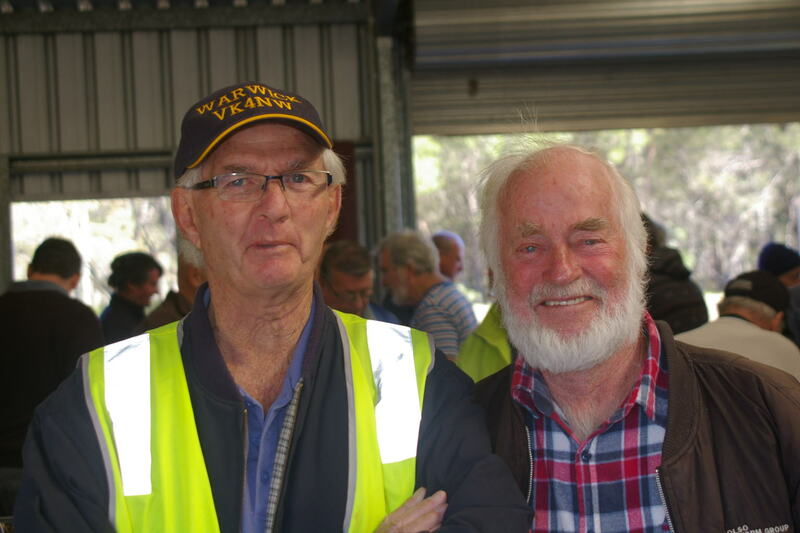 Dateline 11/03/2014 “Raspberry pie d at the AGM” Congatulations go out to the newly elected team, lead by Peter VK4PI for the coming year Peter vk4pi — President Ken vk4gc — Vice President Eric vk4nef —Treasurer Alistair vk4mv — Technician Ron vk4cro — Secretary Colin vk4mil — Committee Mick vk4ne —Comittee Darren vk4djb —Newsletter – Media We also like to thank the out going team lead by VK4NE which has been running things for such a long time, steering the club to its current popularity. Dateline 2/03/2014 “Even wiht a bad back the brags come” Am at the news desk and a email event arrived. 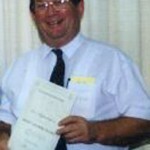 It was from the President himself; Bragg rights; and on 6 metres. 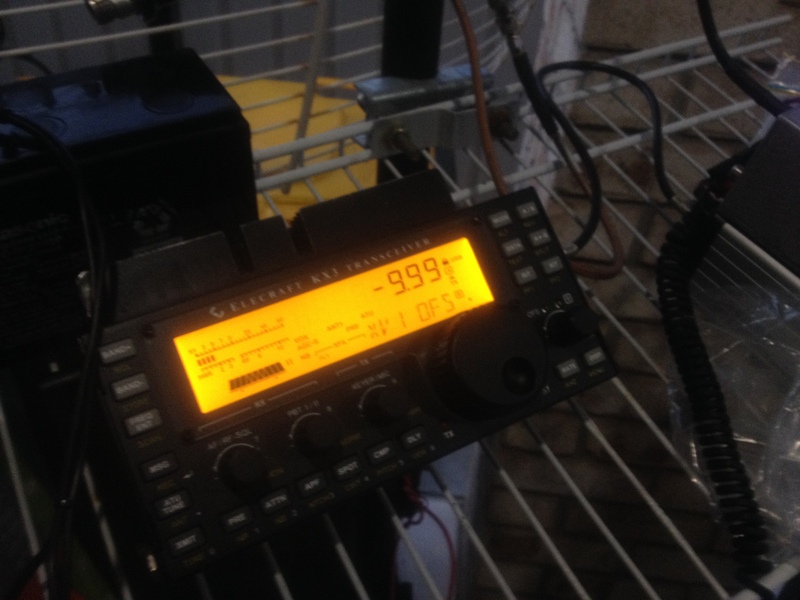 WSPR, hard to believe. 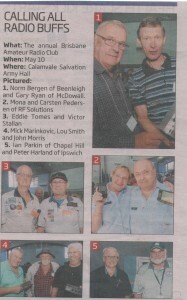 Well done to VK4FP, VK4NE and VK4TVL. 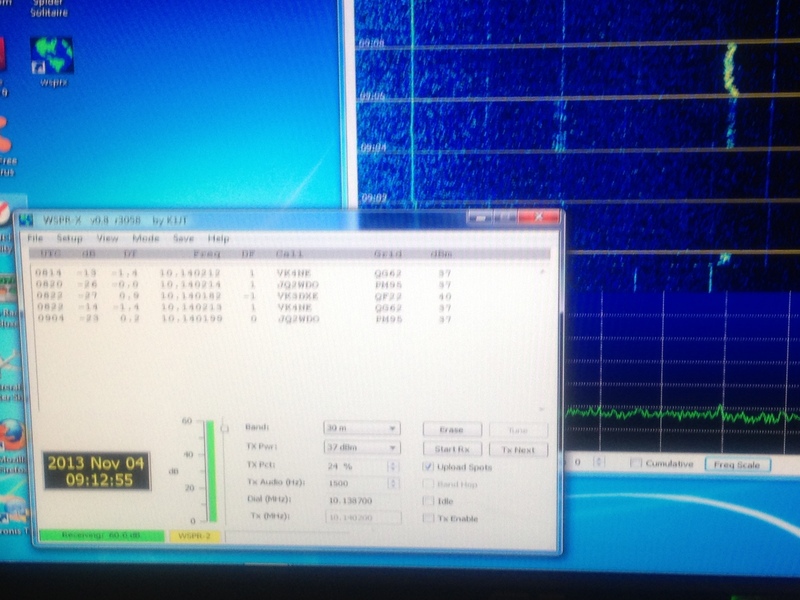 These are all the signals that got through – 2014-03-01 05:28 VK4TVL 50.294409 -18 0 QH30jq 20 RA0CCK PO80mn 7828 353 2014-03-01 05:26 VK4NE 50.294477 -20 -2 QG62nj 5 RA0CCK PO80mn 8835 350 2014-03-01 05:18 VK4NE 50.294479 -21 -2 QG62nj 5 RA0CCK PO80mn 8835 350 2014-03-01 05:02 VK4NE 50.294482 -16 -2 QG62nj 5 RA0CCK PO80mn 8835 350 2014-03-01 05:00 VK4TVL 50.294416 -25 0 QH30jq 20 RA0CCK PO80mn 7828 353 2014-03-01 04:58 VK4FP 50.294422 -25 0 QH30ip 5 RA0CCK PO80mn 7832 354 2014-03-01 04:56 VK4NE 50.294480 -28 -3 QG62nj 5 RA0CCK PO80mn 8835 350 2014-03-01 04:54 VK4FP 50.294421 -21 0 QH30ip 5 RA0CCK PO80mn 7832 354 2014-03-01 04:52 VK4TVL 50.294414 -21 0 QH30jq 20 RA0CCK PO80mn 7828 353 2014-03-01 04:46 VK4NE 50.294478 -23 -1 QG62nj 5 RA0CCK PO80mn 8835 350 2014-03-01 04:44 VK4TVL 50.294413 -20 0 QH30jq 20 RA0CCK PO80mn 7828 353 2014-03-01 04:42 VK4FP 50.294417 -27 1 QH30ip 5 RA0CCK PO80mn 7832 354 2014-03-01 04:32 VK4TVL 50.294406 -29 0 QH30jq 20 RA0CCK PO80mn 7828 353 Dateline 16/02/2014 “It worked, no white smoke” For thoughs that were at the last meeting VK4MJF did a show and tell on his W6PQL 70cm amplifier with the figures of 580 watts with 5 watts of drive. He fired up the finished article today being driven by a IC910 with 2 watts of drive giving 200+ watts into a dumby load, further trials will be made in the very near future and hopefully on air in 2-3 weeks, after shack reshuffle to accommodate this new toy. 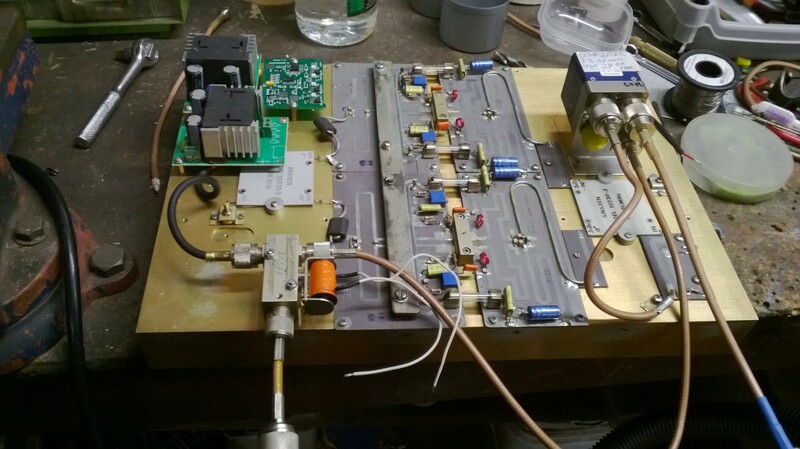 This is the forth of a series of six amplifiers he has built, with a success rate of 3 working one with an outsourced amplifier deck issue on (2m). 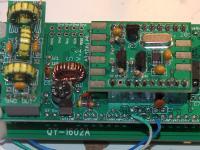 Of course other club members are also busy building amplifiers and transverters as well, with great results. Dateline 13/02/2014 “23cm power play on a quiet summer nite” VK4CRO,NE & MJF fired up their newly completed 23cm (150 watt) amplifiers in the cool of the evening with all reporting great figures. 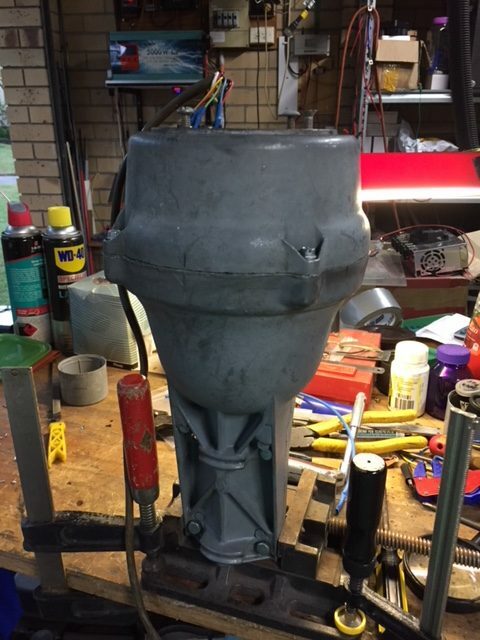 VK4CRO had built in a khune tranverter to his build. They had several reports from north and south of Brisbane some being VK4KLC & CZ giving glowing reports. Dateline 11/02/2014 “Not again the AGM” Please be advice at the next meeting being on the 2nd tuesday of March 2014 the City of Brisbane Radio Society will hold its AGM( or Annual General Meeting.) All positions will be vacated. 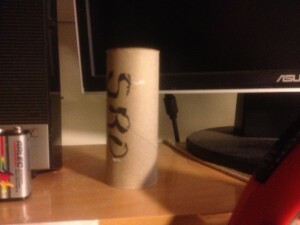 so submit your Can dicey . 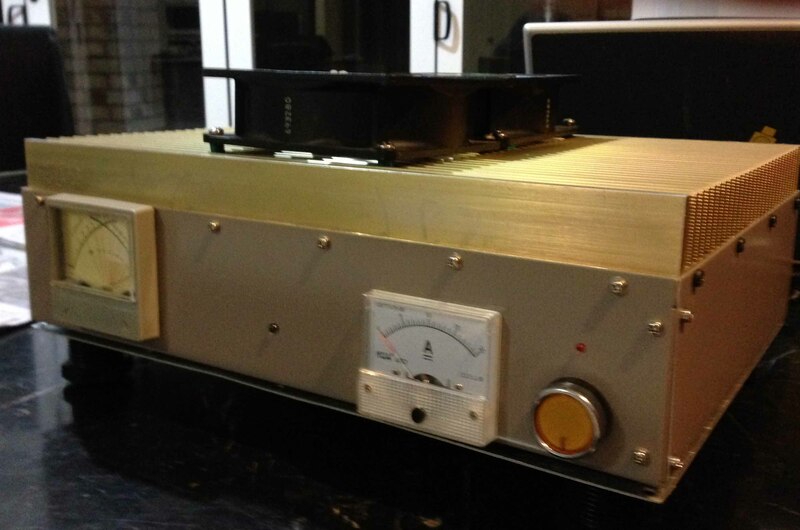 Dateline 4/02/2014 “23cm amps testing” by the time this item hits the press and the ink drys the 23cm amps of VK4CRO and VK4MJF will be fully finished and tested. Congratulations to them both and we look forward to hearing from them on that band. Oh yes I guess we should also mention the el Presidenti has also finally completed his 6metre 400 watt brick (the question is why, no one hears you out there) and a 2 metre 400 watt job as well. good on ya mick. 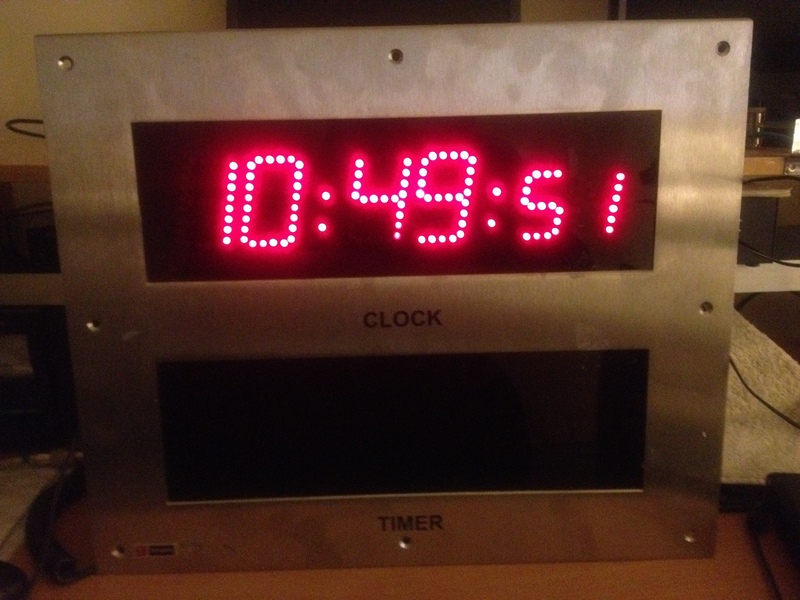 Dateline 3/02/2014 ” Its confirmed the parties on?” The City of Brisbane Radio Society was formed in 1976 which means our 40th Birthday will be August 2016 then. Must be an exciuse for a Party. Dateline 29/01/2014 “How Old are we?” If the club was formed in the seventies then the club must be running for 35-40 years ! 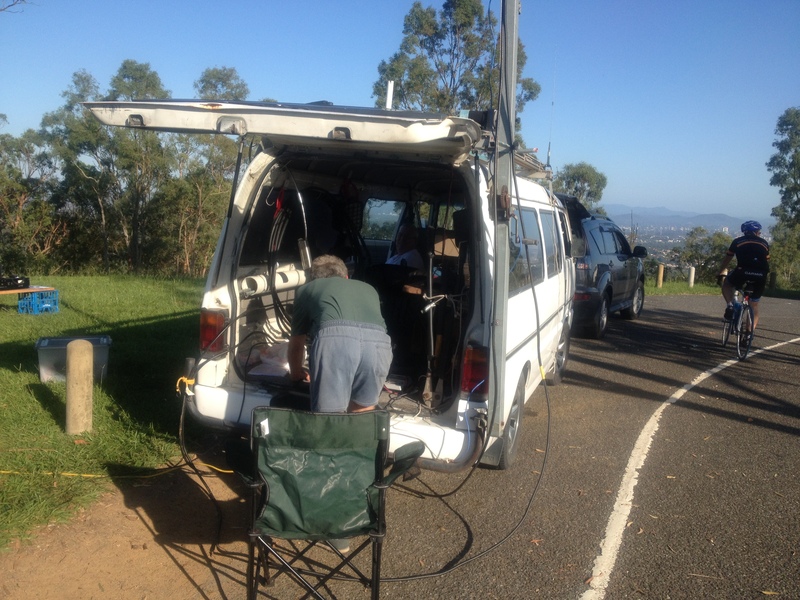 Dateline 13/01/2014 “Visitors cause bad Field day result” VK4CRO VK4NEF VK4MJF set up the club contest site from about 7:30am @ Mt Gravatt Hill, all went well a few hickups and the show got under way. 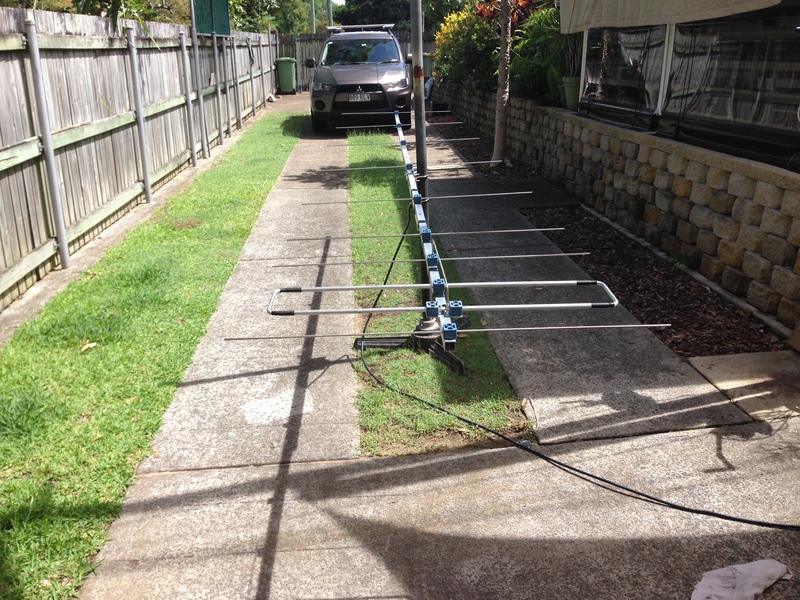 Working 6 bands 6 metres to 10ghz. Seems there were a lot of con testers out there just willing to give us points, great to see a few more to help the cause. Something we didn’ t count on were visitors asking all sorts of questions, Like; “What are you doing”and “What are you handsome men doing here” etc”. Anyway with our heads swelled we soldiered on must have been about 30 to 40 off them. We had a full day doing the contest and keeping the public happy, (some were very pleasing to the eye). We also had vk4mil doing his thing from Coran near Gympie. Anyway we had a long fun day, packed up @ 7:00 ish and went home, Ah yes, but before leaving, we pestered VK4OE who had just arrived 30 minutes earlier to take over the spot for the night shift. Also thanks to all club members that came up on air to drop us some points. hopefully we can find a shady section for the microwave guy. 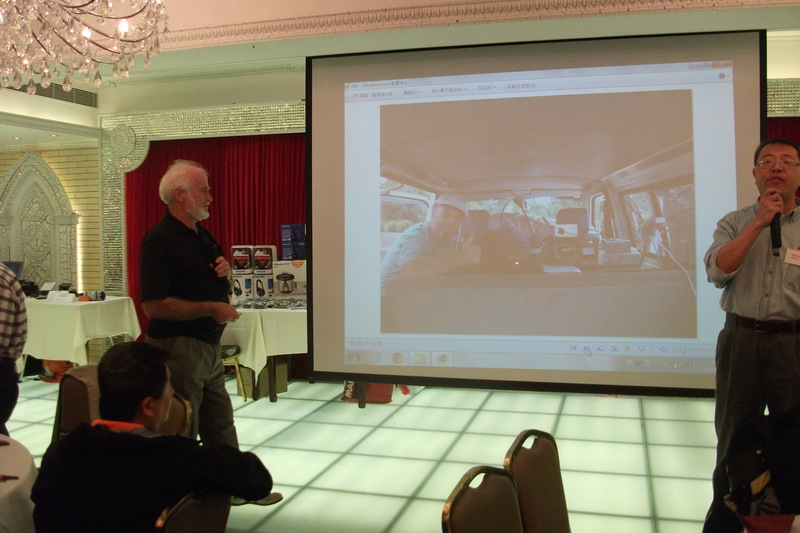 Dateline 10/12/2013 “See how your hobby gets promoted” It has been created for anyone who wishes to encourage youth and adults to explore the world of Ham Radio and it also can be found on the home page of the project , Click below. Off to a good start everyone up early and keen to get cracking, on an adventure to a new location outside Gatton. 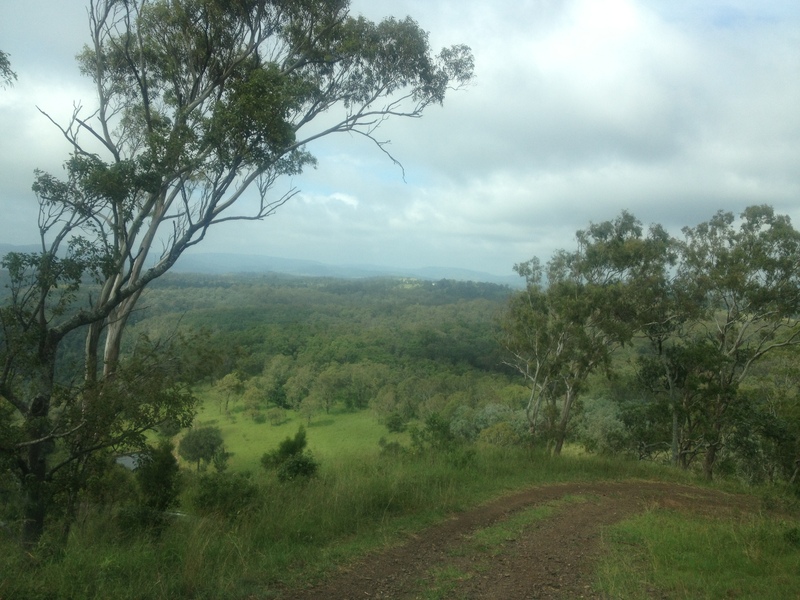 Our host will be Paul and Dianne at their mountain top retreat..
Trip out was enjoyable, after the recent rains the country side was looking lush, green and magnificent. Crops in,getting ready for the season ahead as we drove by many small crop farms. A bit on the tummy rumble side (John’o only) the rest had to follow. Breakfast at Gatton, the big M of cause. But those Emu’s a couple of K’s back looked good and tender but someone said the club president would spit chips at the $500.00 each price tag. Off and looking for anything high took us out of town and there was ZIP except hills way off in the distance. I thought, these guys are on happy weed, Needed new medication and glasses. As we moved on, the high ground closed in and we turning right onto Egypt road the adventure really started. This is a pleasant and safe drive up, and up we go. The scenery was very good as we looked down through the valleys and trees, everything green. 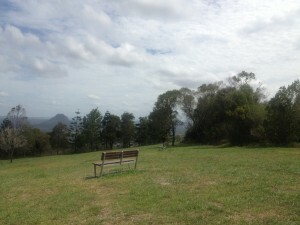 Arriving at the top and WOW what a spot. 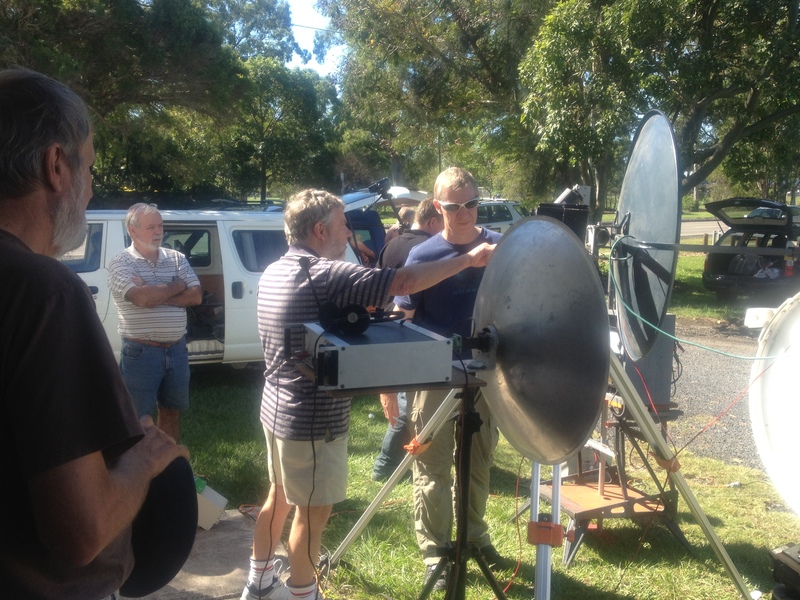 Our hosts came down and advised us where to set up for the best effect on the GHZ bands. Construction begins, antennas up they go and all ready for the start. 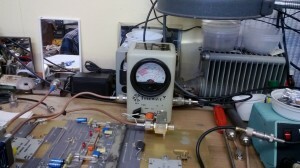 A problem with the 144 MHz rotator, a quick swap did fixed the problem. 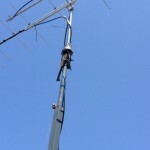 A bad connection on 23 cm’s was corrected by John’o quickly after lowering the array. 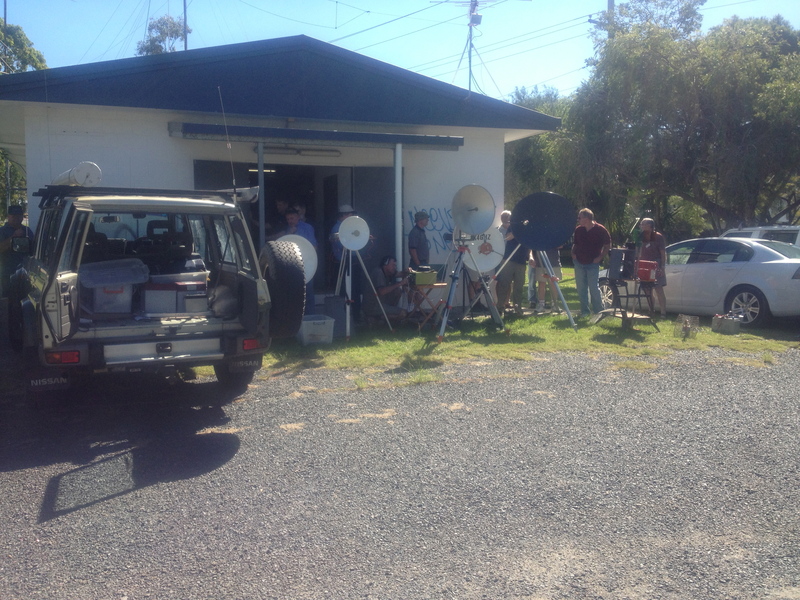 There was the usual people ready to hand out numbers but there was not a many as normal on 144 MHz band. The afternoon saw John VK4JMC arrive for some serious GHz competition. But we all kept looking at the sky , Oh not good. Need to make a sacrifice to the god’s for calm weather. And where is the club president. 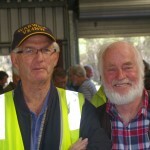 Eric, did you say he was in Gympie. Frightened of a little pain, no less. Well we had more flashing lights then a 1970 disco, as the bangs rocked my vehicle, not sure about the other cars rocking. A song came to mind, knowing me nowing you (ABBA). I think that mean’s we are going to all cark it. Yes a very good outing but conditions could have been better. If you have a chance to visit them, then do it. It’s a special place well worth the trip. 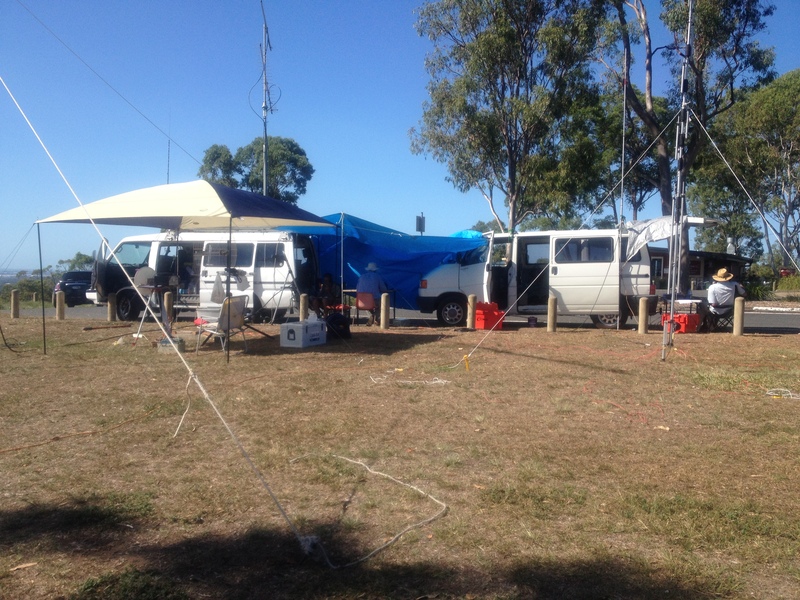 Dateline 25/11/2013 “Cyclonic 24 hrs washed out for 8hr” After a phone call from Paul in Gatton the contest commity took the late change to the Gatton site QG62BI to be hosting the Spring UHF VHF 24 hour field day. 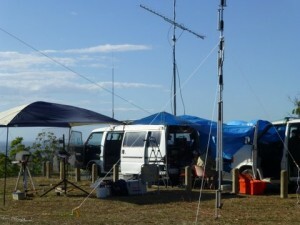 We had VK4KSY,CRO,NEF ,IAA and MJF all tuned up and raring to go, for the 24 Hrs contest, with plenty of food drinks etc. We all new a storm was predicted but not the fierce storm that hit the happy campers. Two storms (not one) hit, the site first one about 6.00 pm and the second around 9.00 pm. 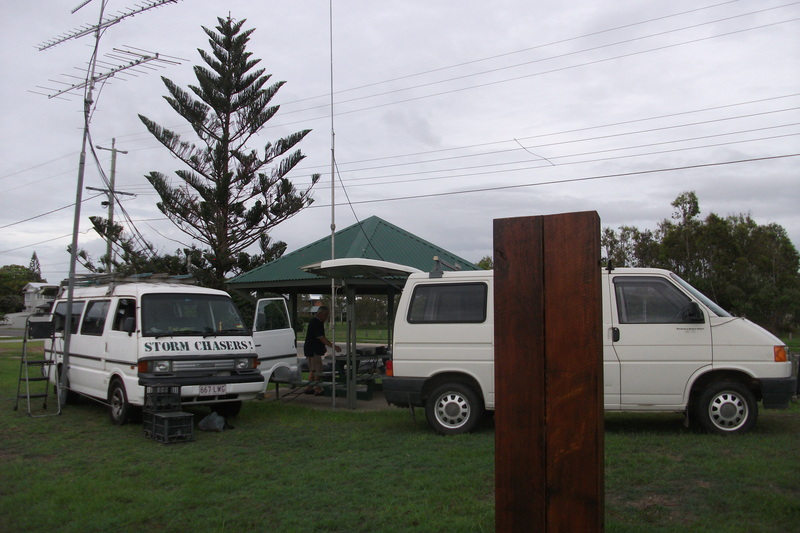 Other than the weather we all made the hill climb and started erecting the station and accommodations, the station ready for the start time. 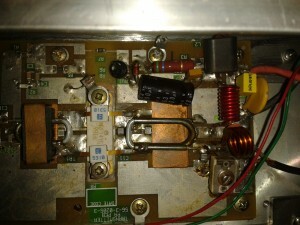 Or was it 1296mhz appear to be deaf and as VK4CRO Ron pointed out ,the coax was not connected to the amplifier (John VK4MJF), this was corrected and off we went. We had a visit from VK4JMC John with his 2.4 and 10ghz gear, thanks John he also left us at 6.00pm. Next morning, last one I was in, said; “VK4NEF was Mt Wolvi a few years back, when a cyclone hit us, this has to rank close to that day “. Anyway after a hearty breakfast, followed scones and jam which were supplied by the owners of the property Paul and Dianne, we dismantled the gear and trekked home. 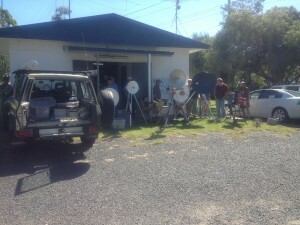 All agreed the time was well spent even with the weather issues and look forward to the next Field day. How does it all fit and you sleep here too. Dateline 20/11/2013 “VHF UHF Feild day “will be held at Coran, just north of Noosa east of Gympie, nice big hill 350 metres, Gatton site rained out again. Hopeful for the next feild day. See you all there. Ring Ron, Eric or John for directions. 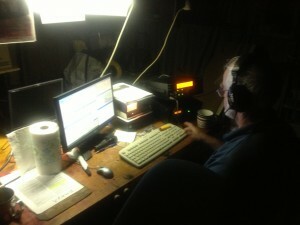 Also if your helping by being on the radio from home, look for our grid squre and info on the VK Logger (VK4WIE). 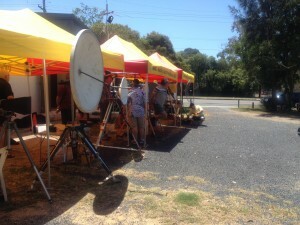 Dateline 12/11/2013 “DX Contest for Xmas” It has been reported that the club will hold its Xmas Festivities over a 48 hr 10 metre DX Contest from the club chook pen, Barby, heaps of booze and all the trimings. Second full weekend of December. 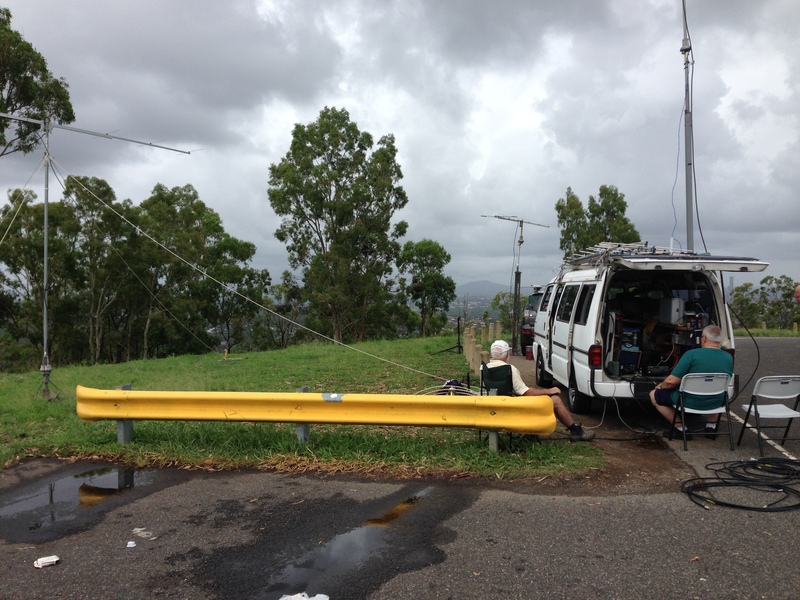 Starts 0000 UTC Saturday; runs through 2359 UTC Sunday (December 14-15, 2013), Bands 10 metres only. Will report more as it comes in. More info here : http://www.arrl.org/10-meter Dateline 6/11/2013 “Gone Loopy” VK4MJF has been making a madnetic loop over the last few months, and reports he has some success with his newly acquired variable capacitor. 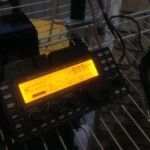 Although still down on signal strenght the antenna seems to work well on WSPR. A few snaps have been attached to show the contacts for the unbelievers. Also the bent signal has nothing to do with the Loop, it seems the broadcaster has this application(or option) installed in his equipment. 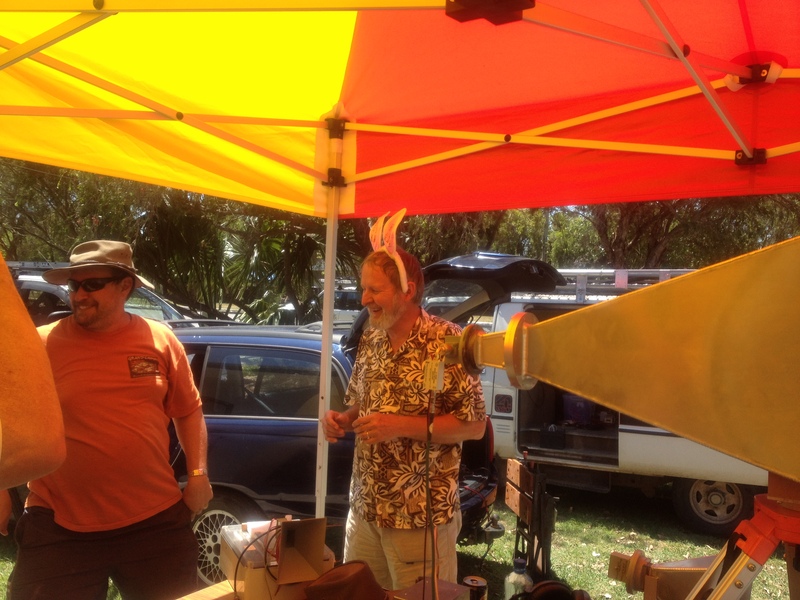 Dateline 4/11/2013 ” There is a Bunny in ham radio” VK4MJF reports on the 5.8ghz shot out, held at the redciffe radio club. 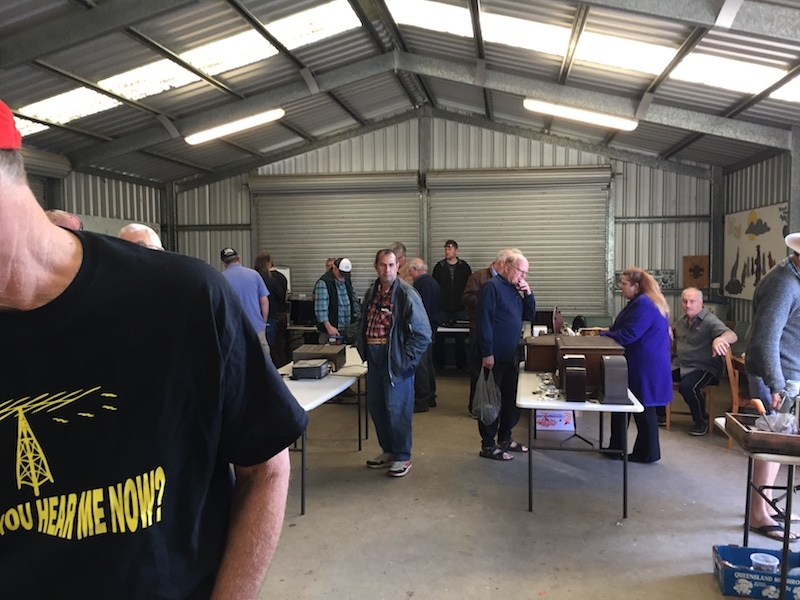 Well I arrived at 10.45; guided in by Siri giving directions as I asked it for the redcliffe radio club; took me straight there, technology. Anyway I found Club marquees were out to soften the sun and many rigs set to go. I quickly set up the Telstra hope it works gear and precceeded to listen, to my astonishment it sounded remarkably like 6 metres, white noise and white noise. After lots of help and my own personal beacon, I gave up and decided to spy on the opposition. Some where actually hearing the thing; I was amazed ! as you can expect. Anyway I was not alone about 4 others were having issues, so I felt better. 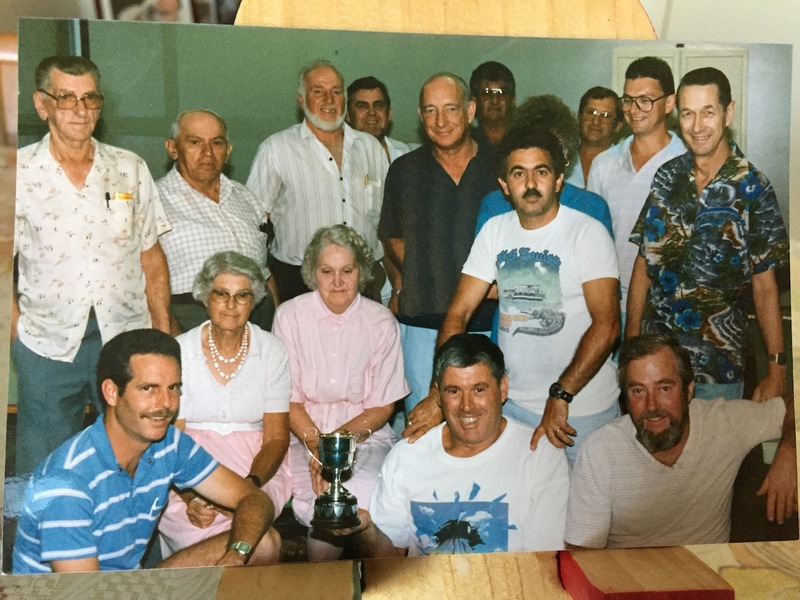 The club judged the winner and presented him, cause there was no hers, with the award (see happy snaps) to VK4OE, a Barby and drinks were served in oner of the occasion, with lots of on and off topical conversation. All had a great day and another M A D day 2.4ghz this time, will be scheduled for a time to be advised. 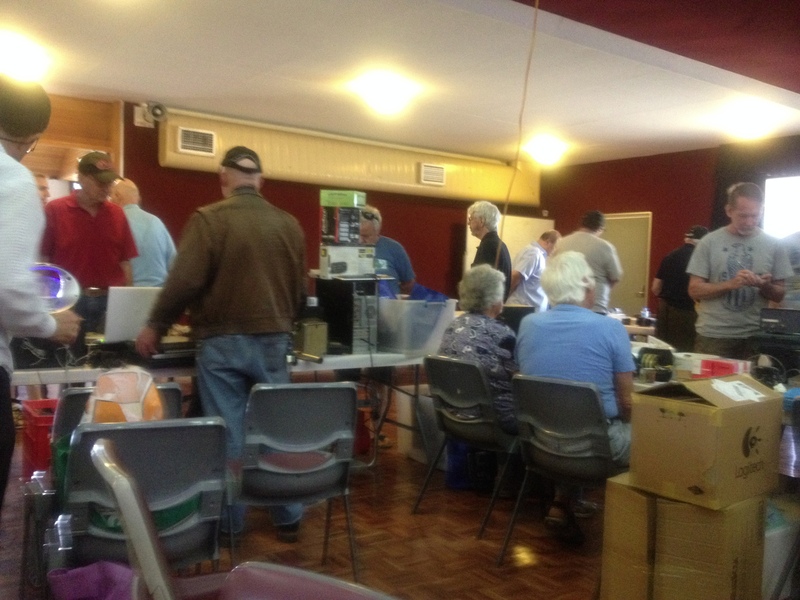 Datekine 2/11/2013 “Money Running out of the coffers” Gold Coast Hamfest was a feast of customers, low numbers were reported, but the club has had a great fund raise day. Thanks to all that helped and made the day a success. 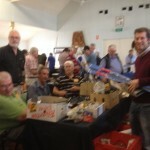 All will be reward at the club meeting with an extra prize in the chook raffle. See you there. 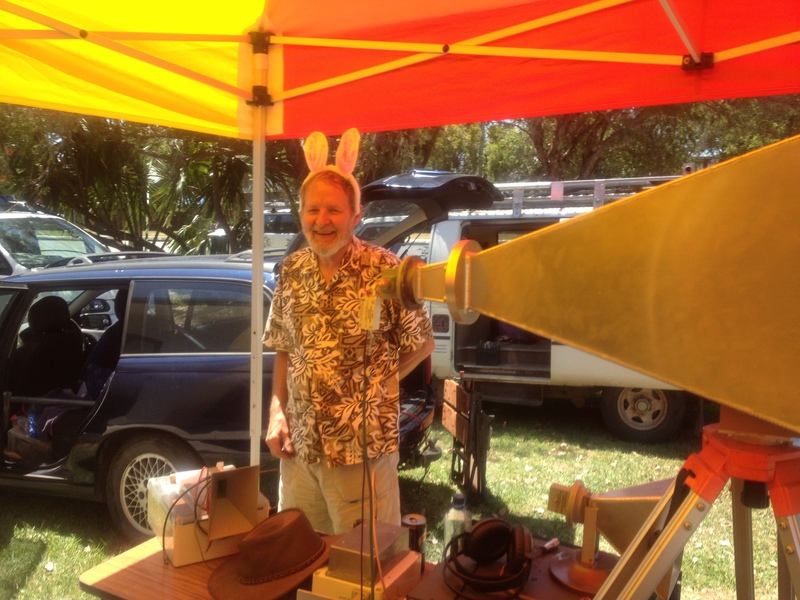 Dateline 31/10/2013 “MJF goes all fruity on 5.8ghz” With the 5.8ghz MAD day being held at the Redcliffe radio club on the 4th of November. 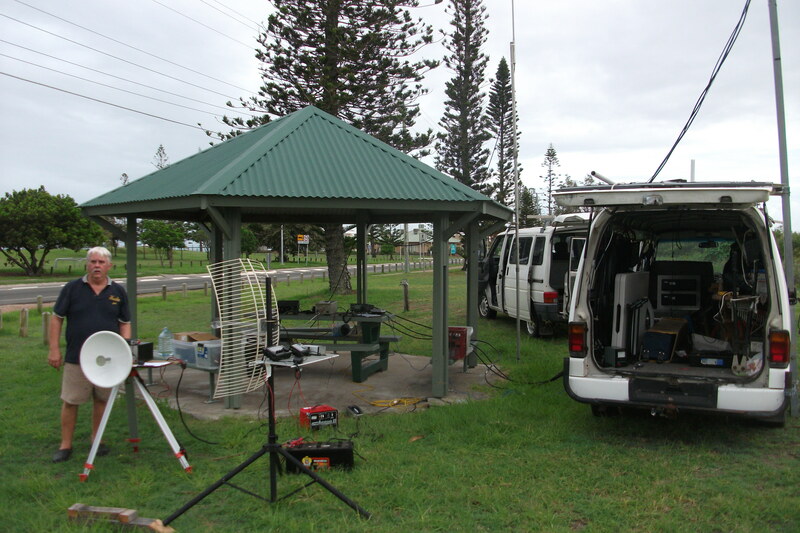 A new band for the club field days Vk4MJF is trying to finish the receive section of the 5.8ghz rig for testing that day. 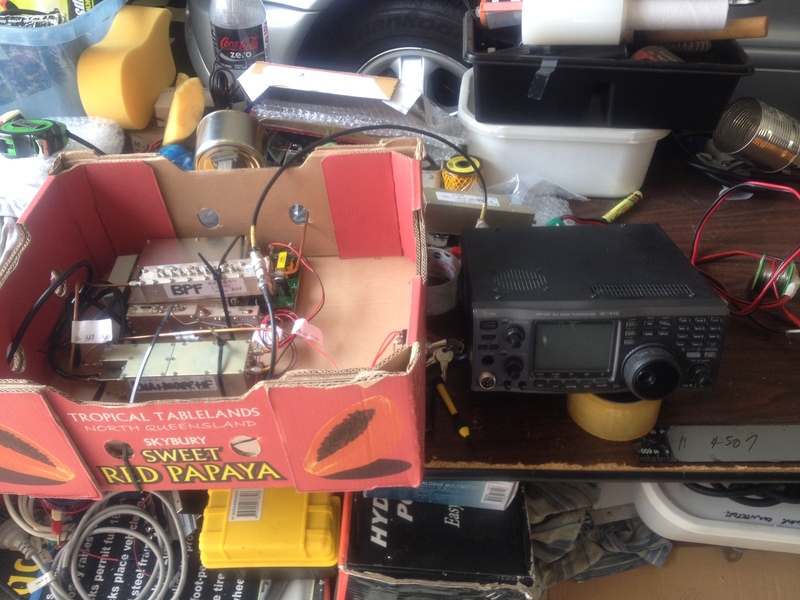 Housed in a burrowed fruit box (not patented) system (used by Vk4OE ), before the equipment is permanently housed in a flasher box. Also testing is difficult as there is not a beacon available in south east Queensland for this band, (although a little birdie has told us a new beacon’s not far away) . 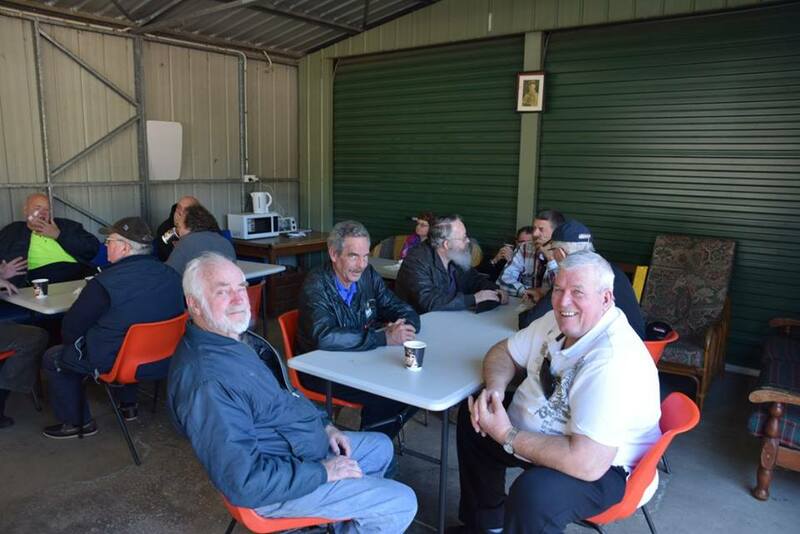 Again all are welcome at the Redcliffe club, to either compete of just have a sticky beak, with a sausage sizzle and light drinks available. Dateline 30/10/2013 “New club meeting time” We will be publishing a new club starting time very soon, before the next meeting. We are waiting for the executive people to maje up their minds. Watch this space. 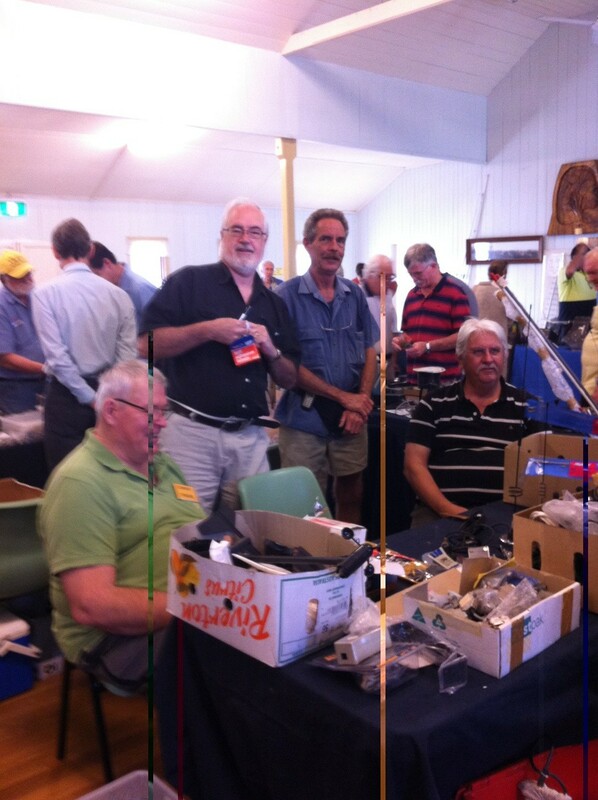 Dateline 29/10/2013 ” Don’t forget the Gold coast hamfest ” Held on the 3/11/2013 at the club rooms behind the Pacific Fair shopping centre. 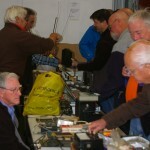 We have more goodies to sell radios amps lots of pre loved quality merchandise. 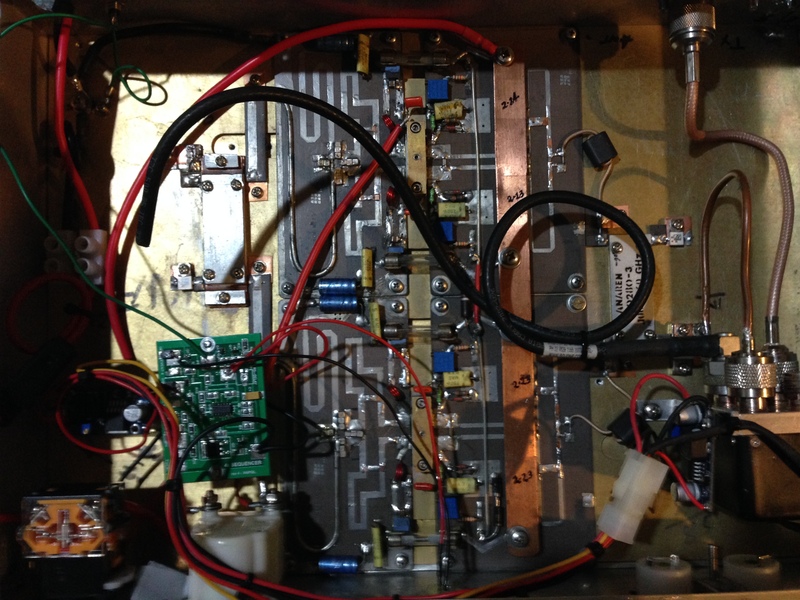 Dateline 14/10/2013 “VK4MJF loses 70cm amp power board” W6PQL replaces the board for zilch, what a nice gesture had to tell the story here, so if your looking for some quality gear for your next project, check out his web site. Dateline 8/10/2013 “Meeting on to-nite” Topics to be discussed, Redfest results, need more quality murch for hamfest sales, Events ;Field day HF and VHF contests and many more rivetting subjects/ Come along all are welcome. 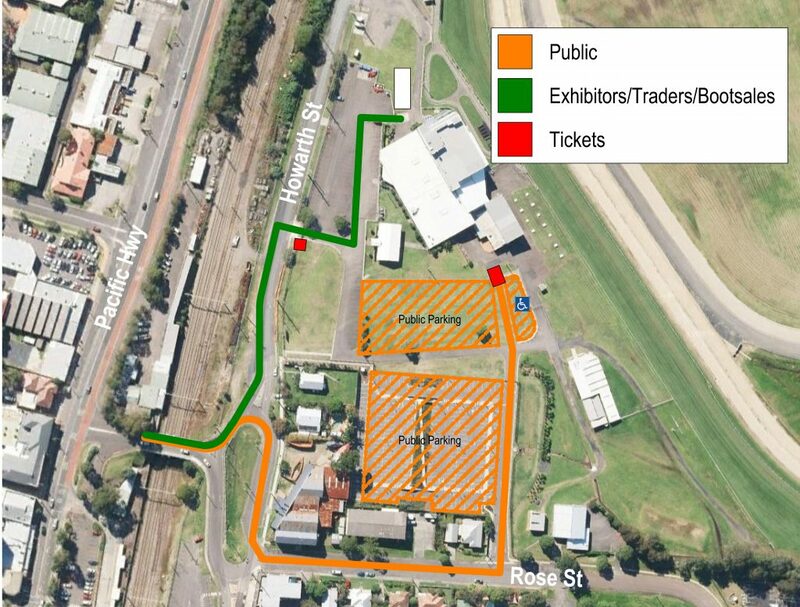 Dateline 2/10/2013 ” REDFEAST” Redcliffe and distrcts radio club are having a fest, be sure to be there. Dateline 21/09/2013 QG62?? 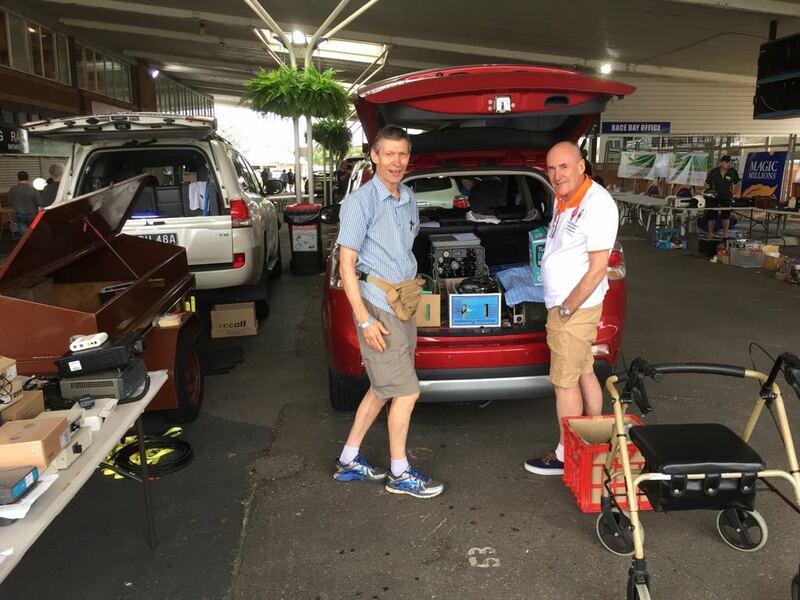 “Scouting out new bands” VK4MJF has been busy finding 5.8ghz gear, a source has been found , very low prices and he has a seemingly large source of equipment for these bands and others. 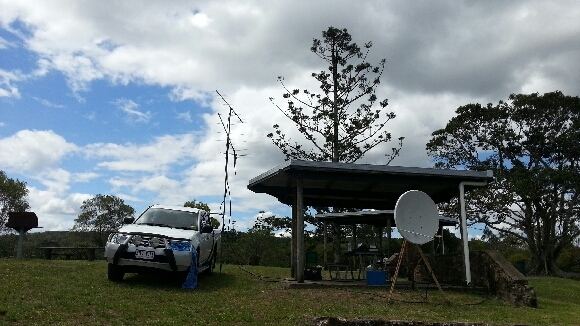 Date 20/09/2013 “WSPR, season, seems its time to watch”. 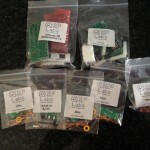 WSPR (digital) season will soon be up and running on 10 metres, so the experts say. 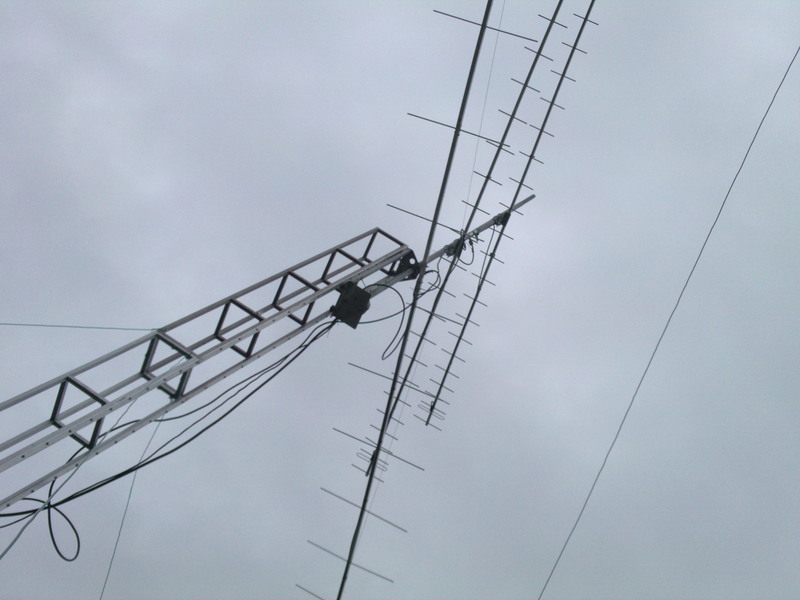 Also the normal 80-40-20-30-15-17-2-70cm are also working well; including the magic channel 6 metres. 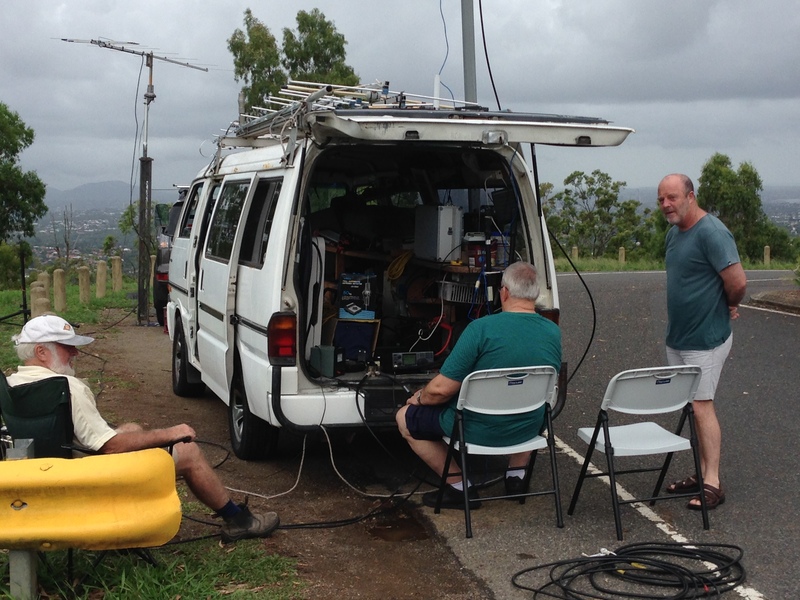 With the invention of Troppo, aircraft enhancement and meteor scatter, its not just the SSB blokes which will be having fun on the air ways ( although the WSPR (digital) is normally running sooner). See you there we hope. Canada: 2300-2450 MHz. Weak-signal/EME 2302.90-2304.2 MHz. Japan: 2400-2450 MHz. Weak-signal/EME 2424-2424.5 MHz. 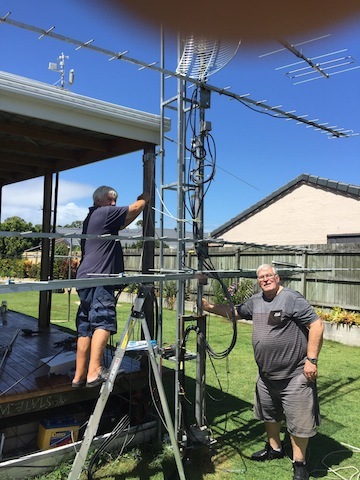 New Zealand: 2396-2450 MHz. Weak-signal/EME 2424-2424.5 MHz. 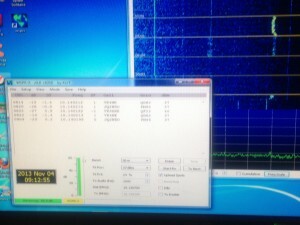 UK: 2310-2450 MHz. 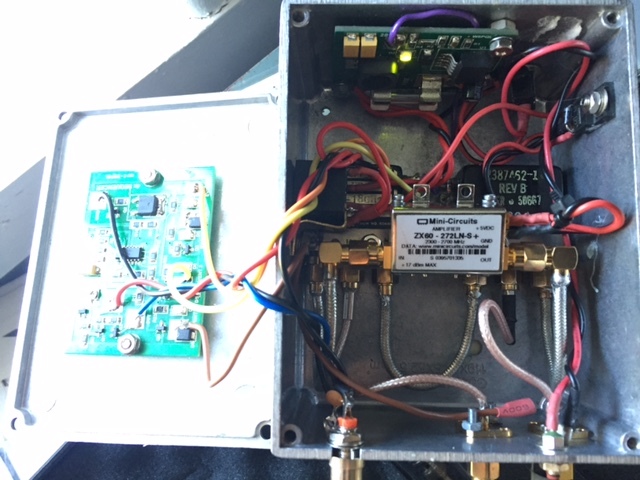 Parts subject to regulatory change: 2322-2400 MHz. 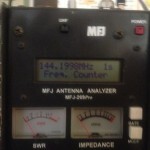 EME 2320-2320.025 MHz. 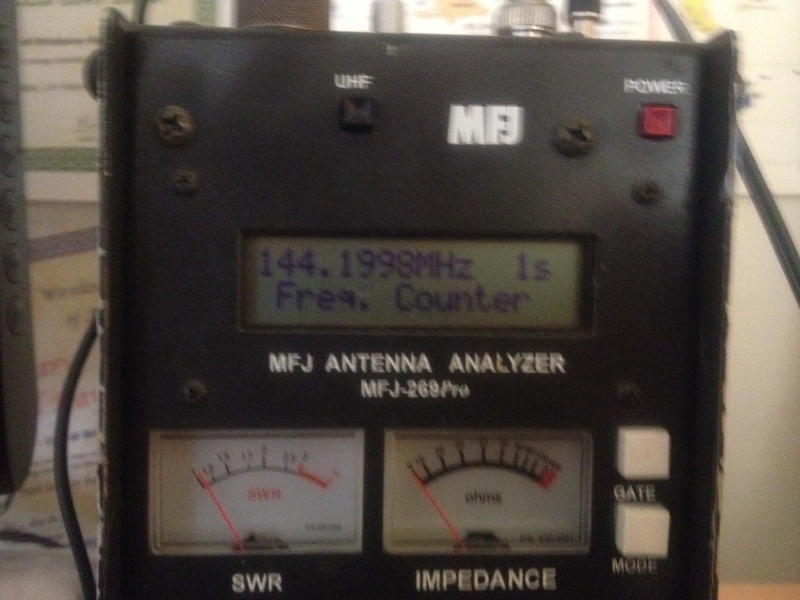 USA: 2300-2310 MHz; 2390-2450 MHz.Weak-signal/EME 2304-2304.1 MHz. unknown sauce, modified it to accommodate the heat (this problem is not found in the K3). 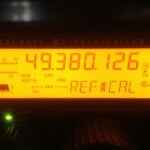 This mode can be operated from all other rigs at .5 watts to 10 watts world wide. 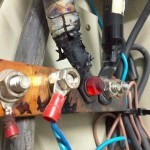 Date 23/8/2013 UPDATE “Club members go mad on amps”. 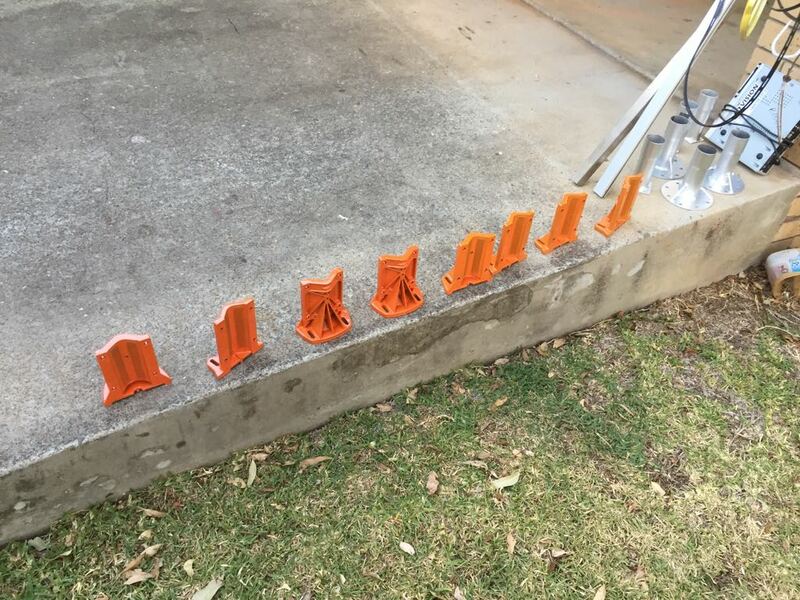 Some members have been busy over the cold winter months, building feet warmers for their gear. 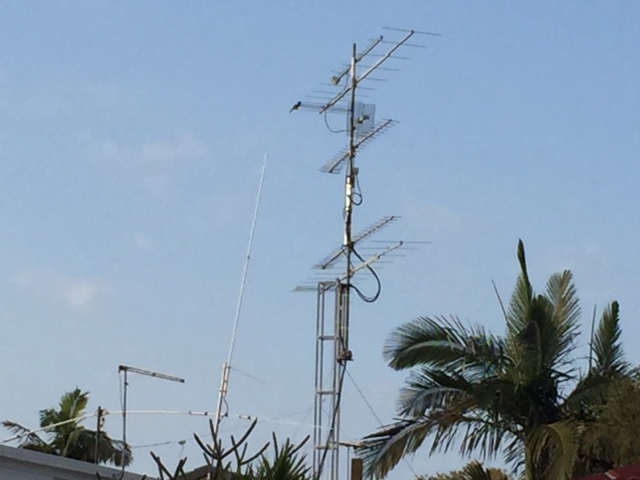 6 metres (400-500 watts) 2 metres (200-400-500 watts ) 70cm (500 watts) 1296 mhz (150 watts) 2403mhz (17-75 watts), others have been busy building antennas, and transverters for 1296mhz and 2.4 ghz Lets hope they all come out to play. contact on their KX3 and imported tramsverters. Good signals were report by both and a party was held with the champenge flowing, after several months of trails the first contact was completed. 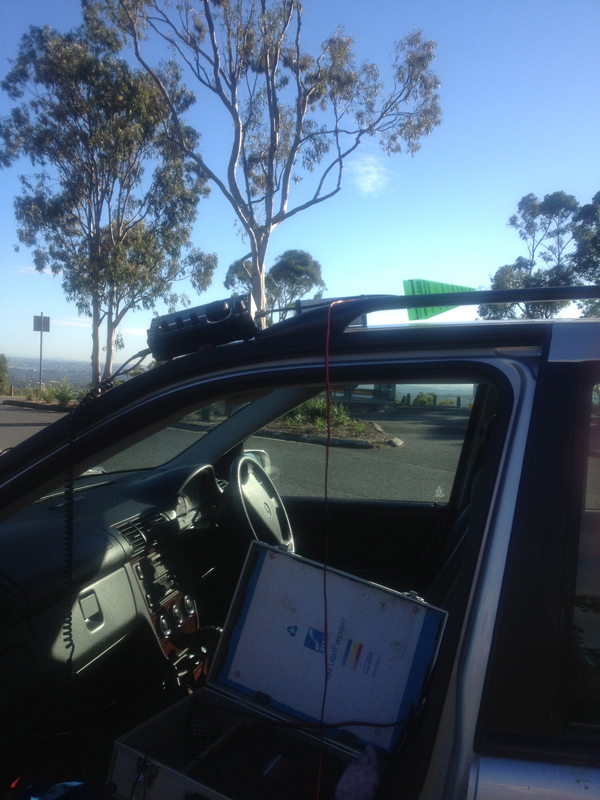 It was found the both radios were about 5-8 hz off the beacon frequency and a ezy off set tuning was done via the KX3 s menu and all was well. Date 28/07/2013 “Wheres the becon” Several members who were interested in the micro wave test and tune up day, spoused by the UHF Group, made their way to the club 600 metre contest site; to-day (VK4 mjf,ne,cro and aii). 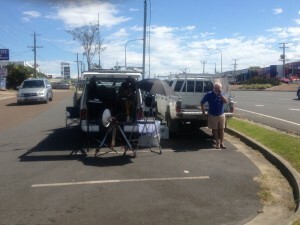 We tested our micro wave gear and monitor how cold its is up at pauls place. 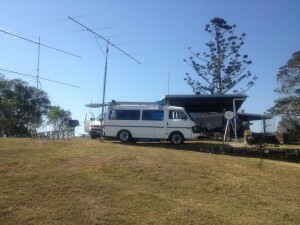 Well what a nice place, for radio too, good for 6 metre, 2,70,and 1296cm both North, South east and west, really works well up there. 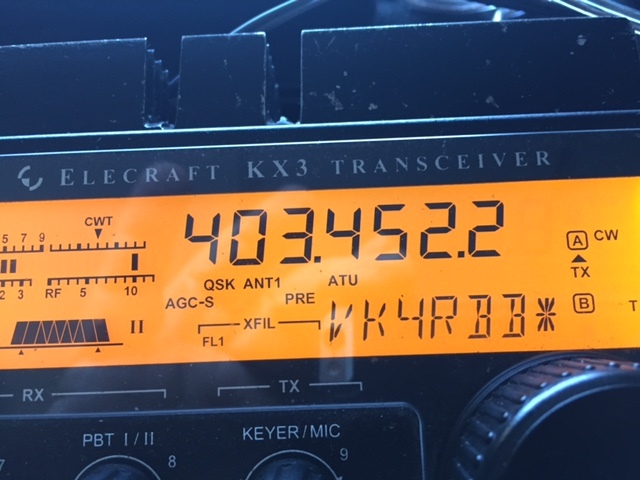 As far as micro wave goes, we will have to revisit and stop looking for the beacons and just trust the gear, ( with a few mods done will help) and talk to the stations out there looking for the contacts. All had a great day setting up the stations and the shelter , just as well the heavens opened up but finally the sun came out and Tea and cake was the feast for the day. We set of home around 11:00 , stopping for a snack at the local restaurant, for fresh hambugers and steak sandwiches, washed down with coffee. Thanks again to all that helped, roll on too, we look forward to the next Field Day in November 2013. 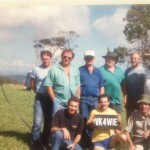 Date 21/06/2013 “Winter Field Day WASHOUT” This years winter field day has been washed out, due to heavy rains in the Toowoomba area, our guy in the sky Paul the owner of the site, rang Ron CRO to explain that the last rain depression via WA, had made the site impassable and it would not be advisable to venture to Gatton. More details as it comes in. 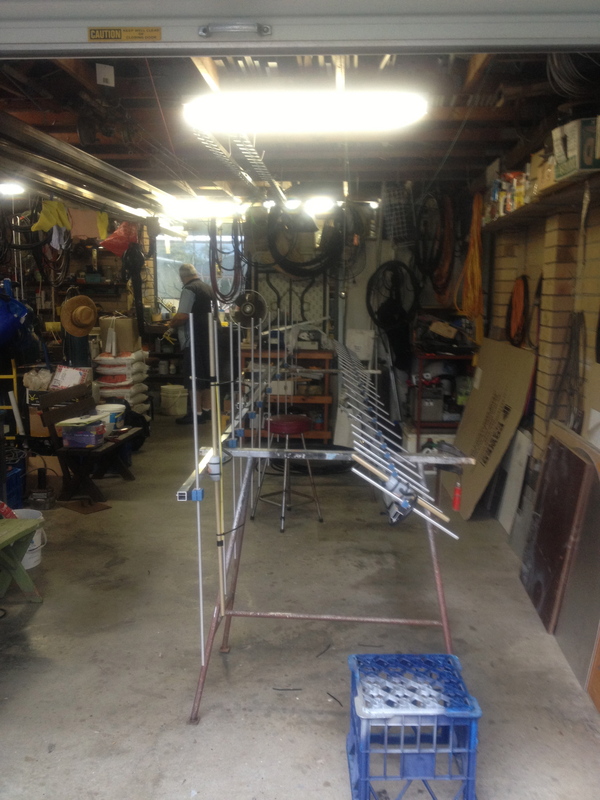 Date 10/06.2013 “I was there”, New club 2metre 12 element and 70cm 23 element antennas ,straight off the factory floor. Date 31/5/2013 “SRD whats this item” . Its the end of the month and its been very quiet here at the web desk, so I found this item invebted by the president(VK4NE) no pantent pending. 16/5/2013 “Going out on 2 metres” I (VK4MJF) spent a week in Texas looking for the yellow roses, John Wayne and the Cisco Kid, didn t find them. Also running 2 metres with VK4NE antenna with a slight angle for take off, Snagged a couple of contacts in VK2 nd VK3 on meteor scatter, gave the KX3 a work out with contacts up and down the east coast. 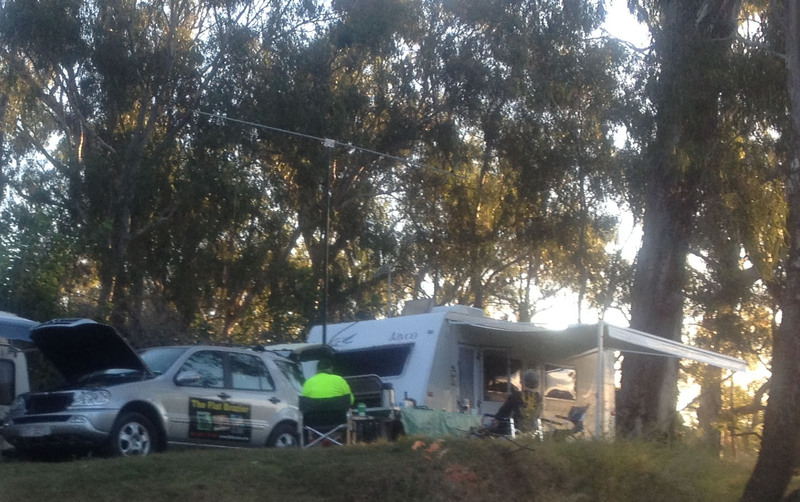 We had to camp beside the Durmaresq river site, just out of town(GPS 283metres elevation) not a bad feild trip. 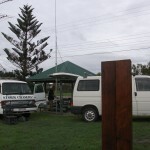 Ten (10) complete rigs were in the shot out so there should be plenty of points on the next vhf/uhf feild day in June. 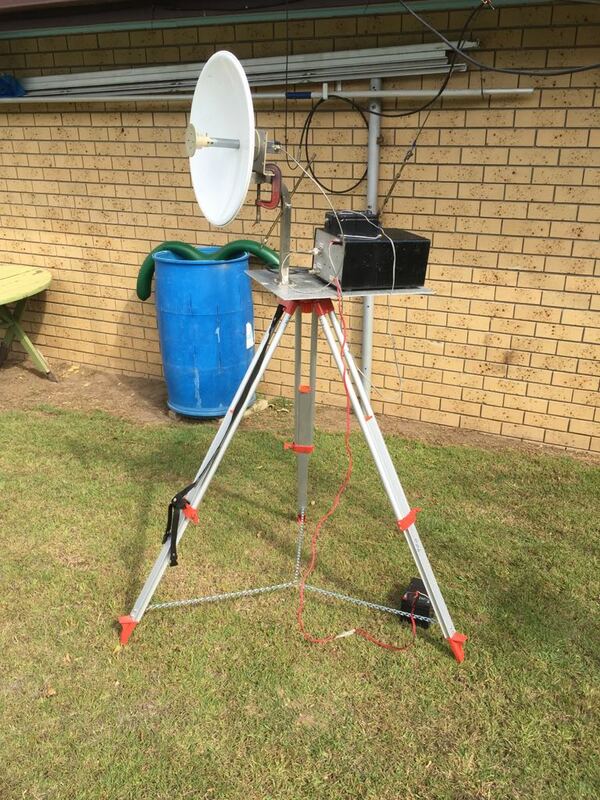 We tested the club 10 ghz gear and found them to be working well, funny there was no prize or enoucement made on the eventual winner of the shot out, enquires were made,will report back. Date 31/03/2013 “Killer 24 hour contest” Eric (VK4NEF) organized this year,s first for the club CQ WPX Contest SSB at the Chook shed @ Belmont. 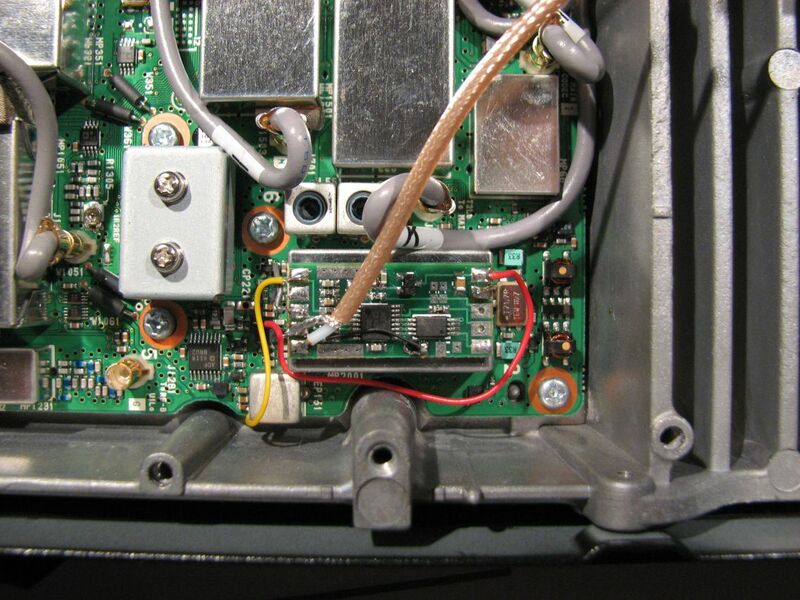 Multi op-single radio. This contest is 48 hours in lenght and turned out to be a very enjoyable and entertaining time, we used the Elecraft K3 and the KPA500 amp, with lots of extras to assist in the set up. 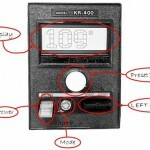 How it works is you have lots of keen operaters and one radio to man 160-11 metres, work as many station world wide as possible calculate the score and hope you have scored enough to win !!!. 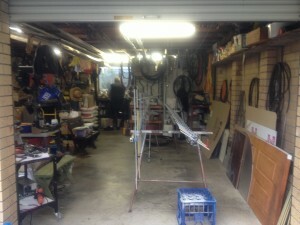 Our thanks go out to all that helped and to CRO for the use of the shed,also the power. We eagerly await the results. The cro sits in on the grave shift. 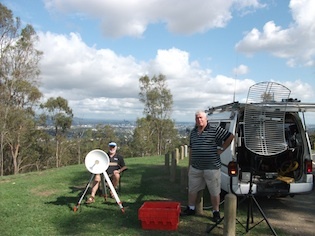 Date 21/03/2013 “Another hill to conour” Some of the new team will be up early on Sunday 24th, making their way to a new site for the VHF/UHF field day contests. 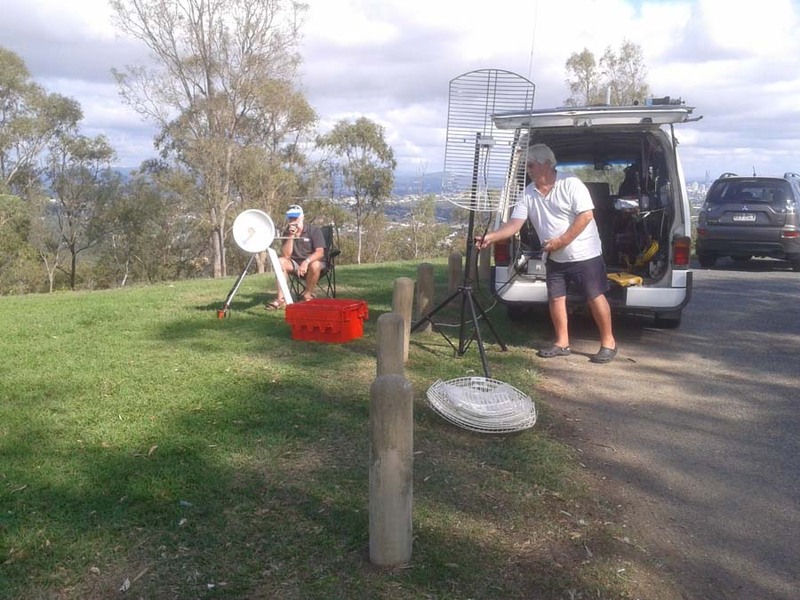 590 metres, good shots North and south with a direct path to Brisbane on offer, sounds great being about 300 higher than our last site at Cooran. 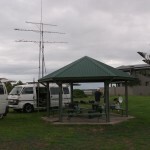 Will report on the trip later, will be monitoring the club 2metre repeater and 7070 HR, so we hope to hear or be heard on the bands we take up to test. 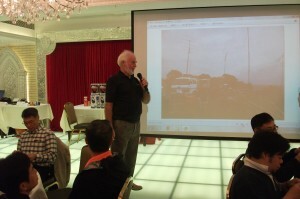 Date 20/01/2013 “UpDate on : show us your elecraft” Only one photo was taken which is of Tim (VK4OP soon) receiving the award for his 6 metre log effort. David(Vk4KSY) for his 2 metre log award ,(sent his apologise ) We all had plenty to eat , laugh and brag about (VK4NE had 2 contcts on the yagi P29, El salvador and Chile) we had to listen to the presidental bragging and we all left about 10.00pm. Date 18/01/2013 “Show us your Electraft” Saturday 5.00 pm. 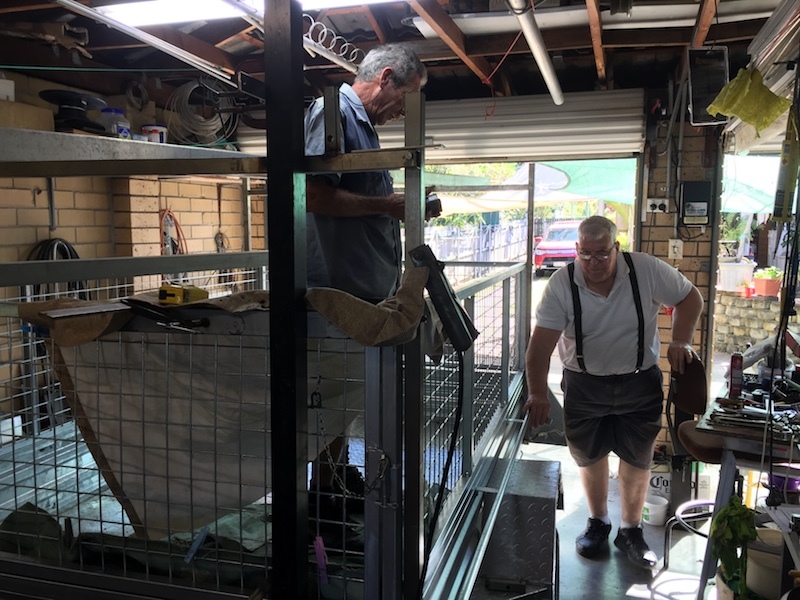 Chook shed @ belmont VK4CRO s place bar- b-que and take a look at the latsest KX3 and its big brother the K3 and what ever else you may have thats good to show off. All welcome don t be shy. 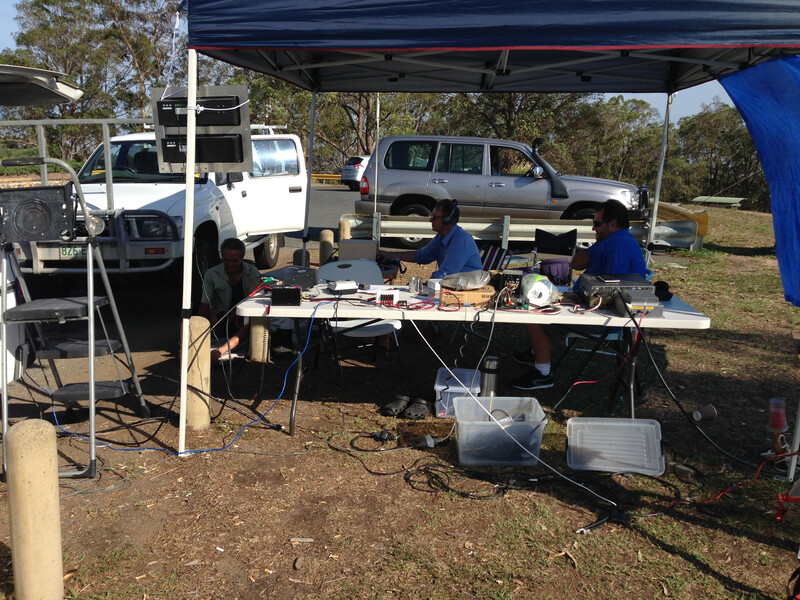 Date 14/01/2013 “Update “uhf vhf field day” Boiling hot @QG63KQ would you beleive 35-36 degres both days,in the shade. Five of us braved the extreme heat to compete in this years summer field day. We meet at the CRO s place and ferried our way to the hills of Cooran (deliverence comes to mind), loverly spot (as shown in the 7/01/12013 report) has what seems to be extremes in weather, hot by day cool by night. 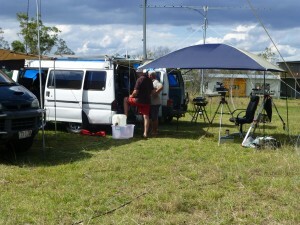 We set up our gear and drank the Cooroy dam almost empty, Tim(VK4PQ) took up 6 metres, David(hairy chested VK4KSY) took up 2 metres, Ron (VK4CRO took up the 1296 and 10ghz post) John (VK4MJF)70cm, after a slow start and what we all thought was a pour antenna selection for 1296 we started a our mission. Date 15/12/2012: “ Boss pounds chest while we all sleep”. 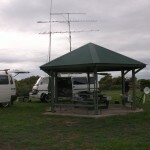 VK4NE made contact with VK2MAX 1296cm 389.3 kms. 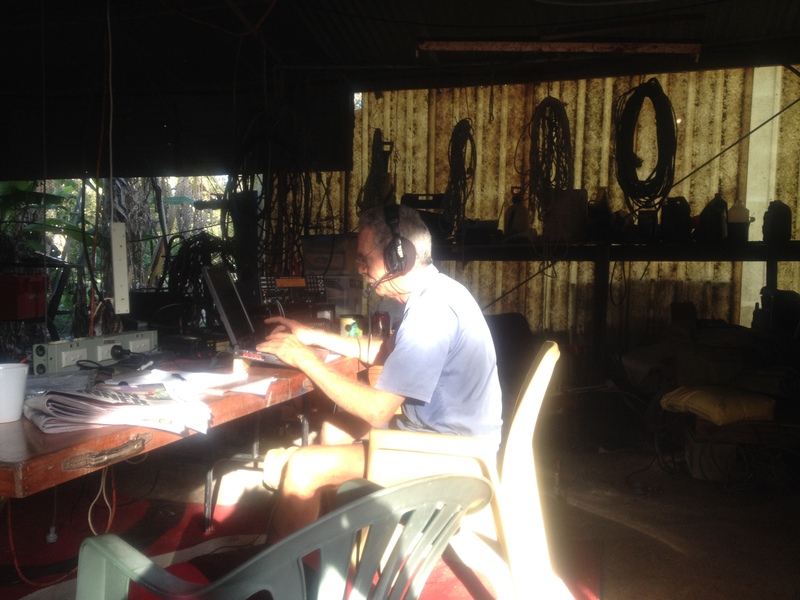 Mick writes: Hello John hear is the details of the contact with VK2MAX on 1296.150mhz @ 2030 hours UTC 15/12/2012, signal report Sent 5-9 received 5-9+ the QSO was nearly 10 minutes or more in fact, I had further contacts with him over the space of the morning for a futher 2 hours in fact on 1296mhz I attach a photo of the radio in my station. Editors note: 2 metres and 70 cm also ran well into the late morning. Its a shame the contact was with a Kenni.